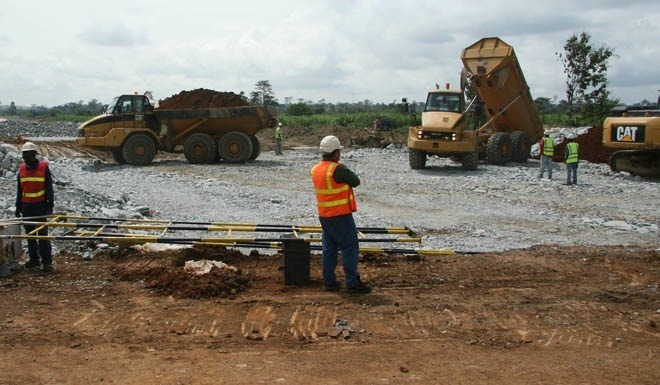 Our highlighted contracts and projects in progress . 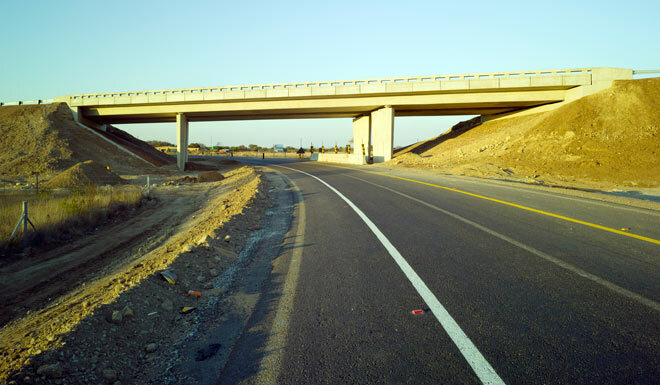 For all projects please click here. 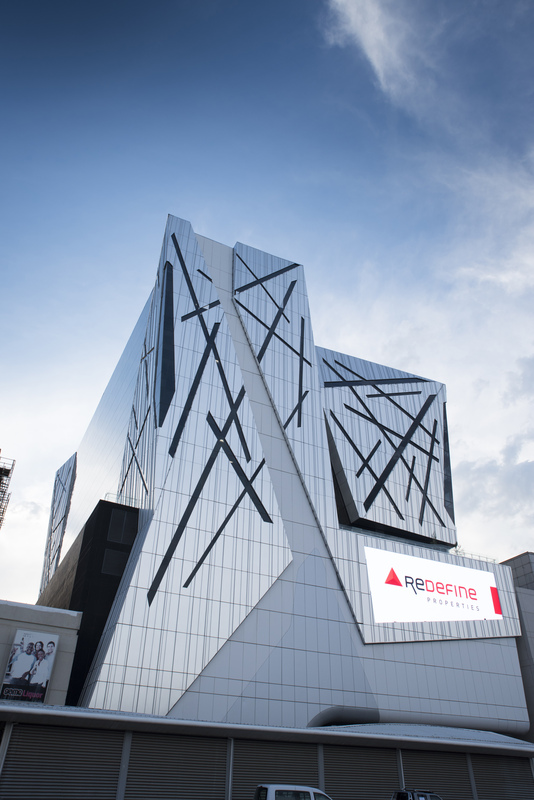 The Construction of a new 8 level office building for Redefine Properties. 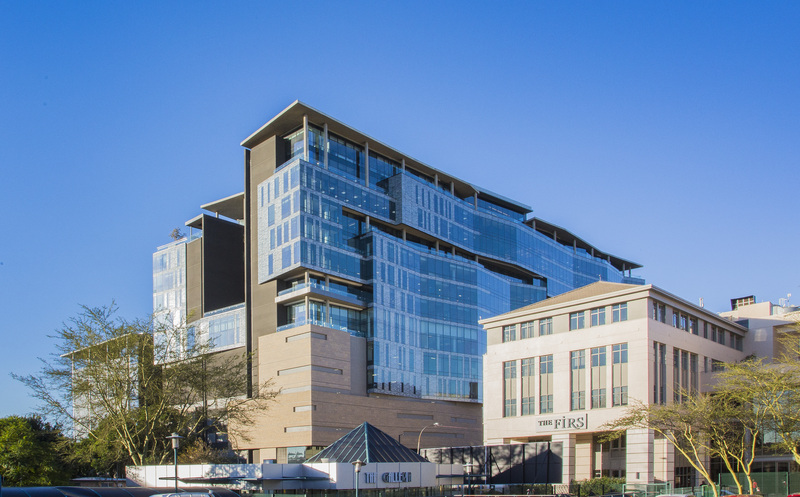 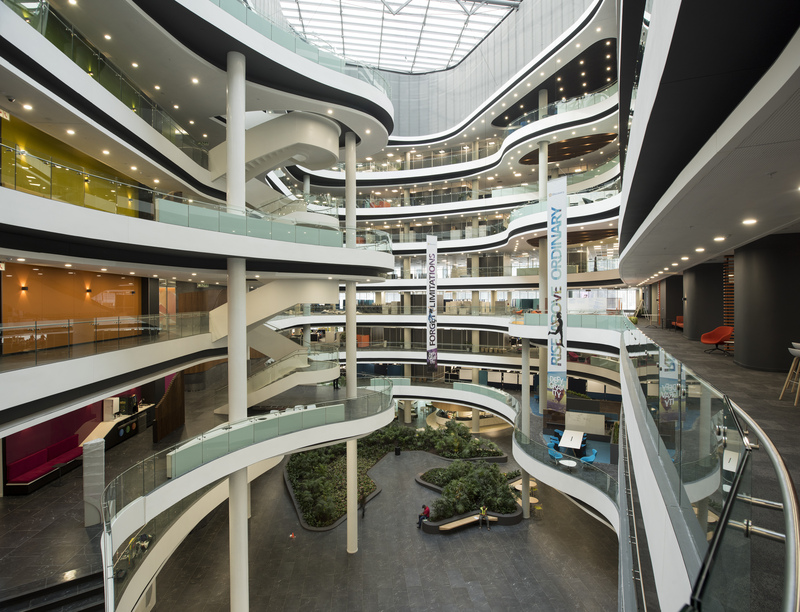 Building consists of : 2 Basement levels , 5 Parking levels and 8 Office Floor levels. 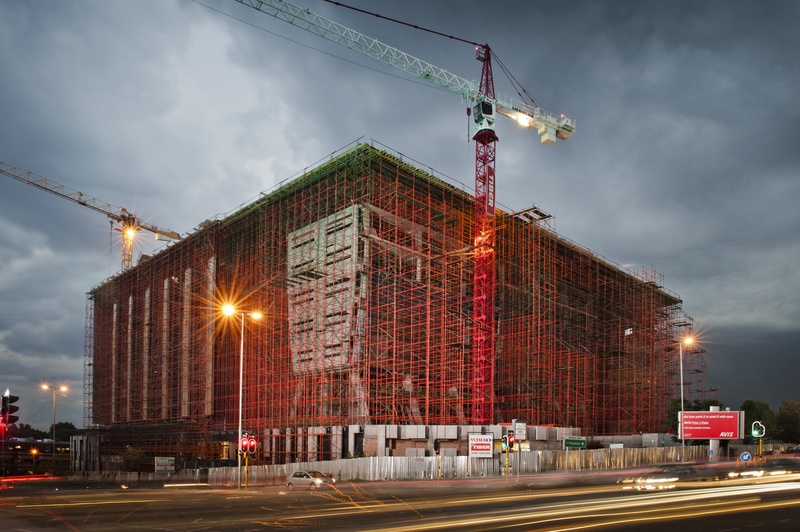 The construction of a office building 10 storeys high, 6 parking basements with an approximate total gross building area of 94 000m2. 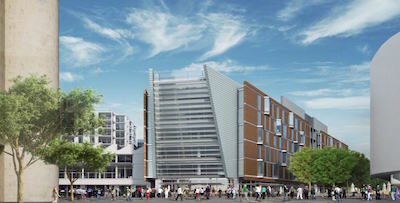 Six basement parkades ; Upper parking ; Ten office levels . 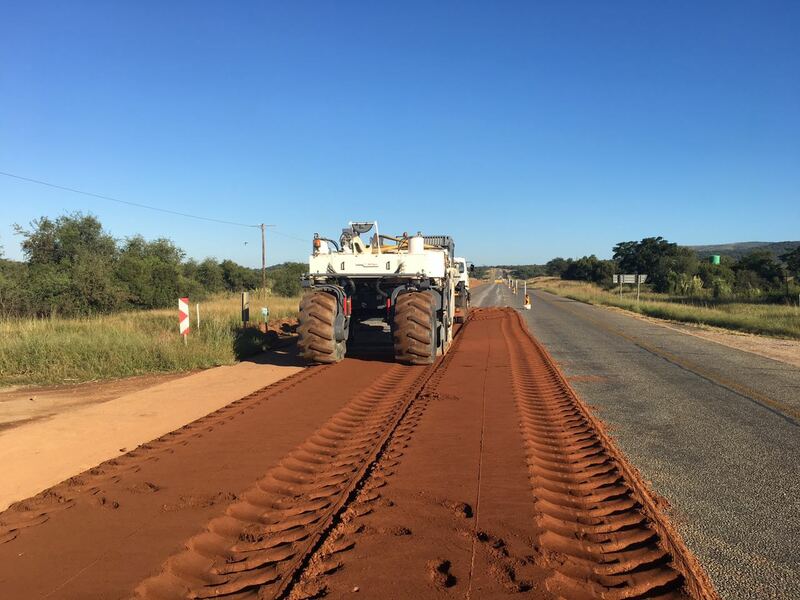 Employer:Gauteng Province Department of Roads & Transport Consultant: ARUP Contract Period:	January 2017 – June 2018 Est Value at Completion:	ZAR 158m Location:Gauteng , South Africa The upgrading of the gravel road D1944 to a surfaced road including drainge structures - Rust De Winter Area. 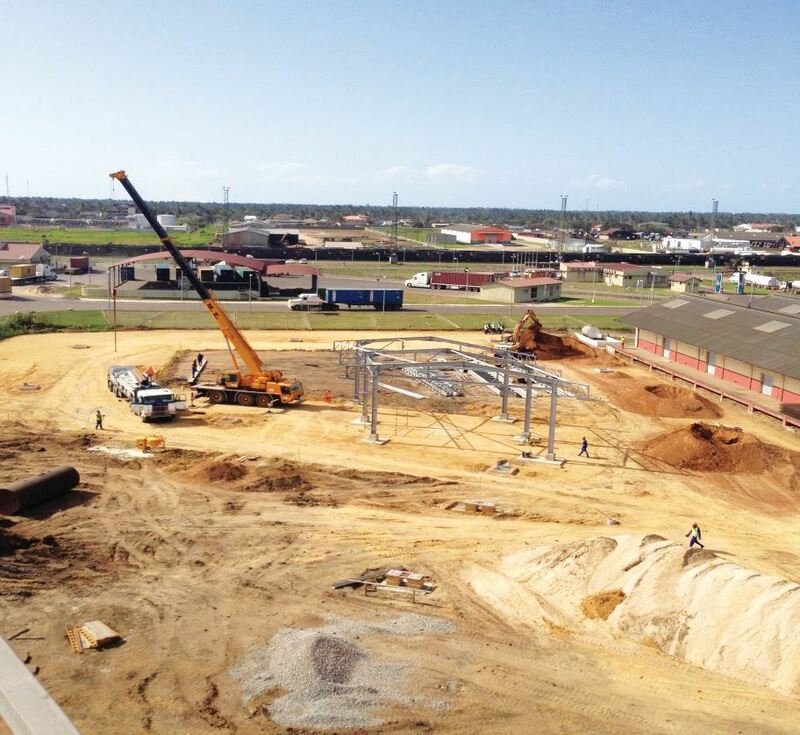 The construction of the new head office for Discovery. 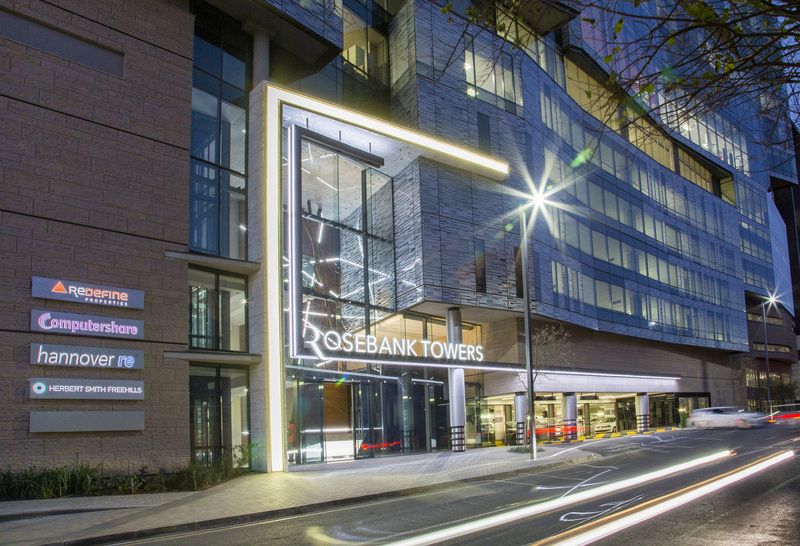 The office block consists of 9 underground basement levels, 1 ground level podium slab and 2 towers consisting of 9 levels each, with a link bridge between the towers. 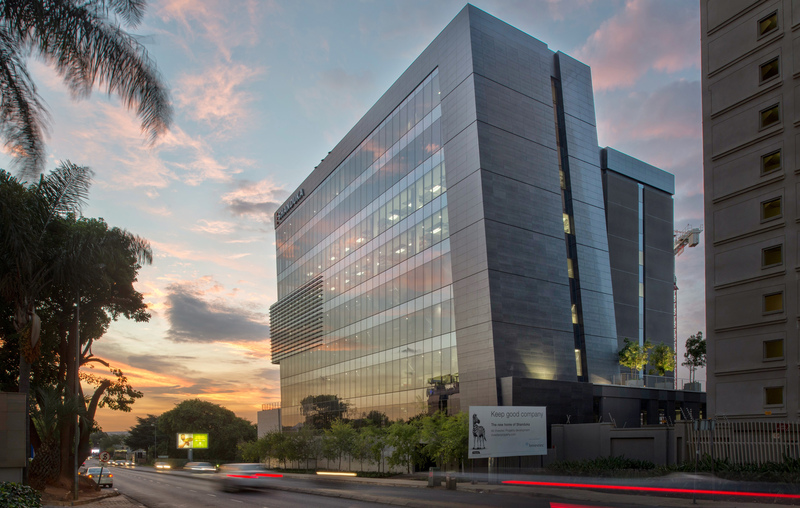 The footprint of the office block is 25 000m², with a gross building area of just over 300 000m². 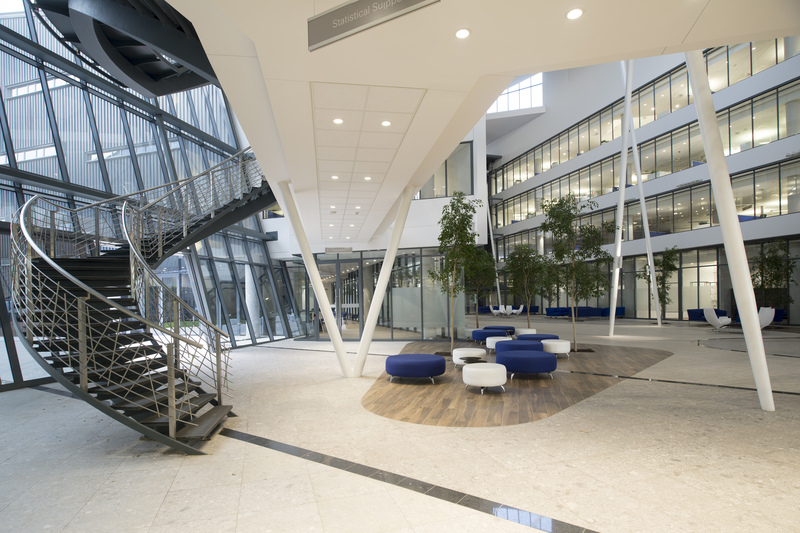 Employer:	Atterbury Waterfall Investment Company (Pty) Ltd Principal Agent: LYT Architects Architect: LYT Architects Contract Period:	April 2015 – February 2018 Est. 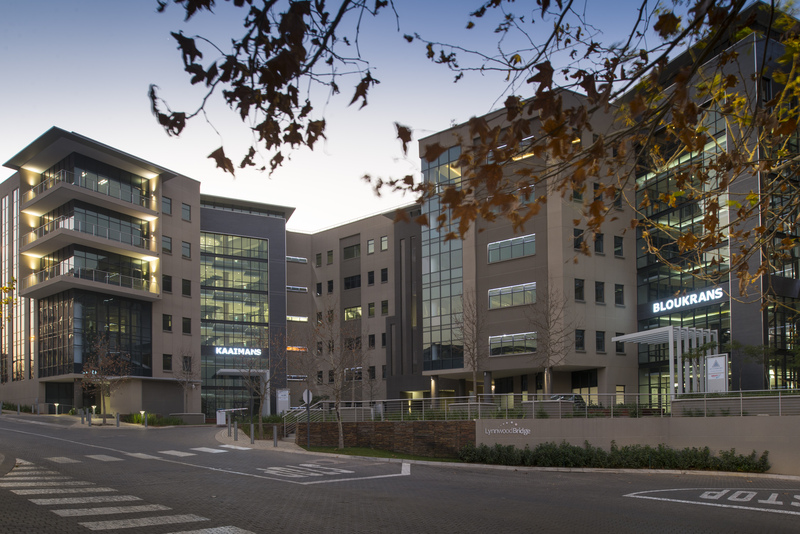 Value at Completion:	ZAR 900m Location:	Midrand, South Africa New office block for Price Waterhouse Coopers, for Atterbury Properties. 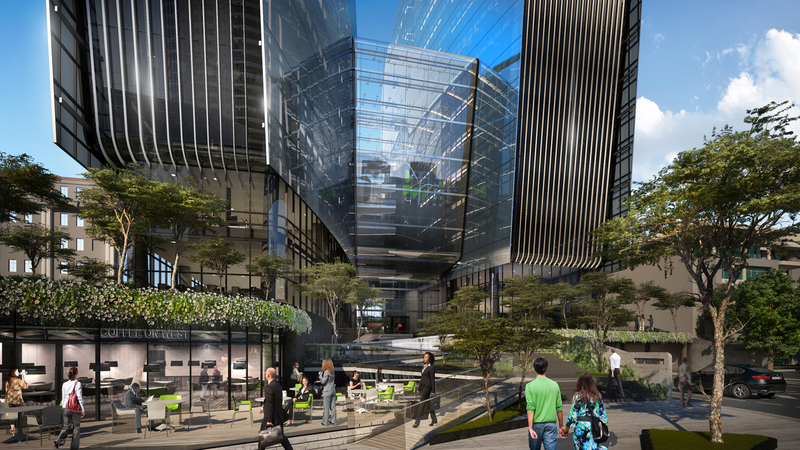 Construction of 25 levels of office space including common areas (approx 54000 m2 GLA) as well as 6 levels of basement parking. 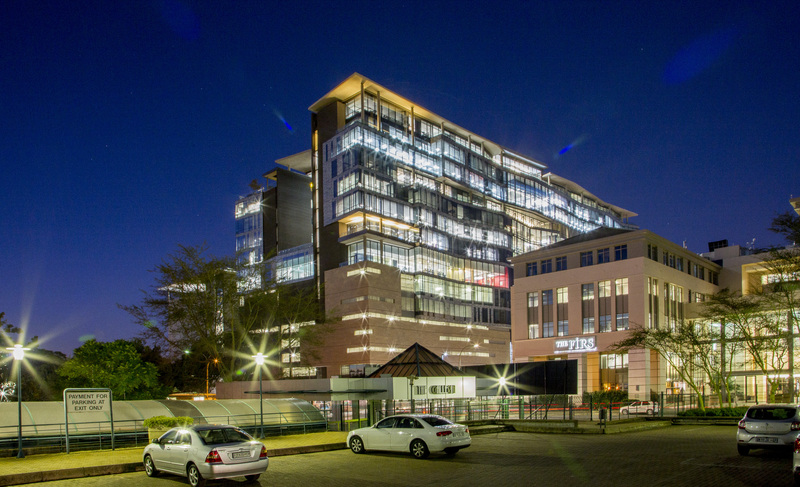 Employer:	Sun International Management Ltd Principal Agent: Proman Project Management Services Architect :	LYT Architecture Contract Period:	September 2015 – February 2018 Est. 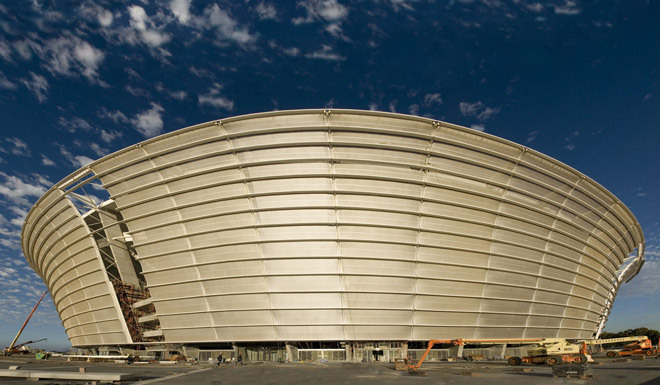 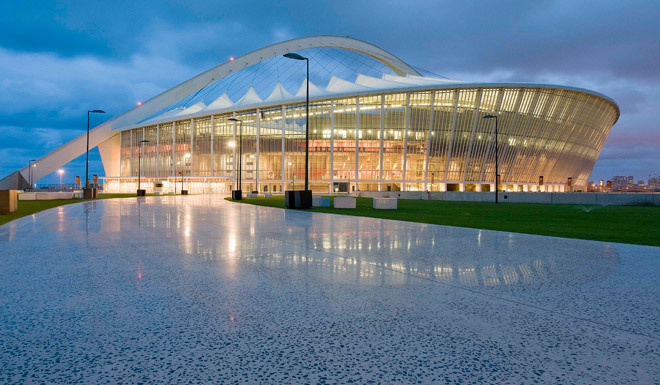 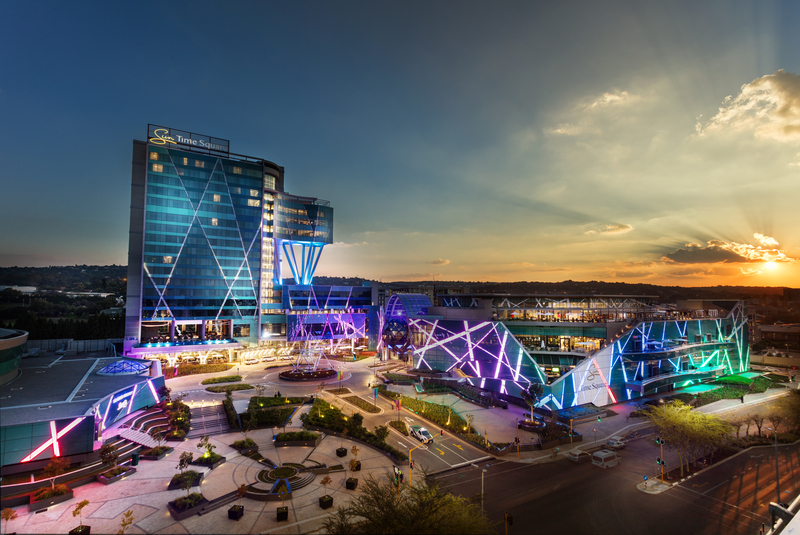 Value at Completion:	ZAR1 826m Location:	Menlyn , Pretoria , South Africa A new casino (2 levels), 8000 seater arena, hotel (247 keys), Basement parking (3 levels), back of house area (lower ground floor) including conference facility, health spa, public areas and restaurants. 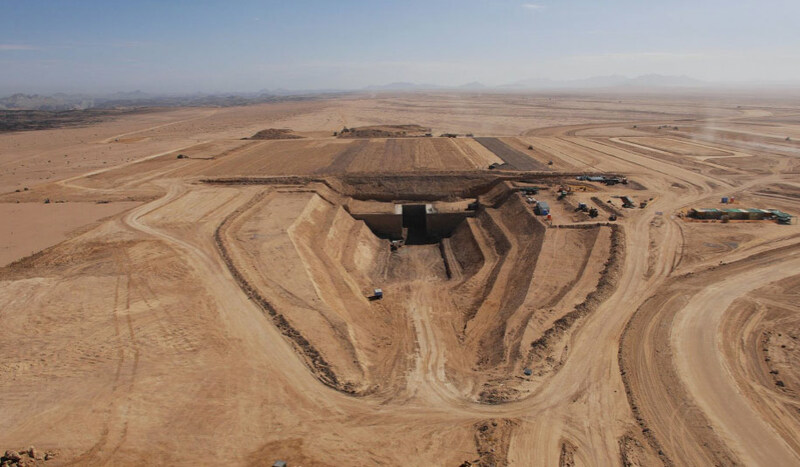 Construction area : 220 000m2. 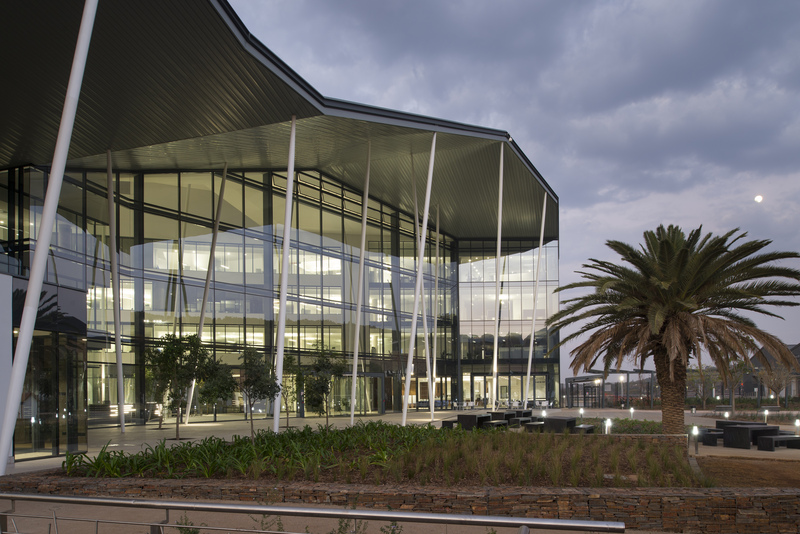 Employer:	Growthpoint Properties Limited Principal Agent: Glad Africa Project Managers (Pty) Ltd Architect:	AMA Architects Contract Period:	September 2017 – February 2019 Est. 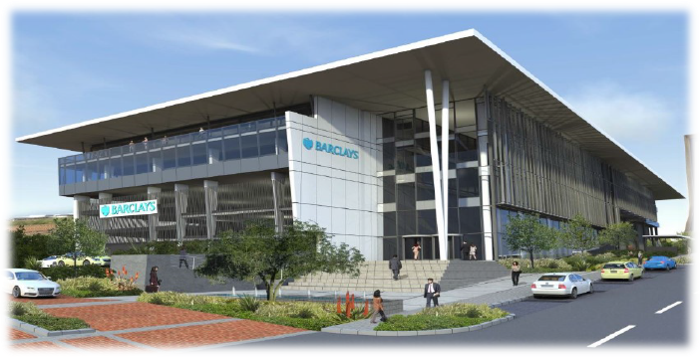 Value at Completion:	ZAR 468m Location:	Centurion, South Africa The construction of a 10 storey office development, comprising four basement levels and five office levels plus roof. 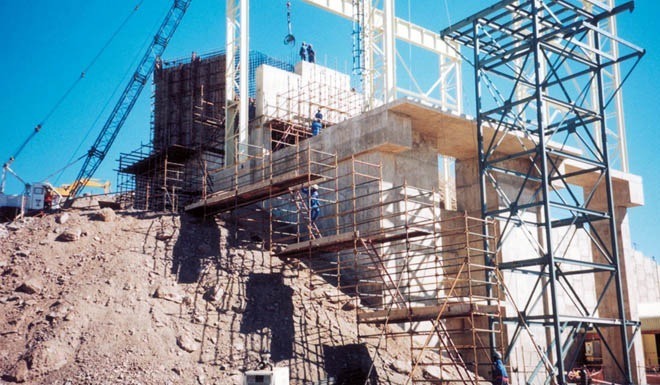 Construction includes for the raft foundation and all works from bottom of raft excavation level, upwards. 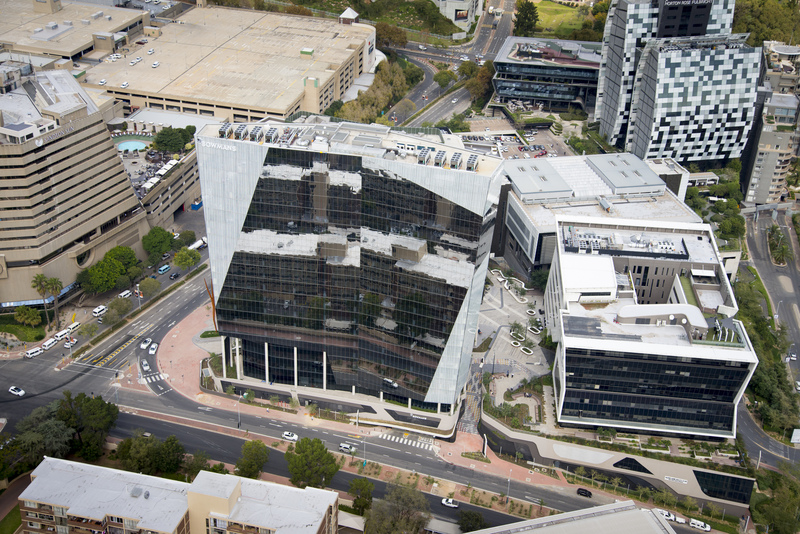 The overall GBA is 59 883m² with a building height of 35m. 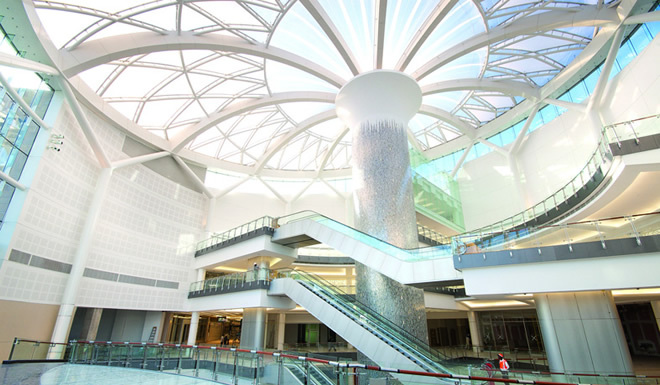 The internal atrium has an area of 385m² with a height of 23.5m. 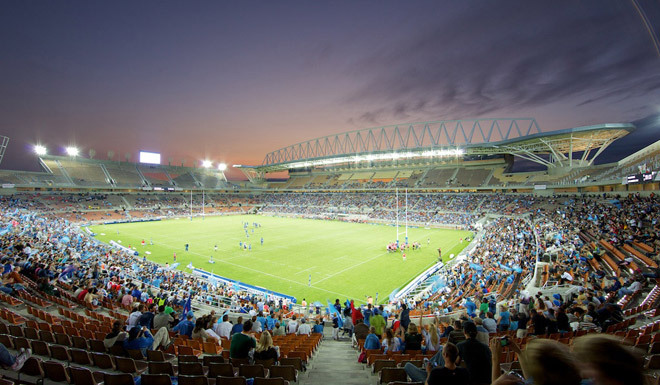 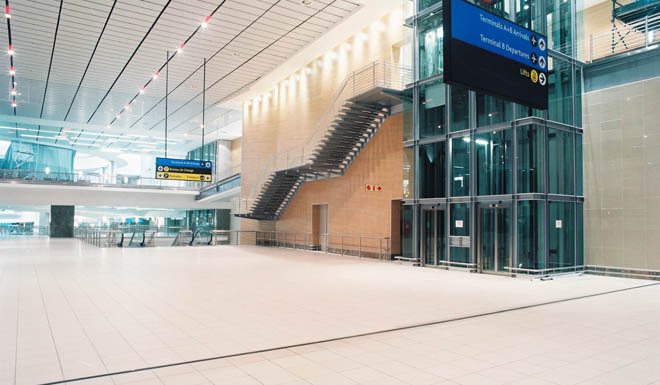 The triple volume reception has an area of 356m². 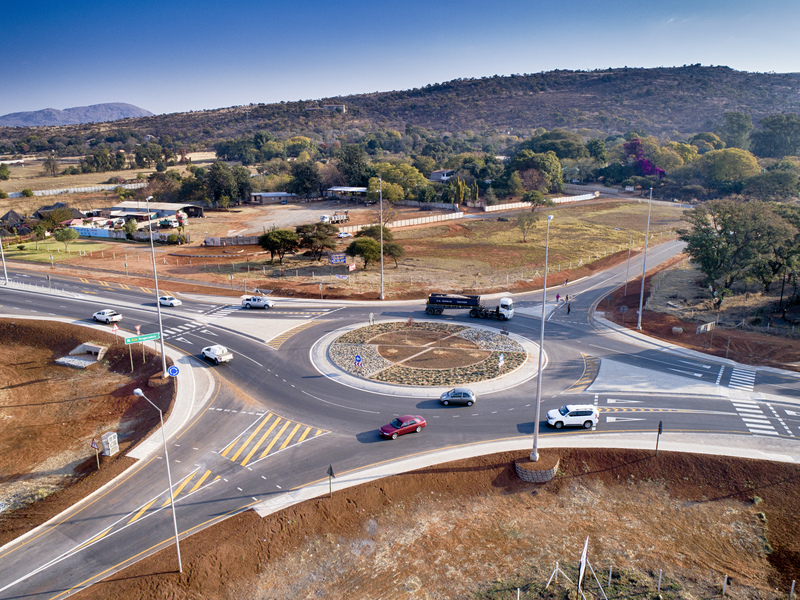 This project is in the province of the North West and in the district municipality of Bojanala (local municipality Rustenburg). 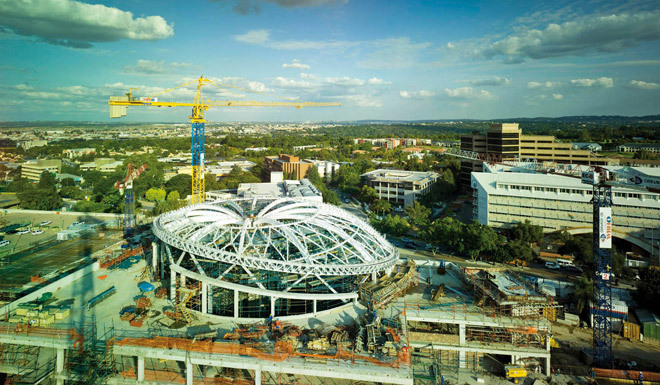 The approximate duration is 30 months. 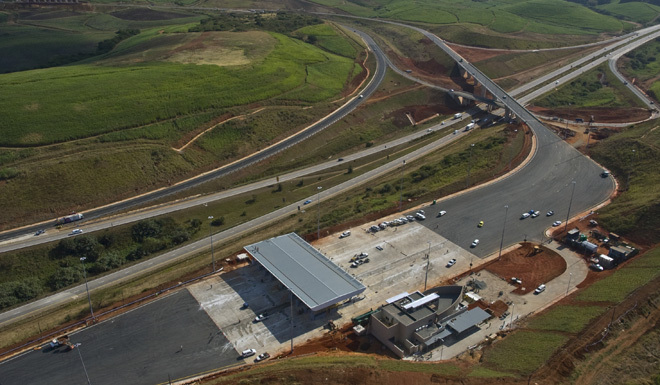 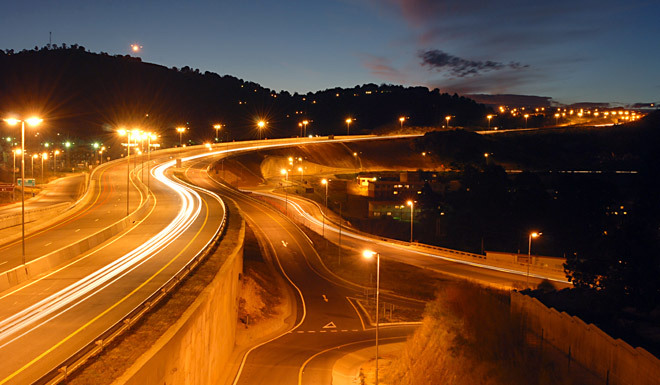 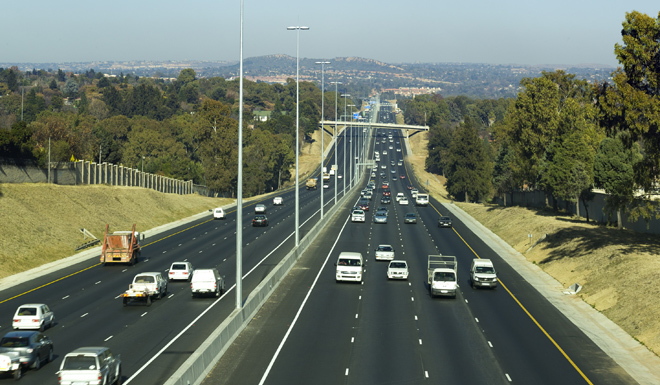 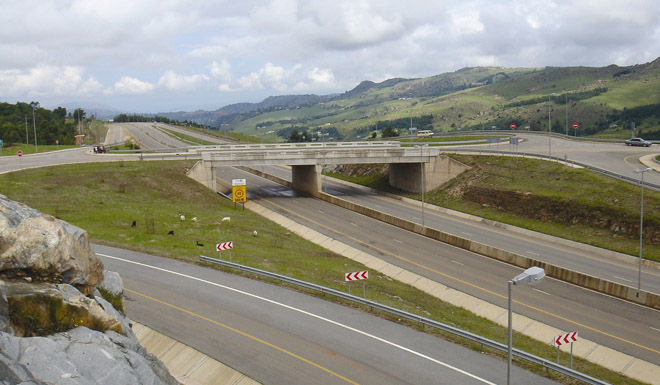 The project will mainly be the upgrade of national road R24 southwards from the N4 at Rustenburg. 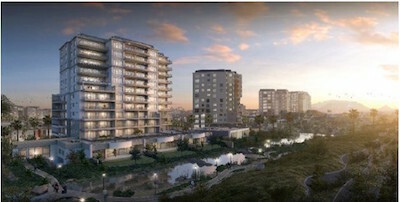 Construction comprises a 27 000m2 development. 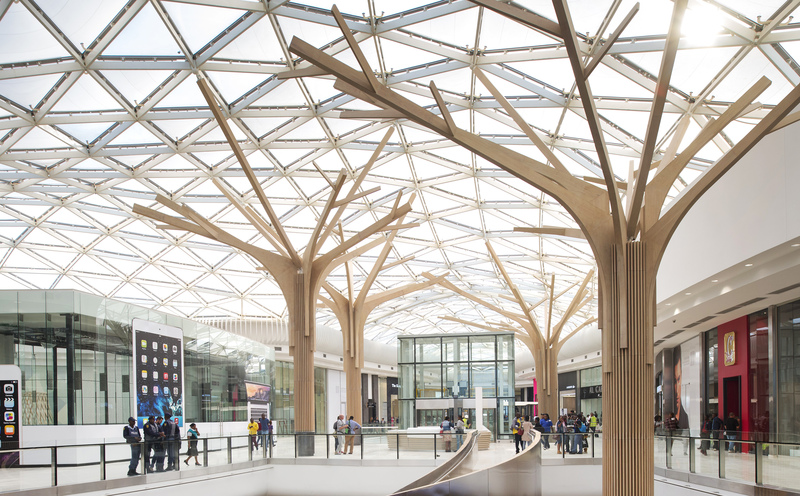 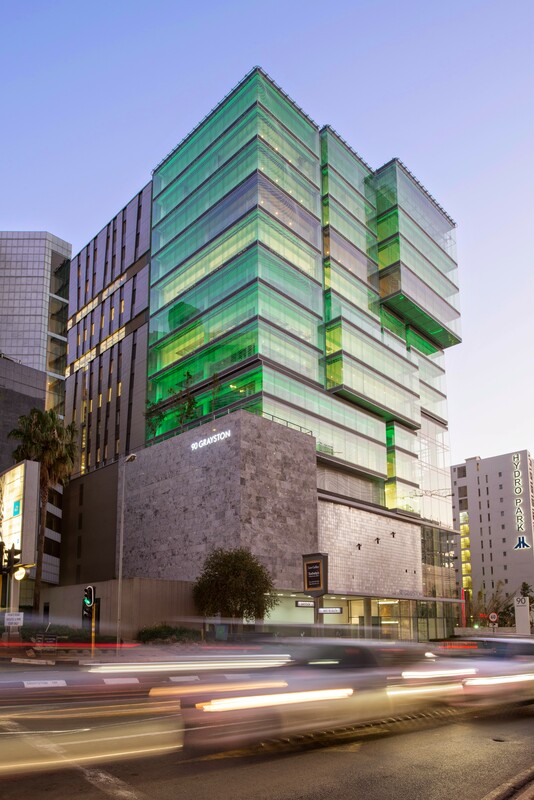 It consist of 2 linked towers, clad with state of the art facade glazing, both covered by a glass roof. 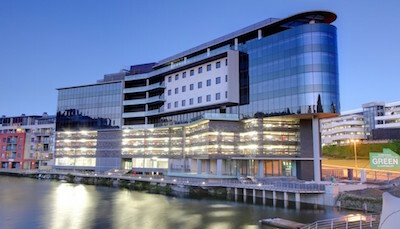 It has 8 basement parking levels. 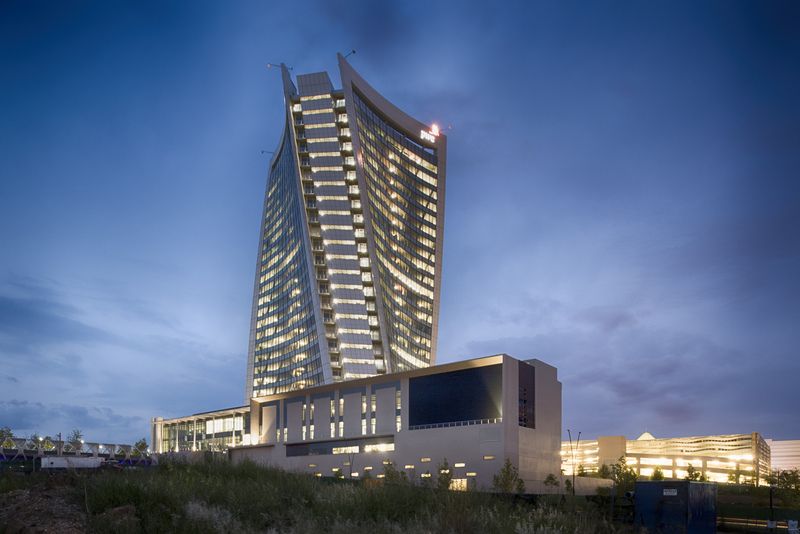 The towers are 10 and 14 storey structures respectively with 2 lift cores housing 7 lifts and 2 escalators. 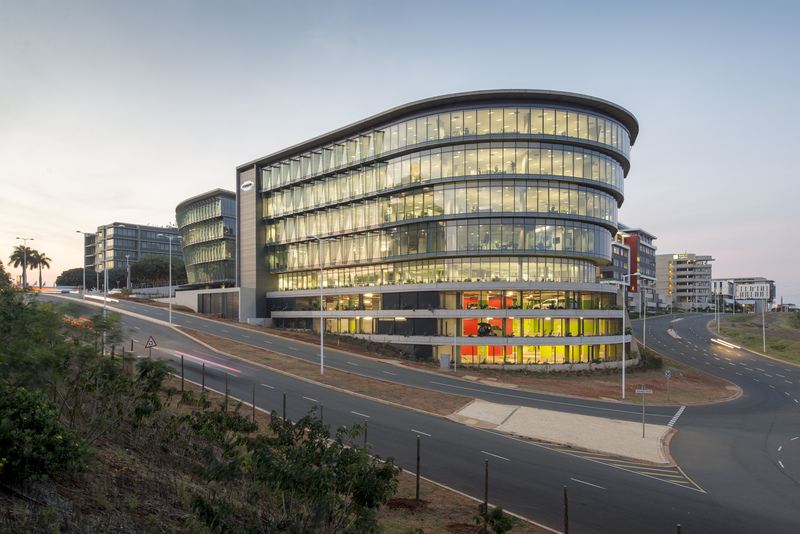 7 levels of offices and Virgin Active. 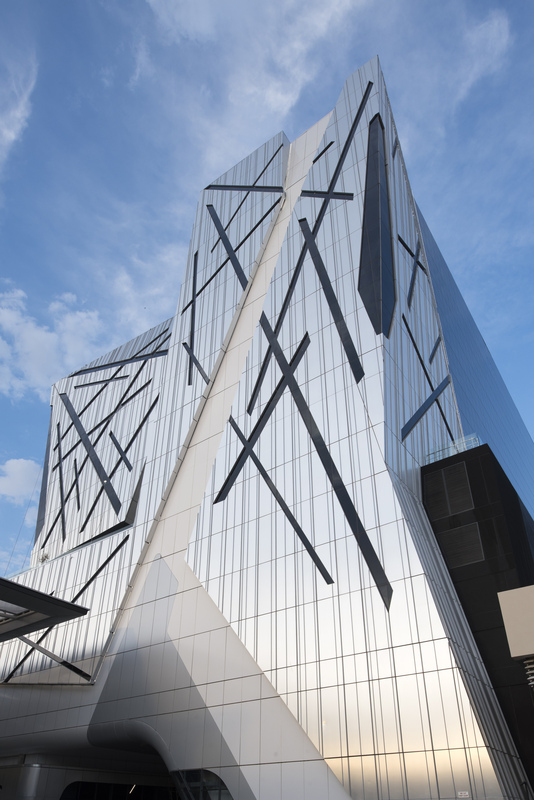 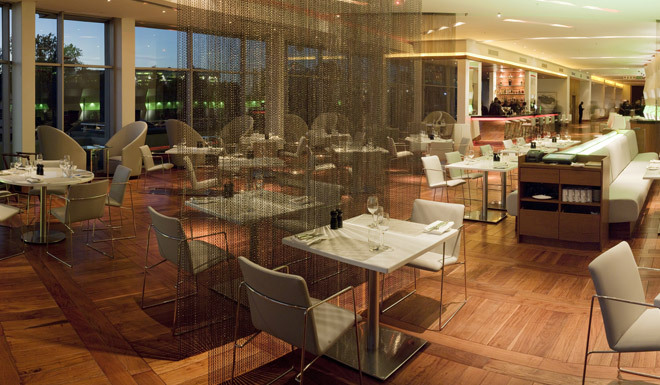 Facades are 70 % glass and vertical transport consists of 2 main lift cores of 3 lifts each and 1 glass scenic lift. 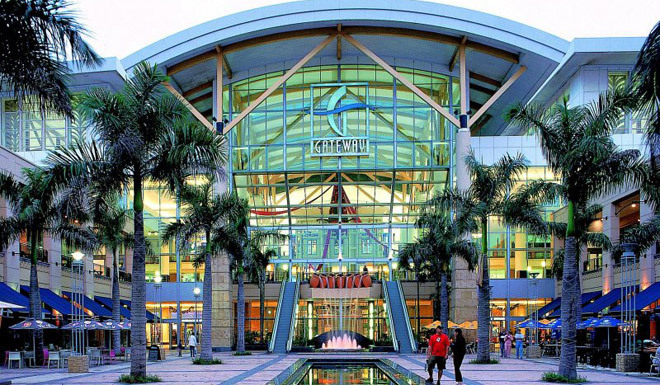 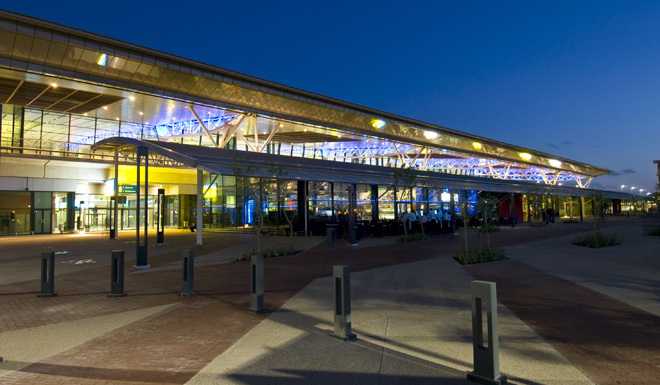 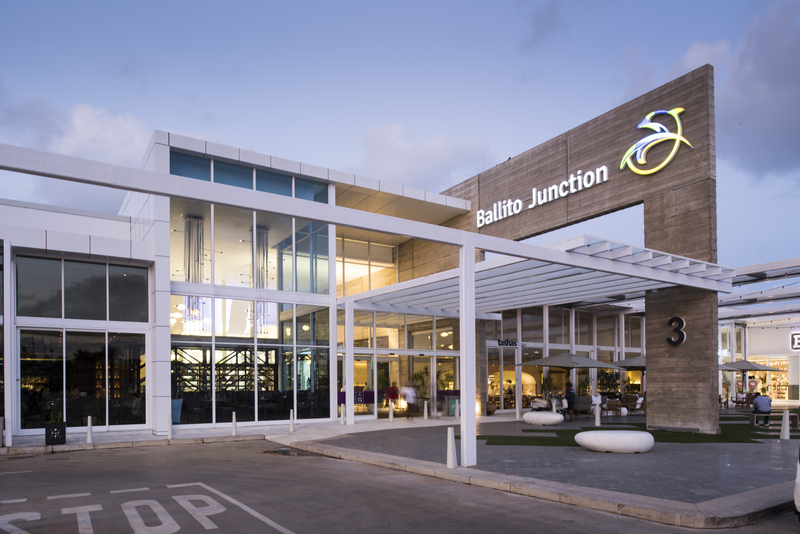 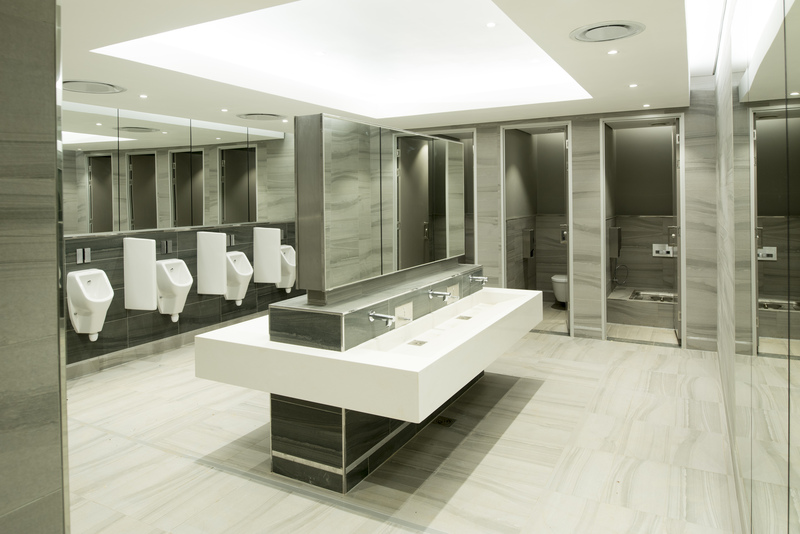 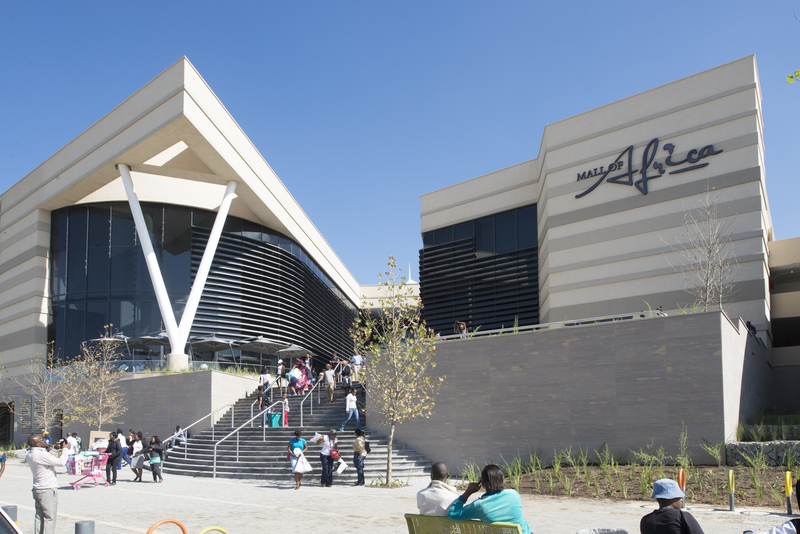 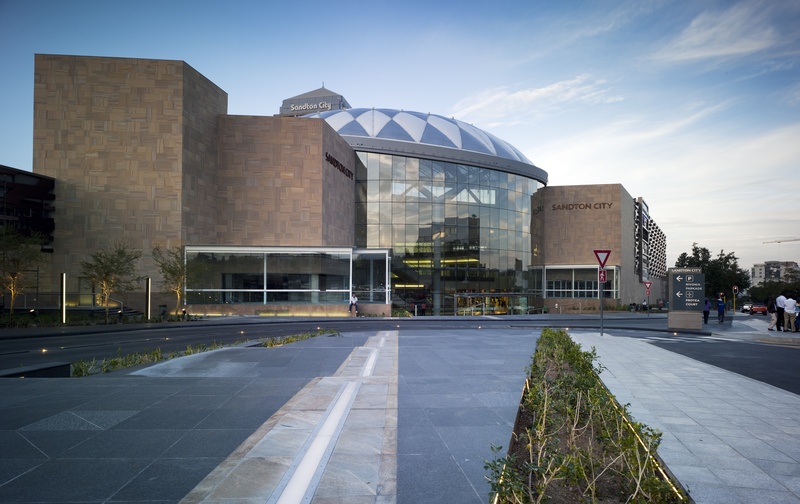 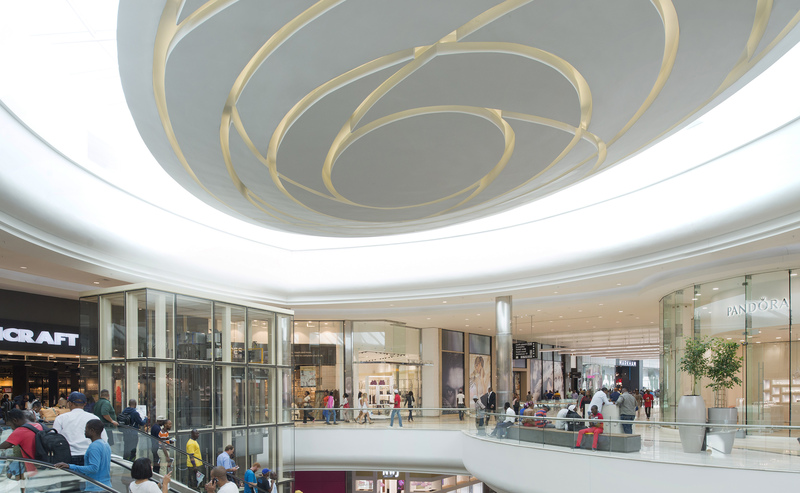 Menlyn Maine Central Square is a true multi use development, incorporating 25 000m2 of retail shopping space, 12 500m2 of Commercial Office Space, and a 4 500m2 Virgin Active Classic Health club. 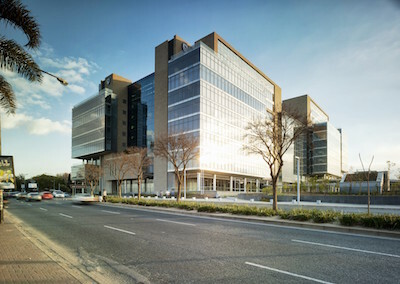 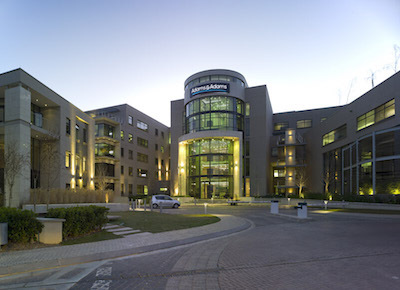 New Head Office in Pretoria for the Department of Statistics South Africa. 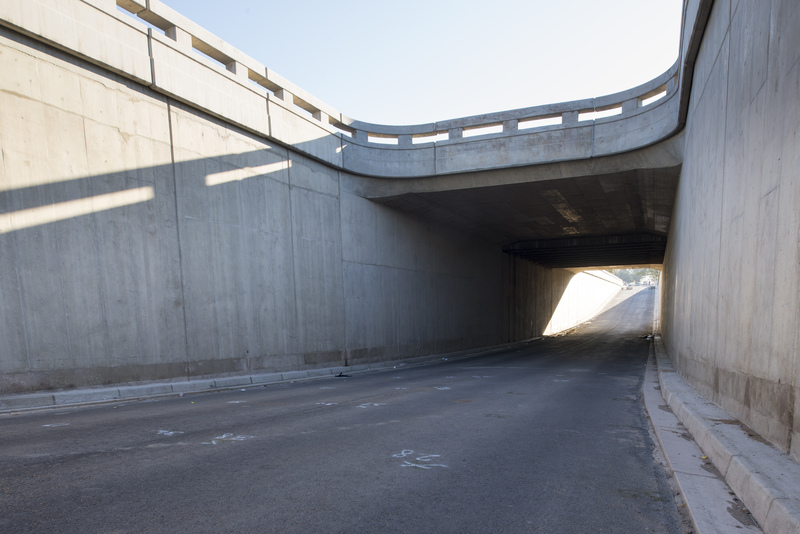 Rea Vaya BRT Katherine Street - Construction of bus lanes on each carriageway, cycling lane, concrete median barrier and widening of road. 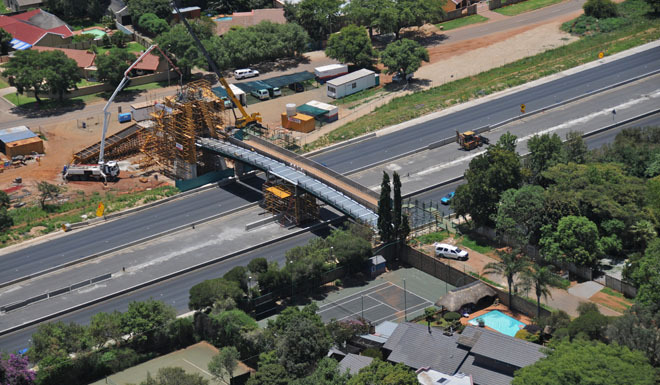 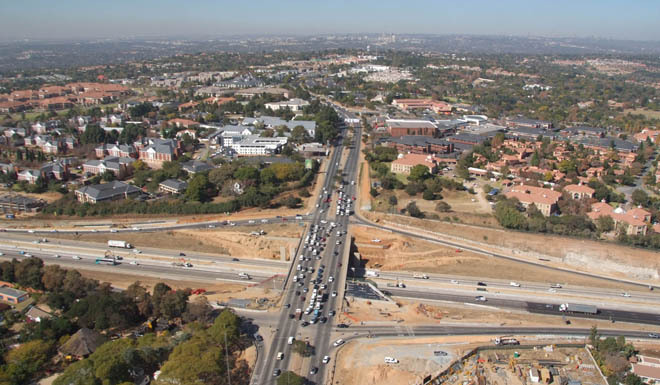 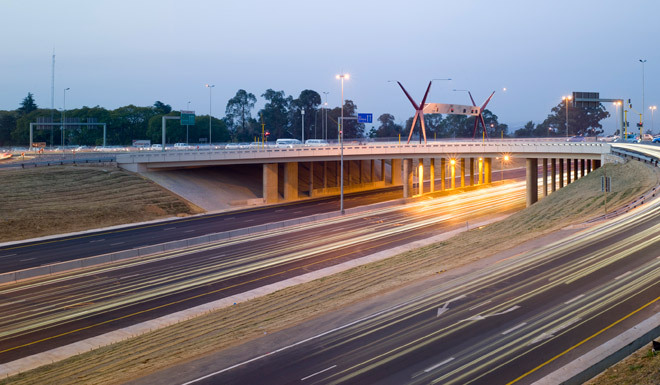 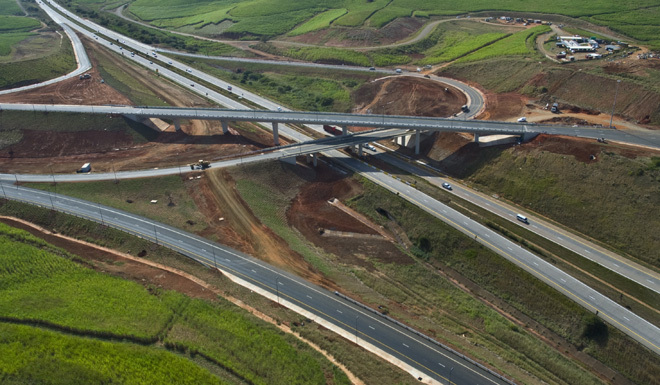 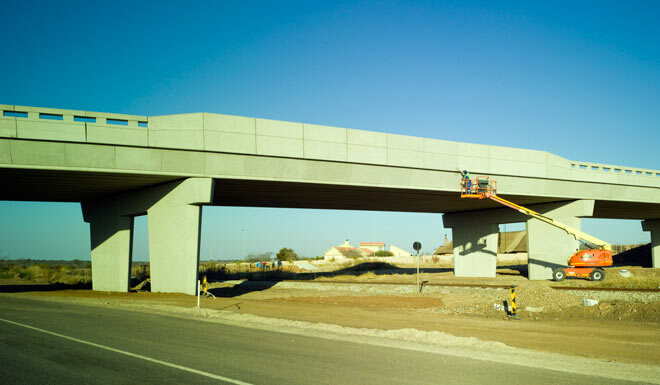 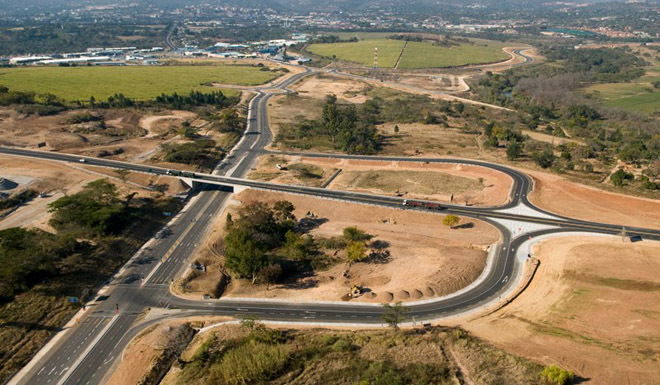 Rea Vaya Sandspruit Bridge - Widening of Sandspruit Bridge on Katherine Street and a section of Marlboro Drive. 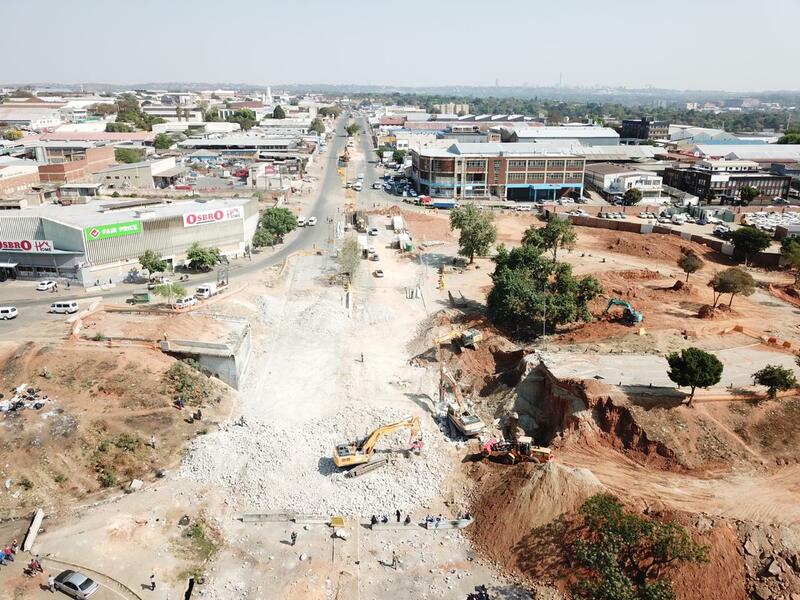 BRT Cable Stay Bridge - Construction of BRT Bridge (255m) over M1 Highway, BRT Lanes on Katherine Street to Lees Street and widening of Katherine Street. 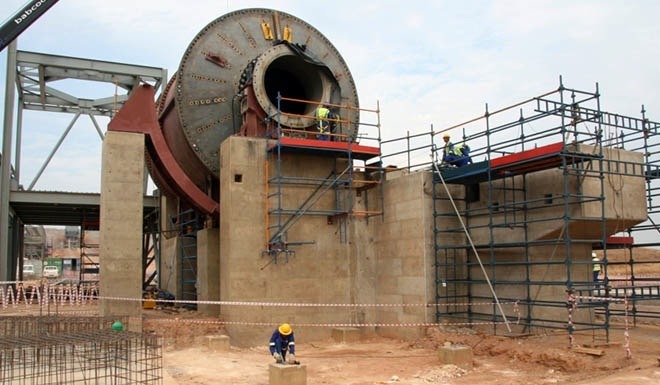 In April 2014 WBHO was appointed to carry out the construction of the new Achimota Retail Centre. 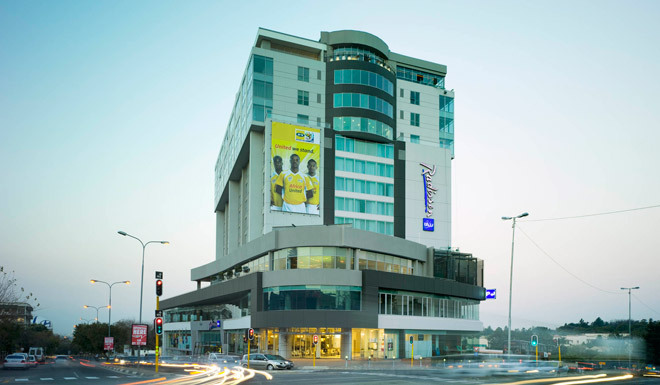 The site is situated in the busy north Accra, 20km away from the recently completed West Hills Mall and a 20 minute drive from our Head Office in the capital city. 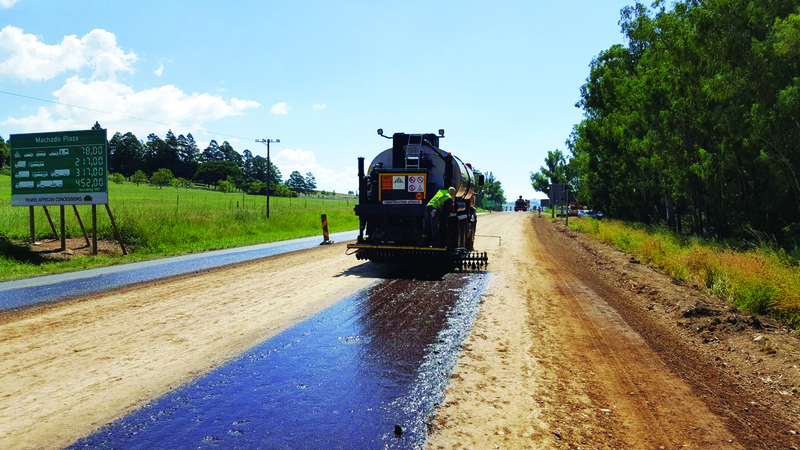 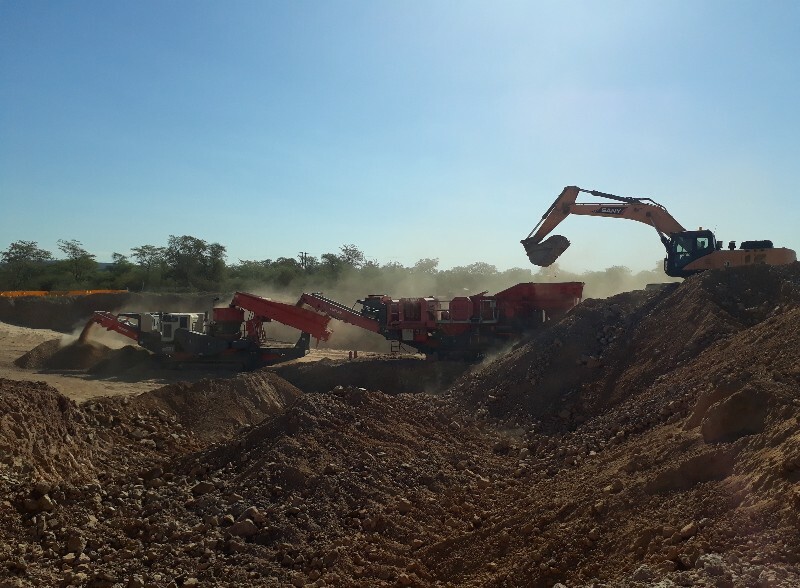 Our Roads & Earthworks division were selected to execute the bulk earthworks subcontract which was efficiently completed in 2 months, setting the contract off to a good start. 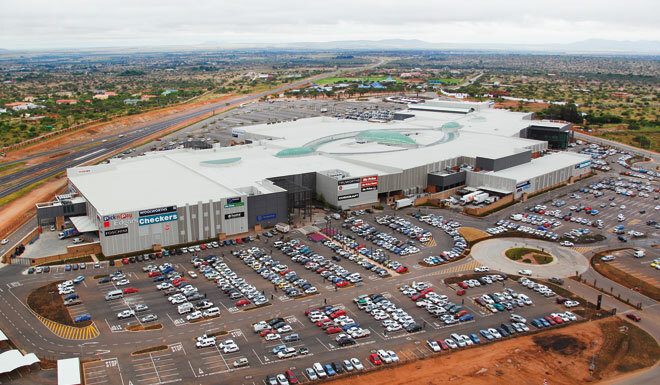 Achimota, a single level 16 000m2 (GLA) strip mall anchored by Shoprite and Palace, with a variety of convenience shops, caters for fashion, white goods and a selection of restaurants. 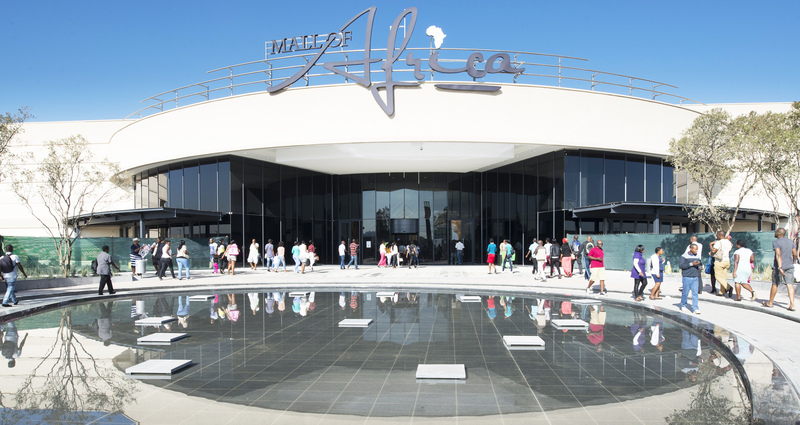 There are a variety of Ghanaian retail brands, as well as well-known South African brands such as Jet, Mr Price, Stanbic, FNB, Bata, Barcellos and KFC. 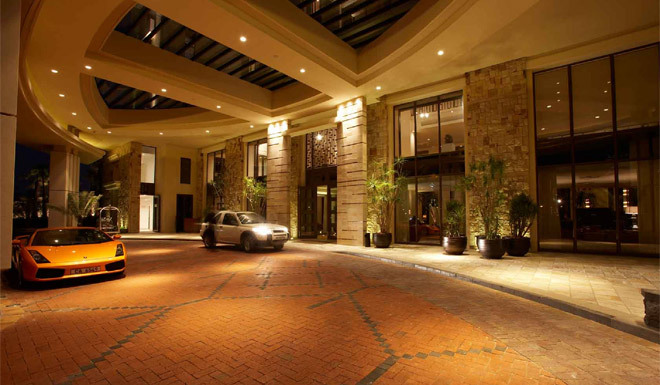 There is 7000m2 of basement parking as well as ample on grade parking. 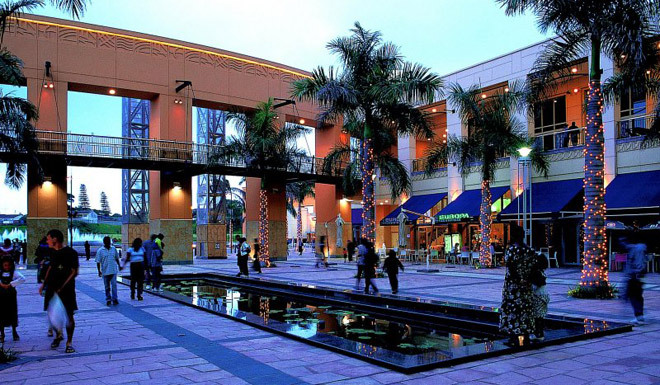 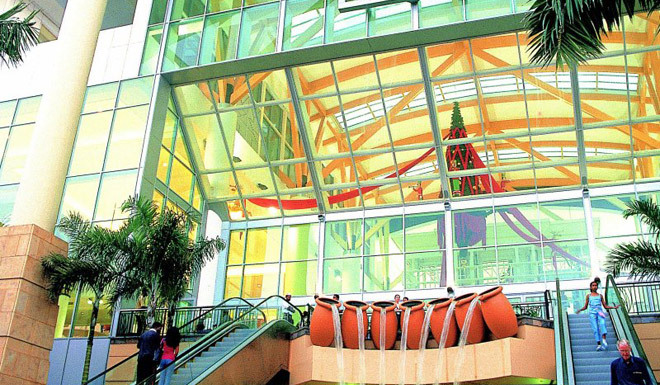 The open mall is beautifully landscaped with water features and common seating areas. 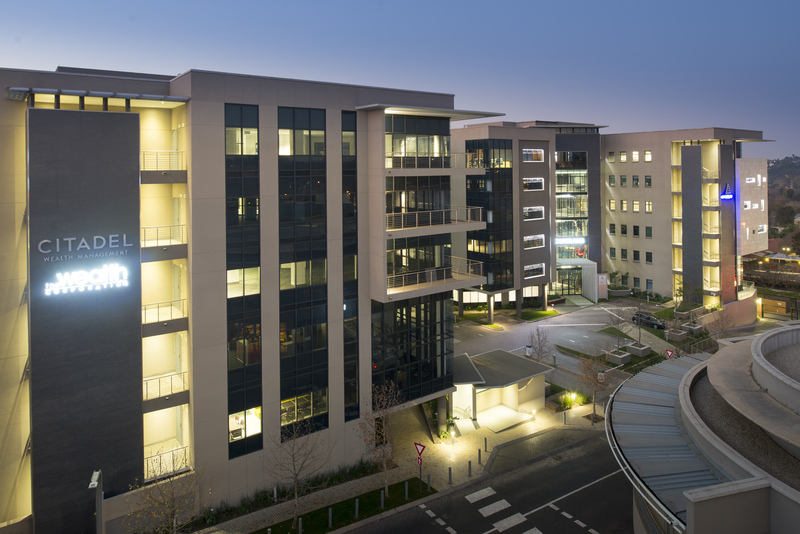 The 90 Grayston Drive building is a 21 level office block development with 11 parking levels, 1 atrium level and 9 office levels It is a multi-functional building with 19 343m2 of office space and 946 parking bays. 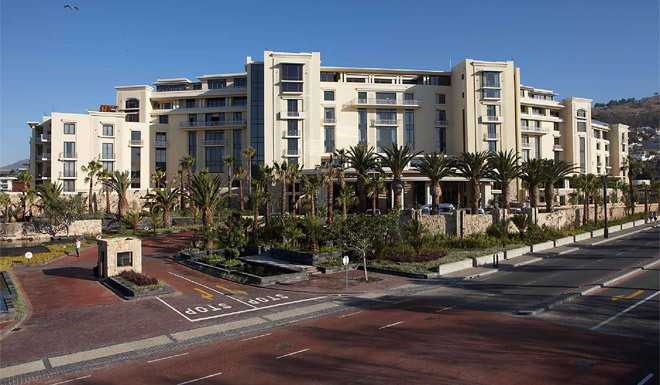 MARINA RISE : Each of the 91 rooms and suites within the seven-storey Marina Rise feature expansive glass doors that lead onto private balconies offering unobstructed views of the picturesque harbourside and iconic Table Mountain. 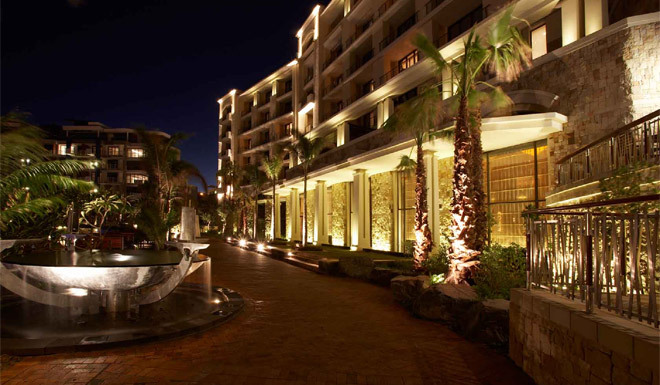 THE ISLAND : Located on a secluded and lushly landscaped island, surrounded by a waterway, each of the 40 Island rooms and suites feature a private balcony or terrace and waterway views. 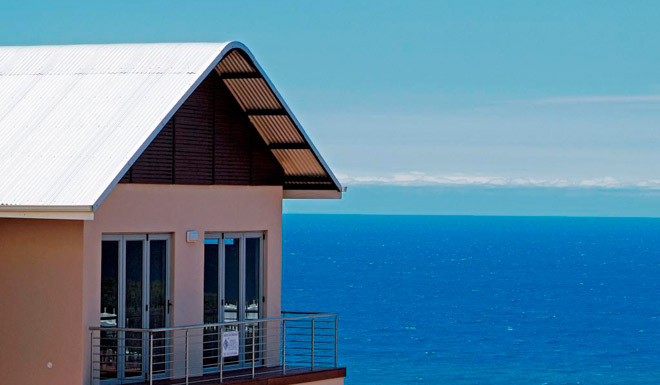 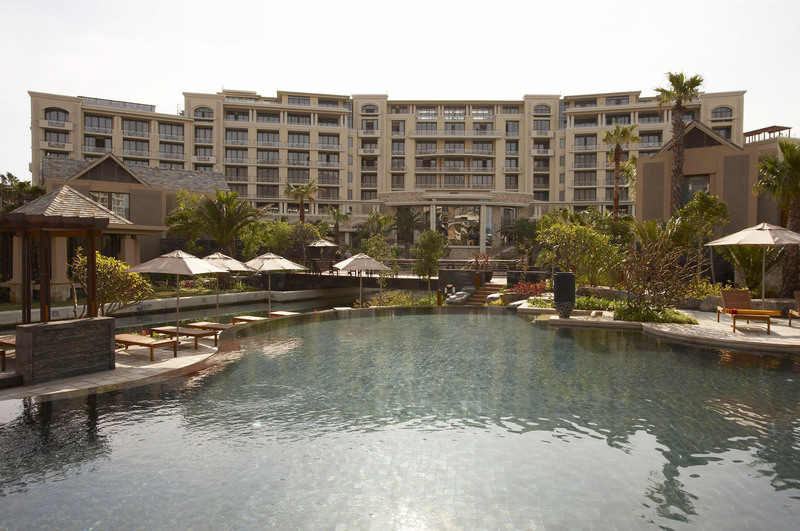 SPA/FITNESS : At the heart of One&Only Cape Town, on its own private island in the centre of the waterway, lies an exclusive, unparalleled spa retreat. 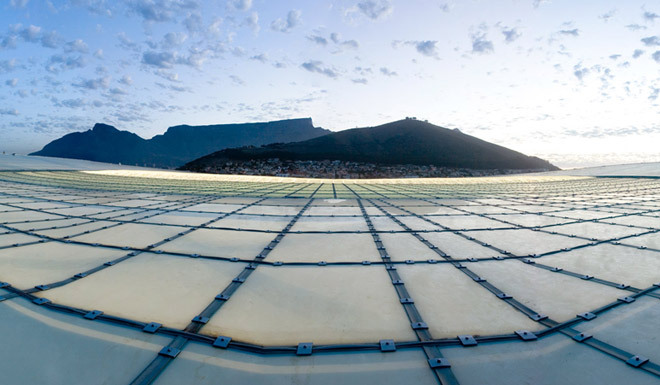 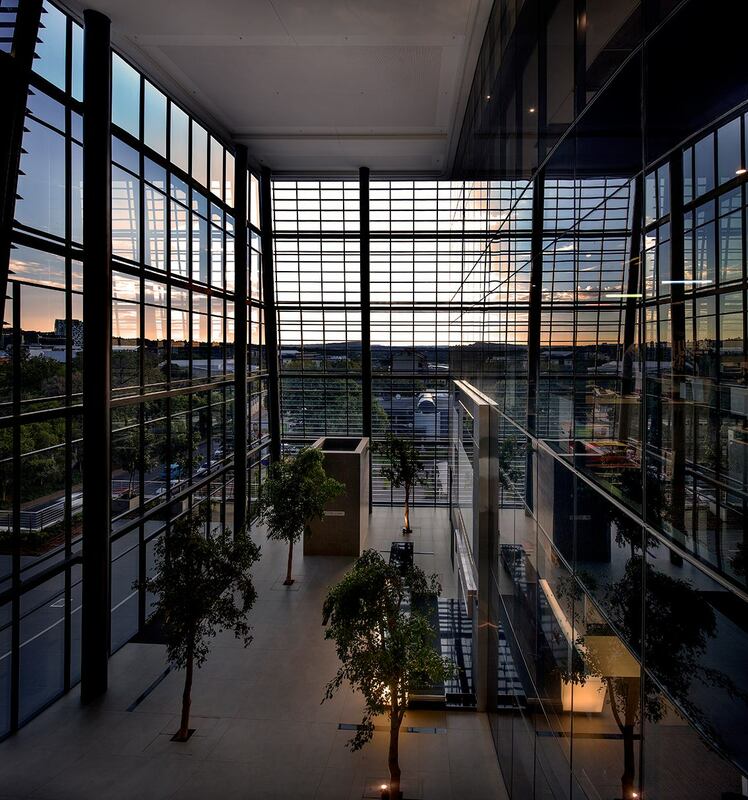 A serene haven amidst the energy of a bustling city, the spacious 1,200m2 One&Only Spa is the most expansive in all of Cape Town. 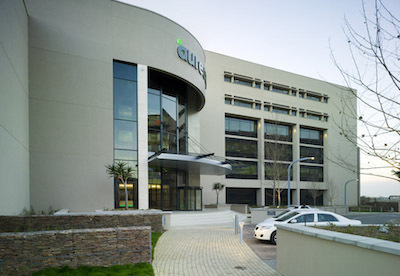 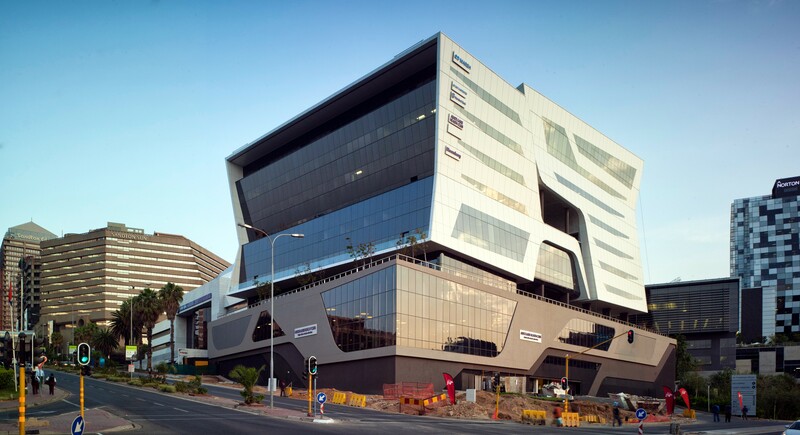 A Commercial Office Building development on Sable Road, Century City consisting of 2 towers with 4 levels each, 2 basement parking levels, totalling approx. 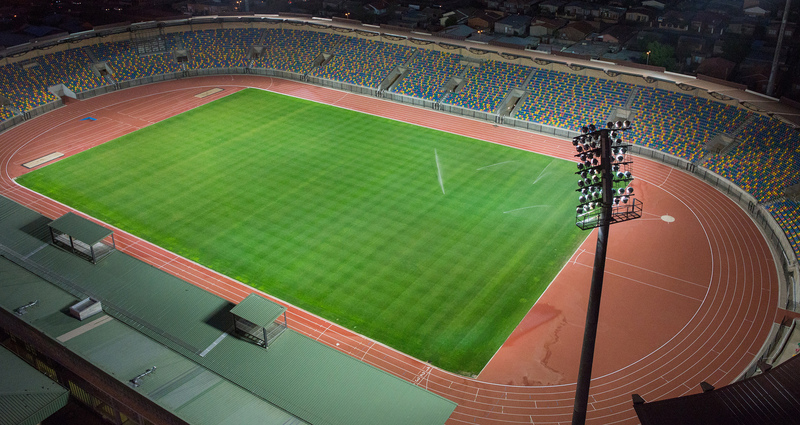 35 300m2. 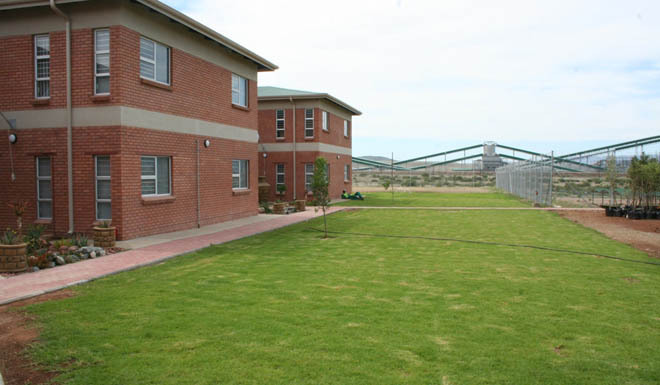 Employer:	Ownhaven Housing Association Architect : Adendorff Architectects and Interiors Contract Period:	January 2018 – December 2019 Est. 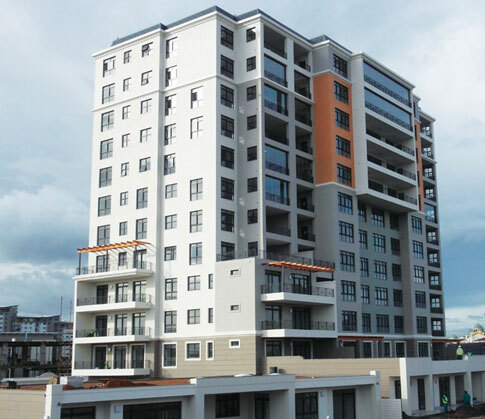 Value at Completion:	ZAR 271m Location:	Port Elizabeth , Eastern Cape, South Africa Construction of 630 Social Housing Units in 32 Multistorey Blocks of 4 separate phases with associated siteworks and services including site infrastucture, access roads and road improvements. 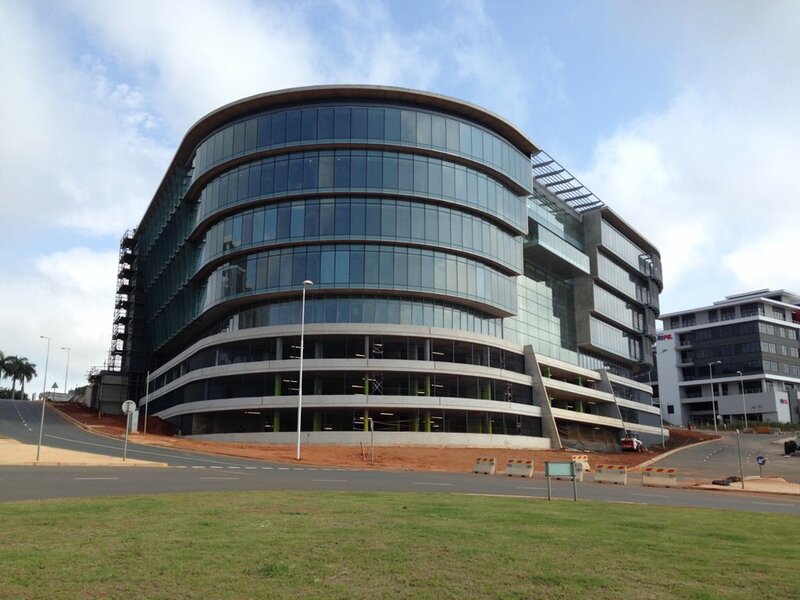 Construction of an Office Block and Multi Level Structured Parking Garage in Umhlanga Ridge. 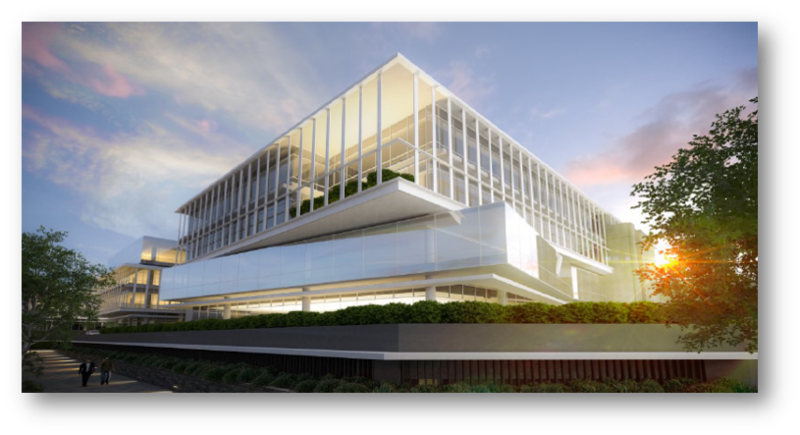 17 520m2– Office Block, 300m2 - Sky Bridge Link and 12 550m2 – Multi Storey Parkade. 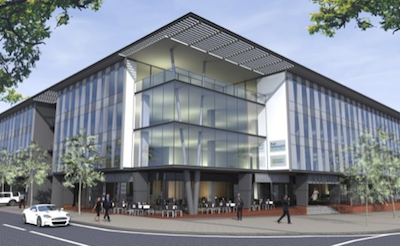 Construction of a New Office Development and associated basement and external parking . 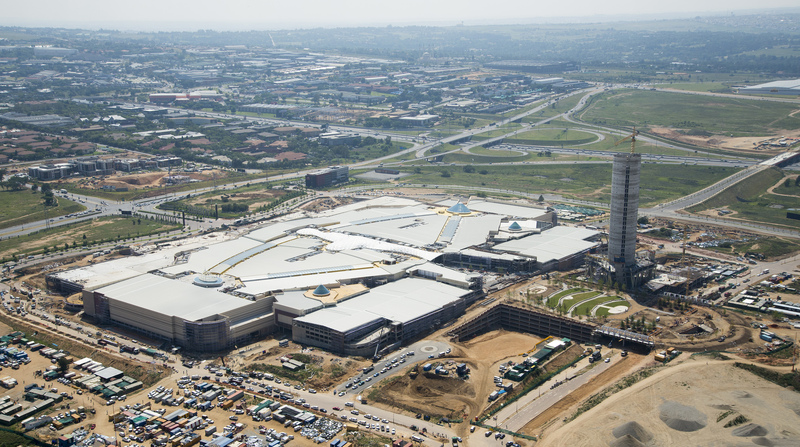 Construction of a 60 000m2 retail shopping centre. 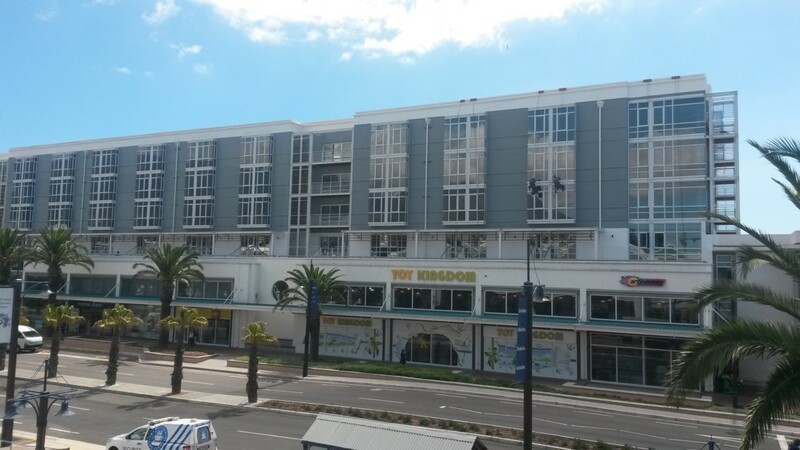 It consists of 2 retail levels. 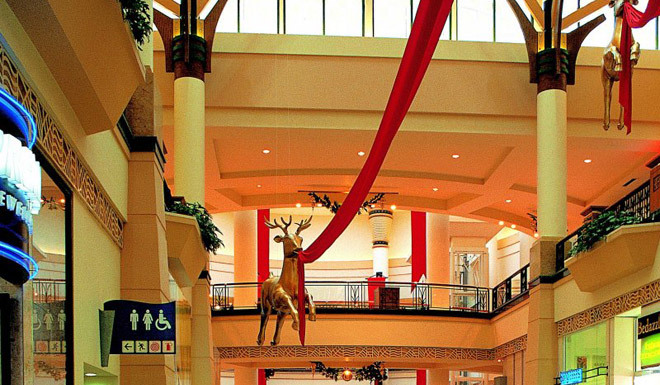 There are 5 major retailers. 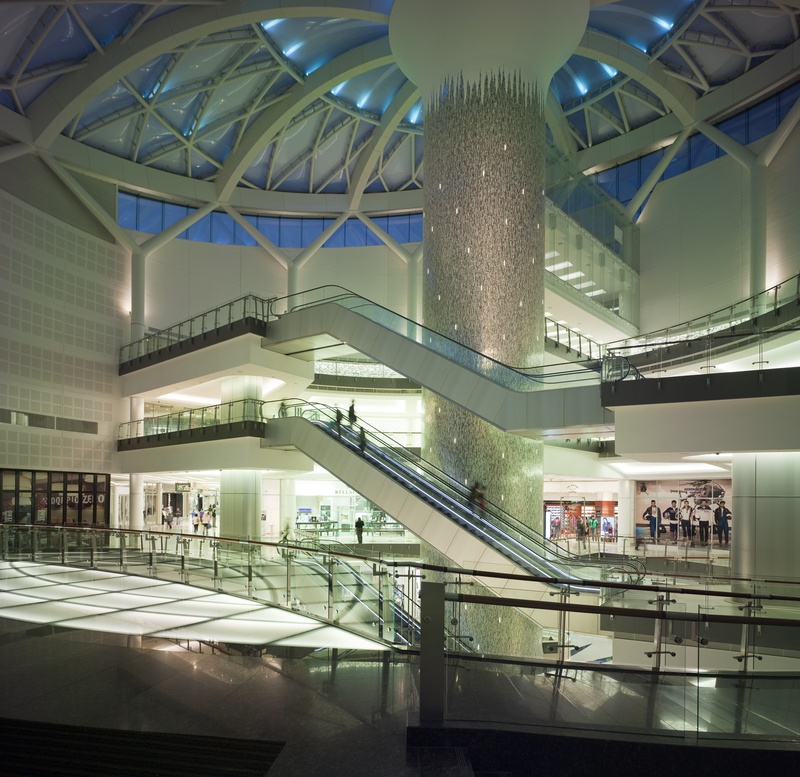 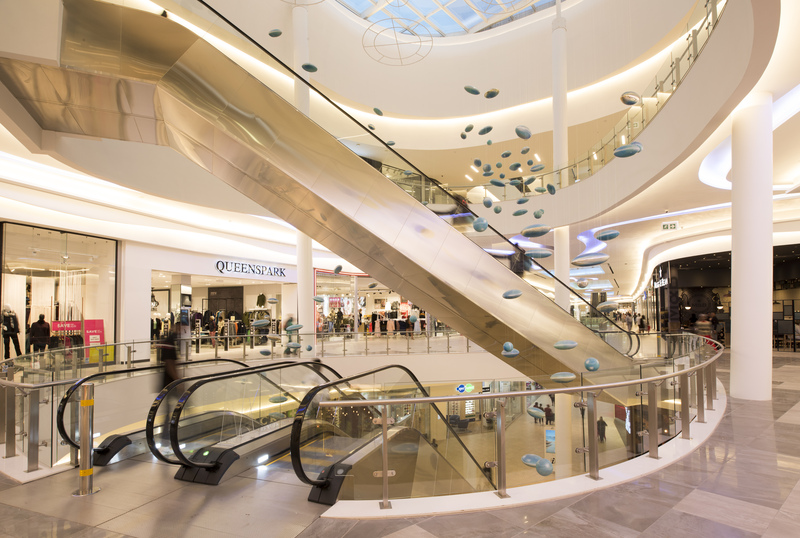 There are 79 shops on the lower level and 54 shops on the upper level. 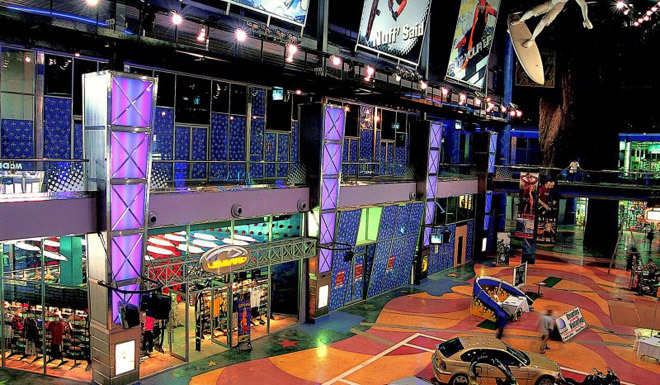 It has an open parking area. 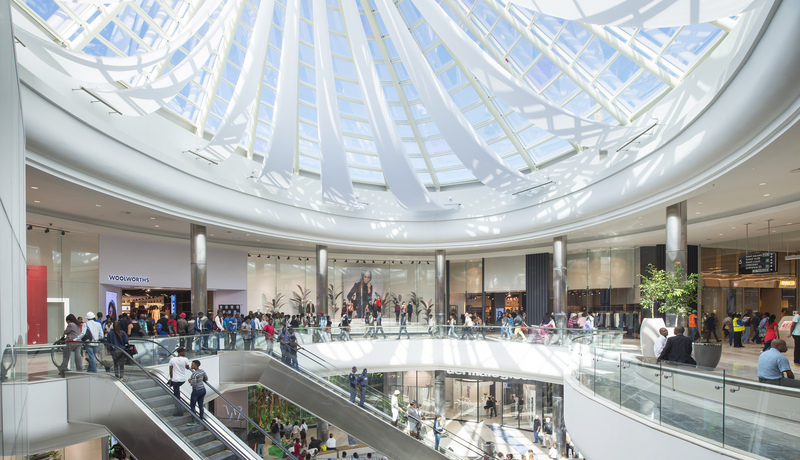 mega mall will house more than 300 stores. 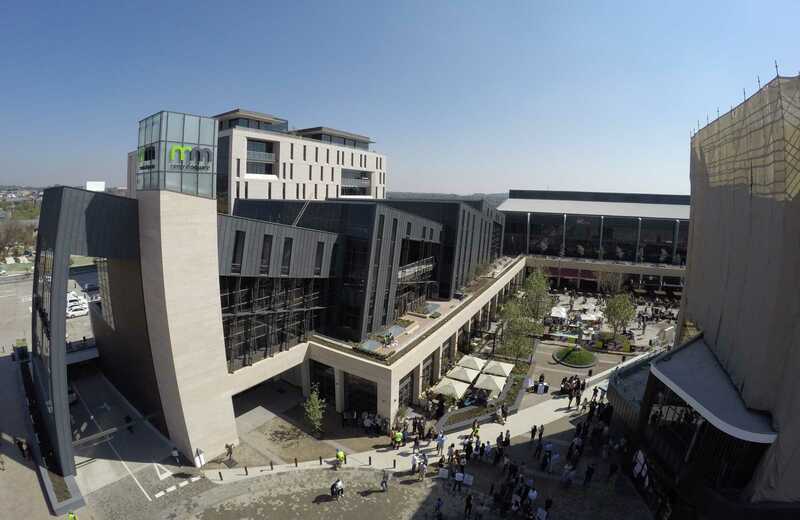 The existing Silo to comprise an art gallery over 7 floors, a restaurant on the roof and a 27 bed hotel in the existing elevated tower. 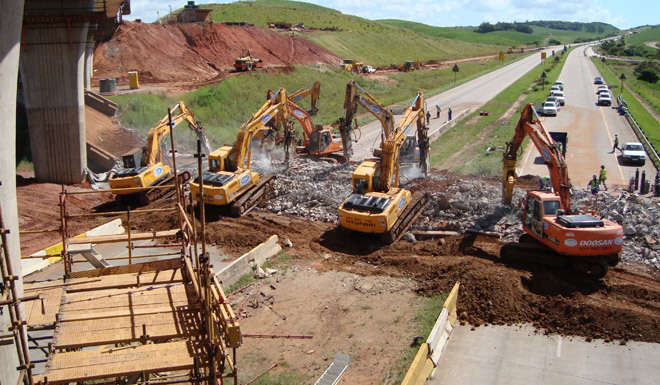 External works including parking, paving, roadwork, ancillary buildings etc. 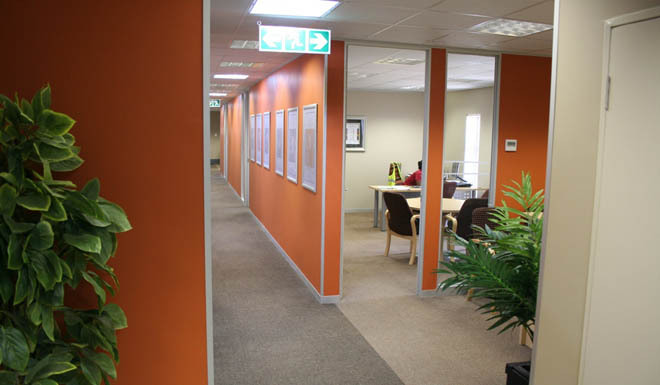 and 7 levels office . 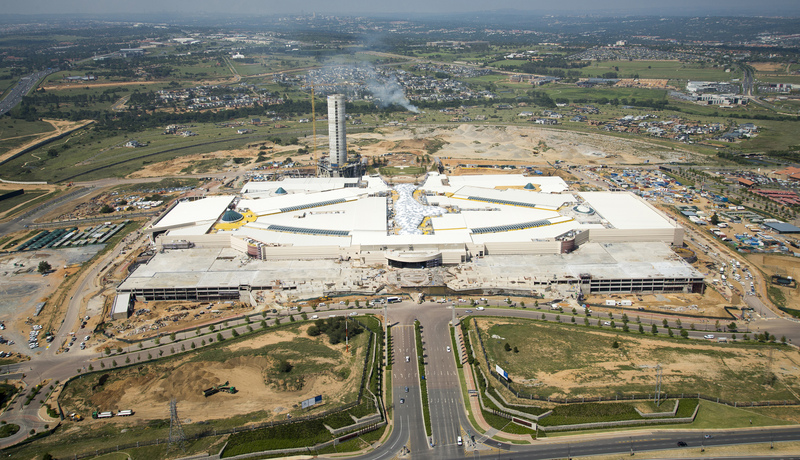 West Hills Mall was the first mall that brought the Building Division to Ghana in December 2012 with the construction being completed in October 2014. West Hills Mall has a GLA of 28,000m2. 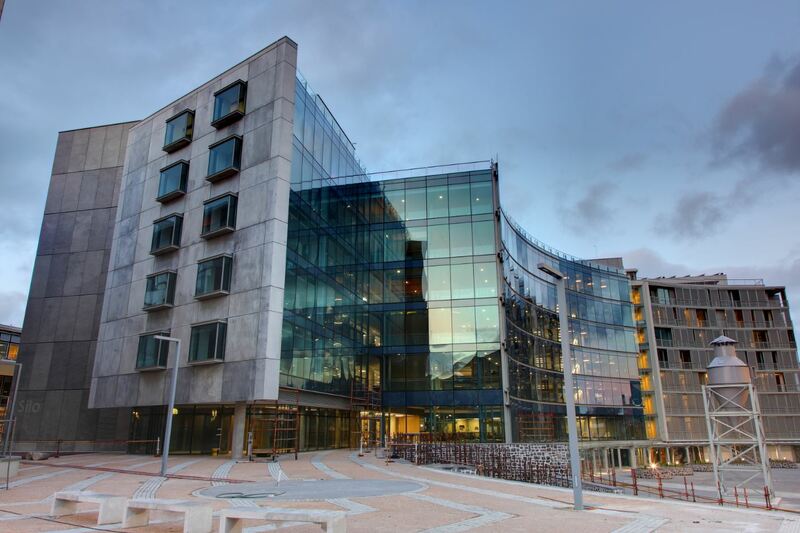 Phase 2 is a commercial office block with 6 office levels, a Piazza level and 9 parking levels. 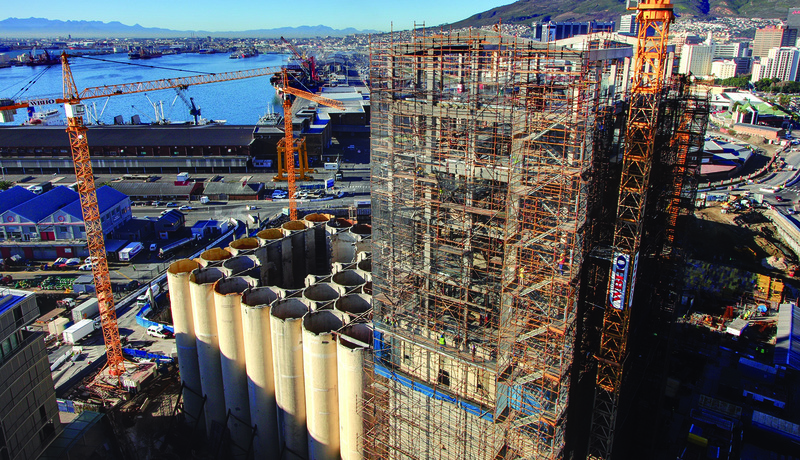 Over 30 000 cubes of concrete was poured in the project. 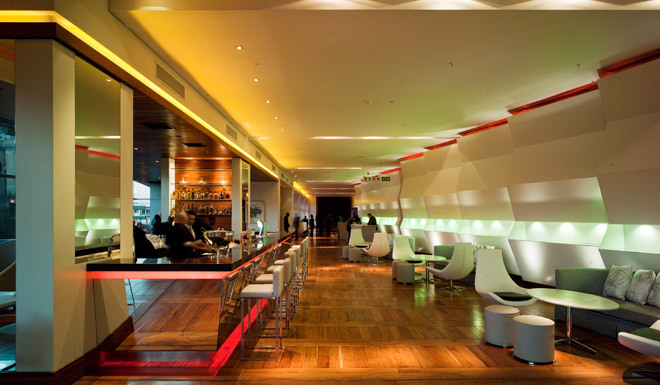 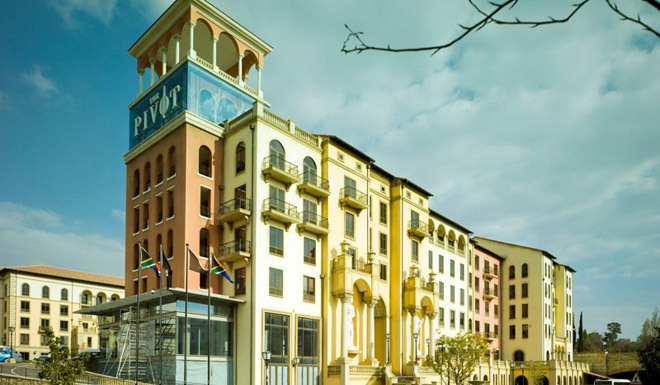 Employer:	Tsogo Sun Principal Agent: Mirage Leisure Development (Pty) Ltd Architect :	Northpoint Architects Contract Period:	May 2013 - August 2014 Est. 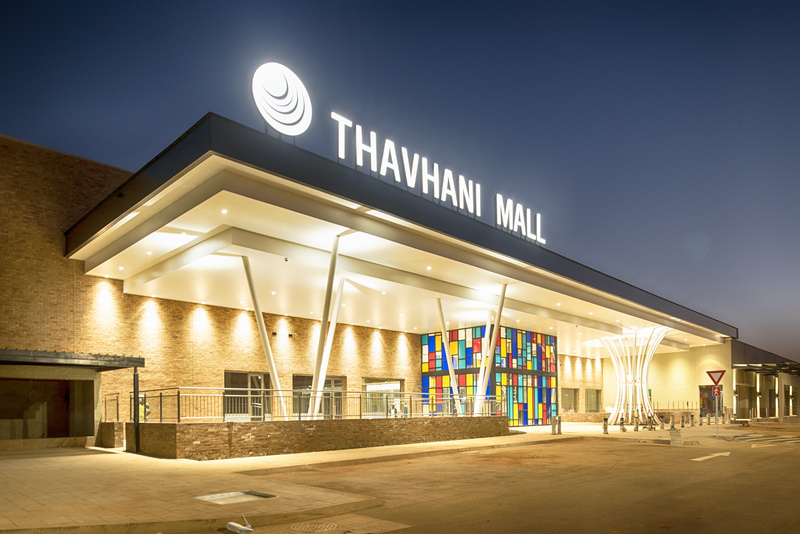 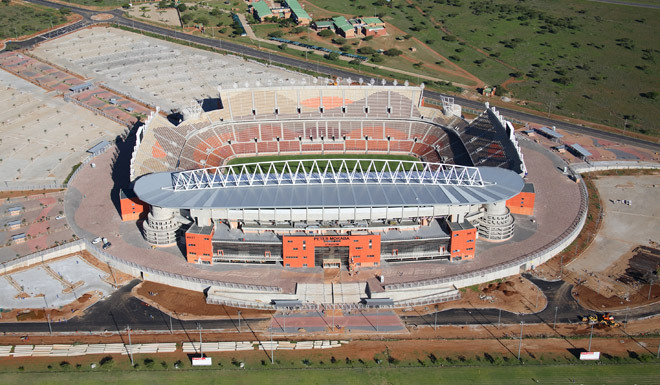 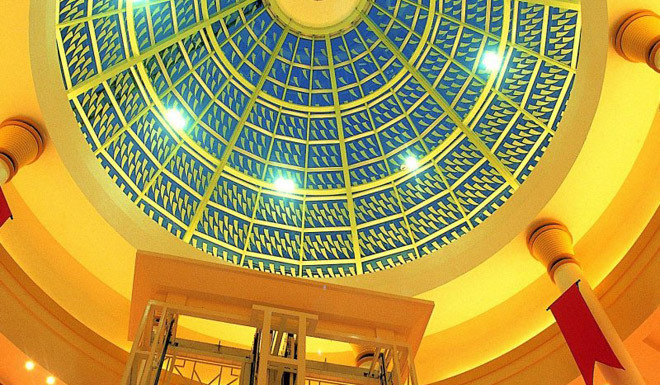 Value at Completion:	ZAR239m Location:	Krugersdorp, South Africa The upgrade and additions to the Casino. 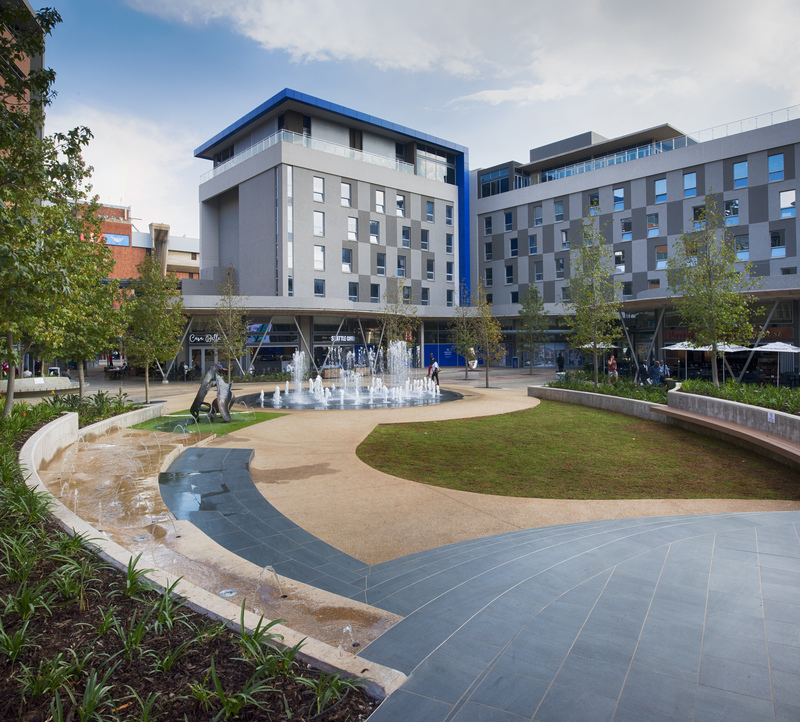 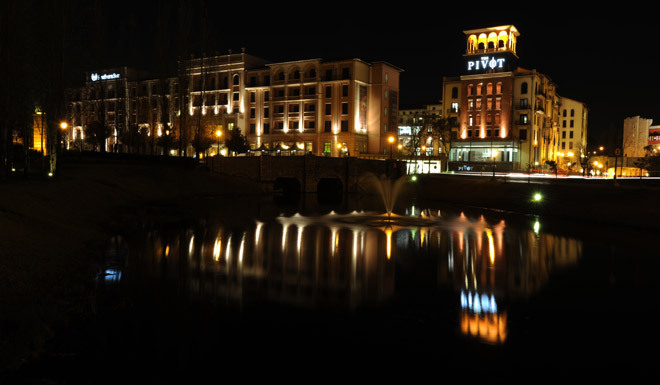 The lake has been filled in and accommodates the Silverstar Square with five new restaurants and a multipurpose venue all surrounding an interactive fountain. 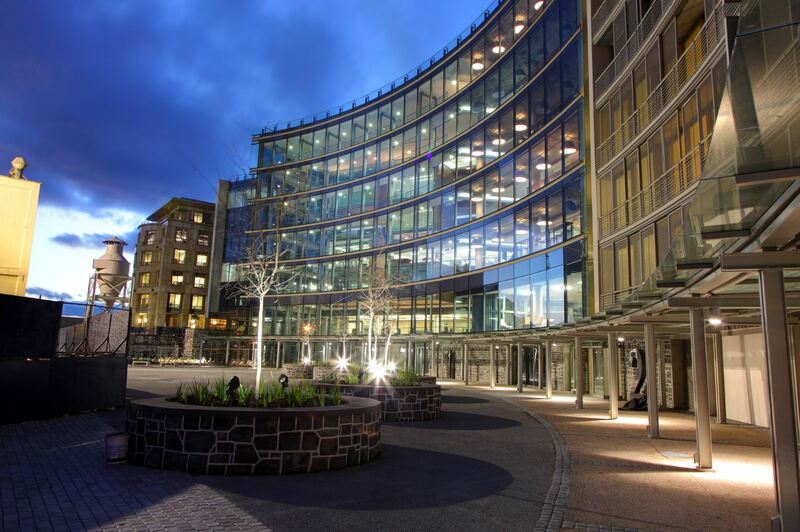 It consists of a 4 Level, 150 apartment residential block with pool, landscaped gardens and tenant parking, as well as an extension to the Aston Martin and Maclaren showrooms below. 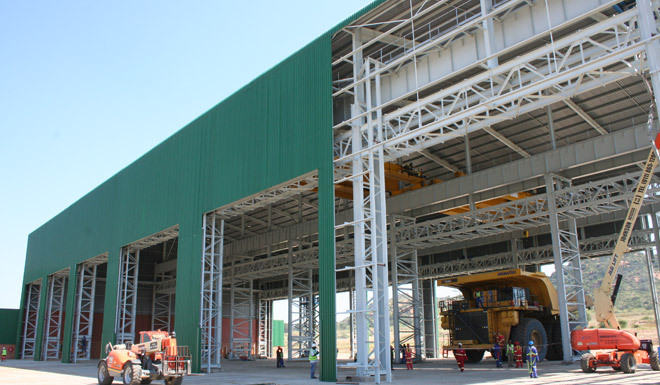 The warehouse is situated alongside the main road running through Tete to the Malawian border and the prominent white façade which is typical of a Builders Warehouse store is highly visible. 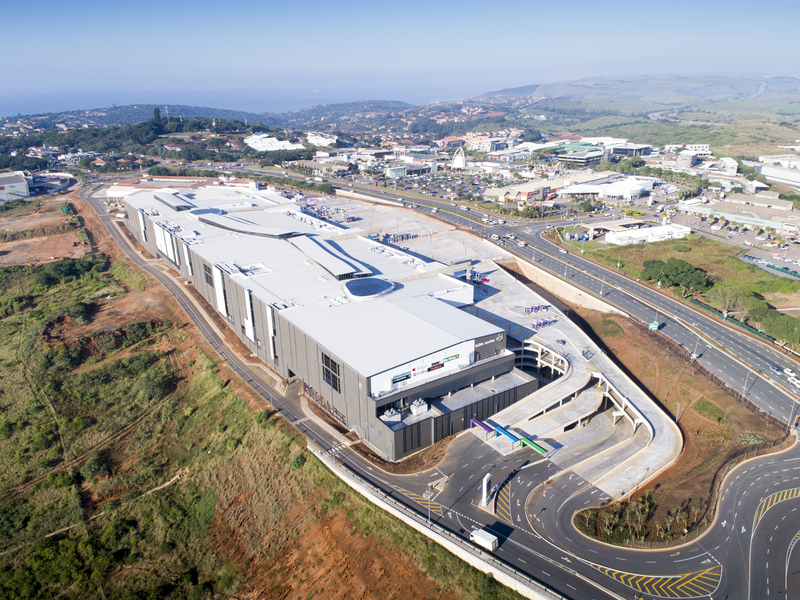 The warehouse consists of 2520m² of trading space . 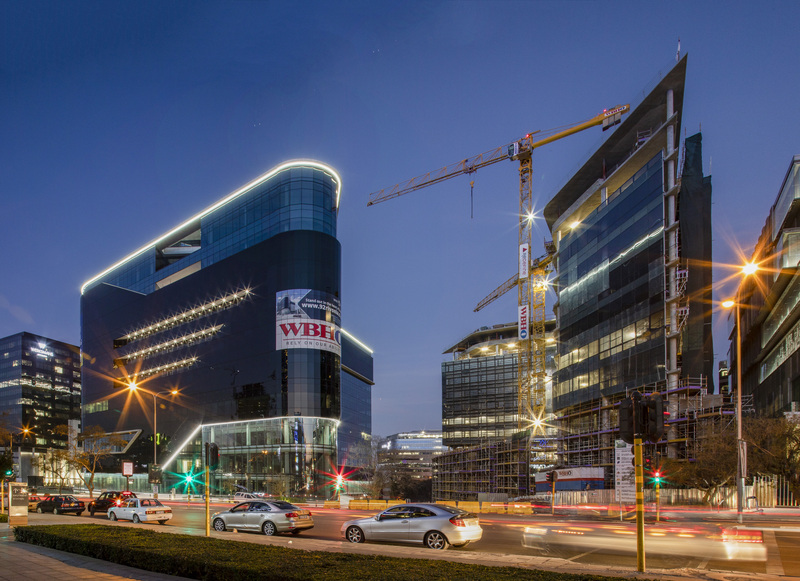 New Office development including Virgin Active Classic gym and restaurants. 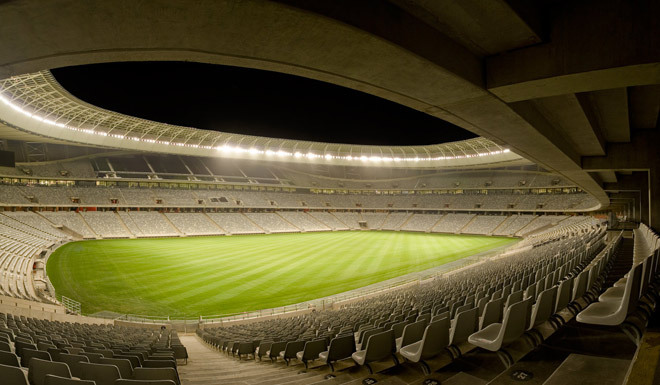 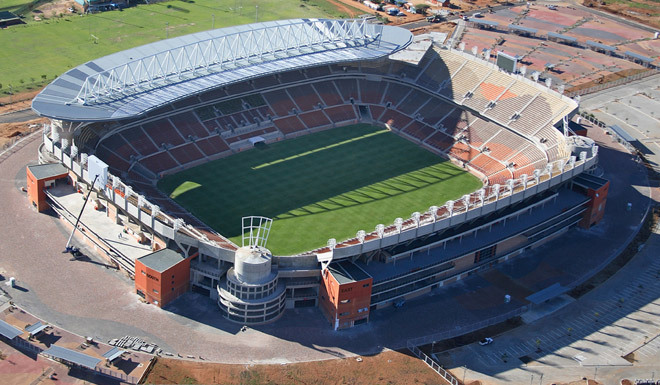 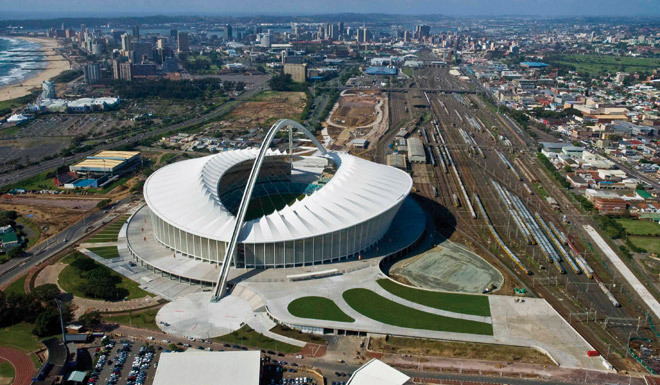 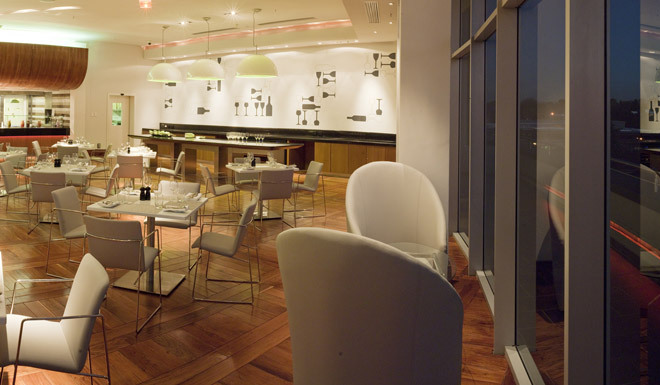 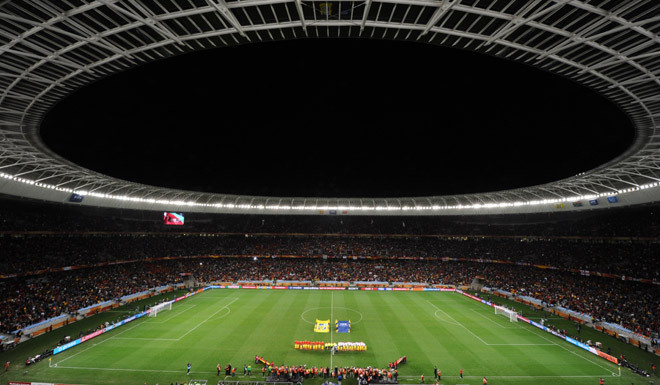 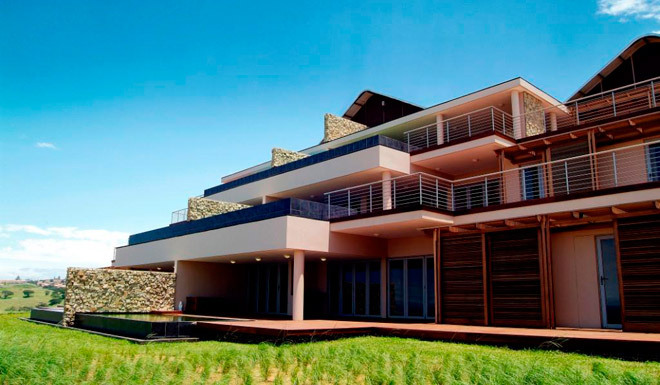 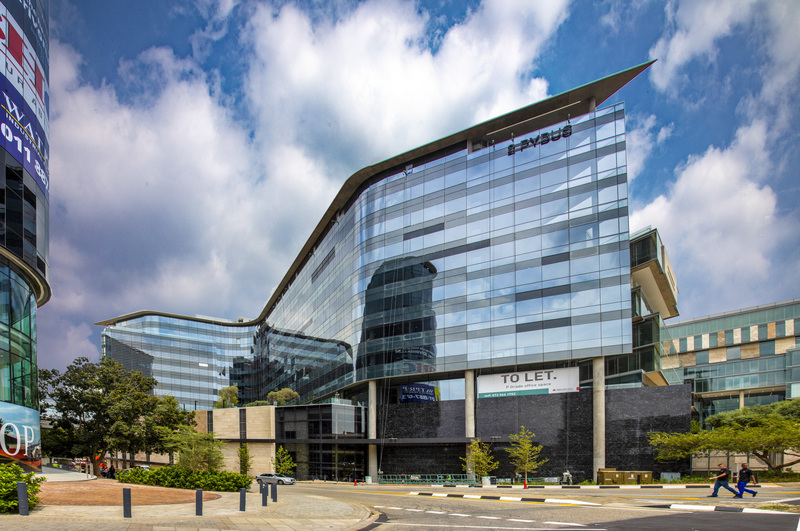 Tenants : Standard Bank ( 2 600m2) and Virgin Active (3 650m2) . 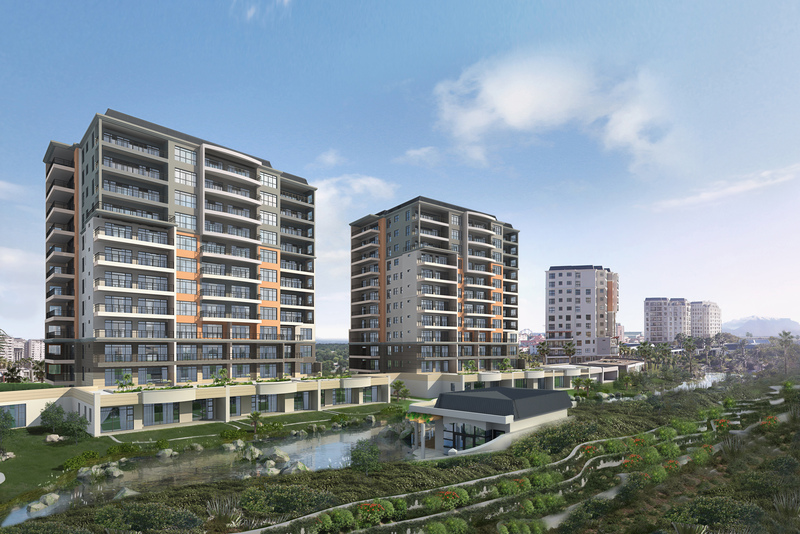 6 Level Basement parking (28 000m2) and 6 storeys (15 300m2). 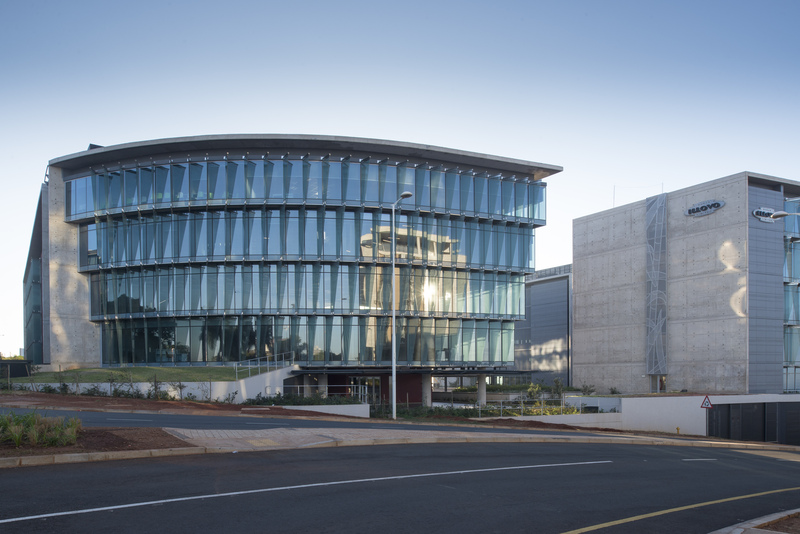 The No 1 Silo double story basement wraps around the existing Grain Silo building which is a National Monument. 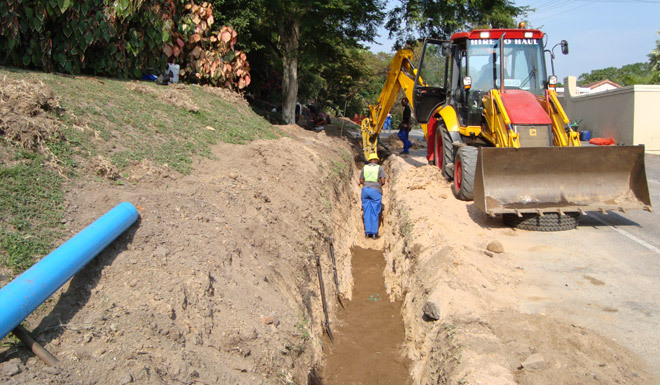 The Dust house had to be retained and this meant while linking the new buildings, the dust house was underpinned and supported in the air while the double story basement was excavated around and below the building. 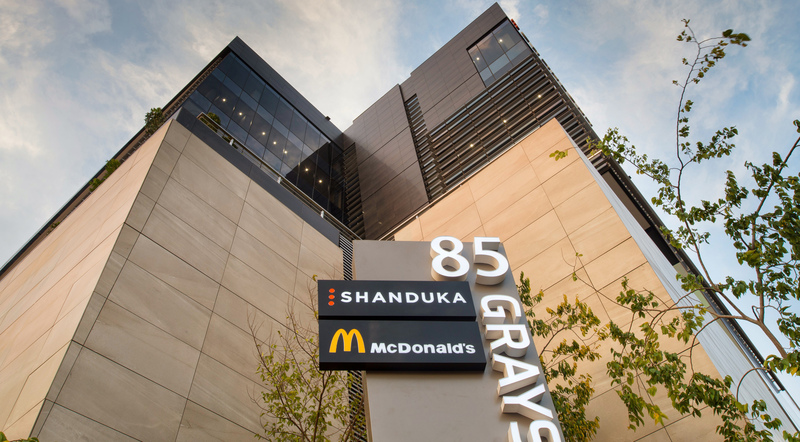 The main building comprises of the new corporate head office for Allan Gray and an apartment block comprising of 32 new apartments. 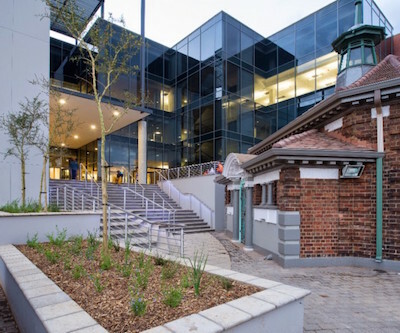 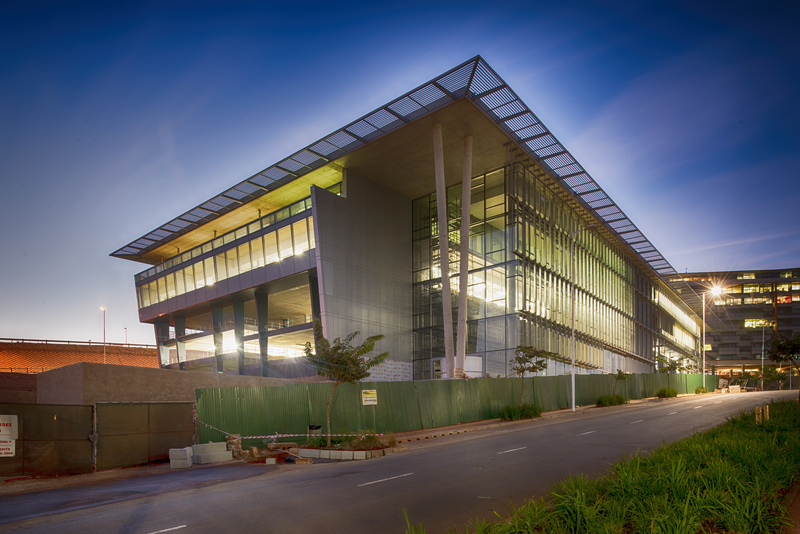 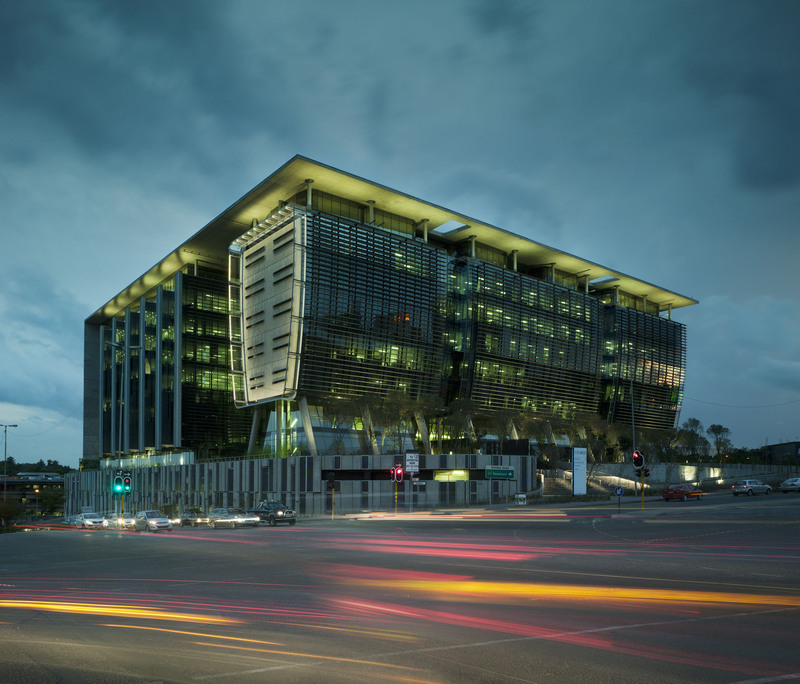 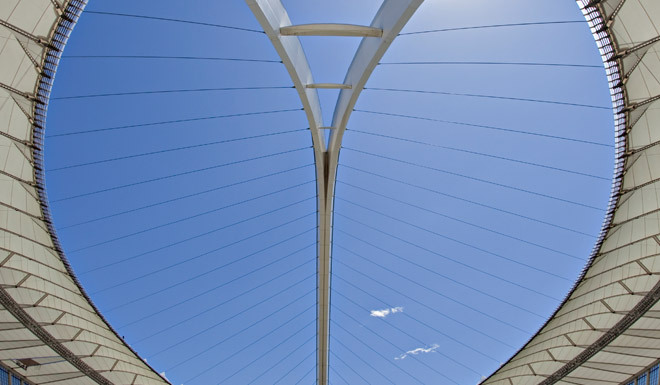 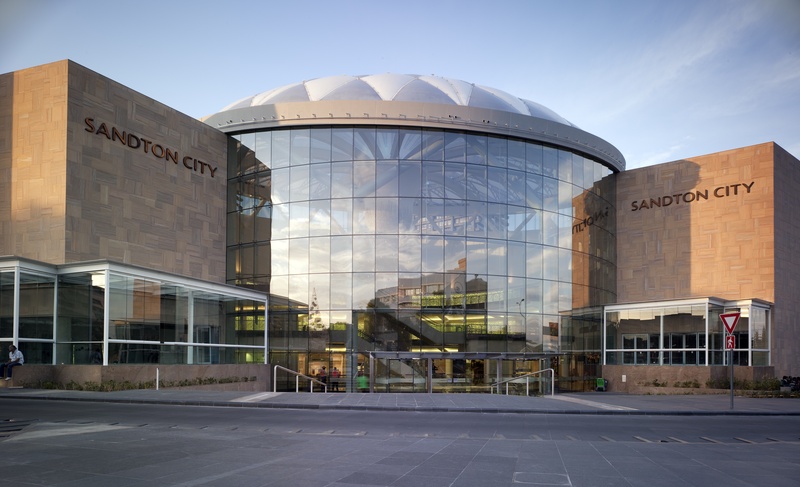 Employer:	115 West Street Trust Principal Agent: Capital Expenditure Projects (Pty) Ltd Architect :	Paragon Architects Contract Period:	February 2011 - September 2012 Est. 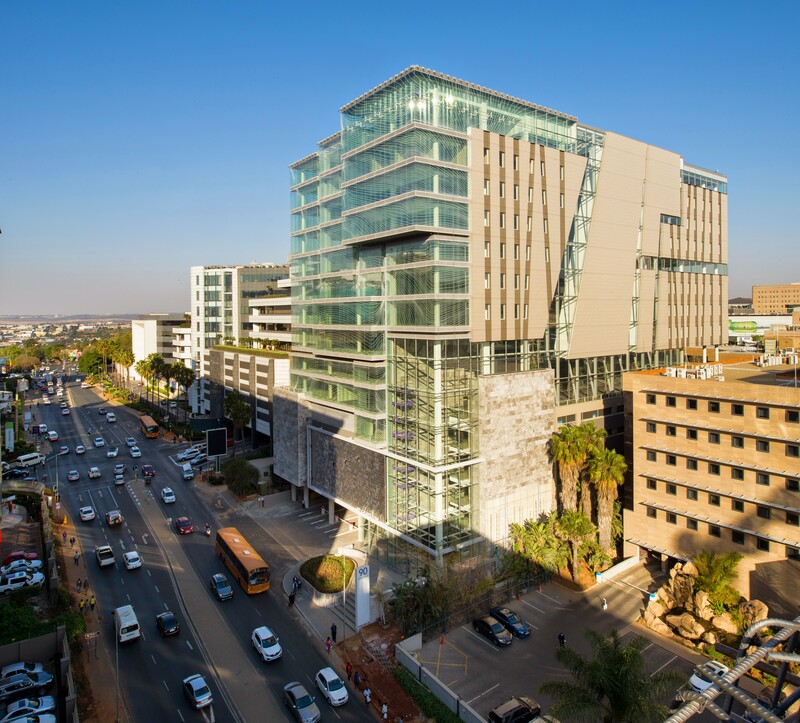 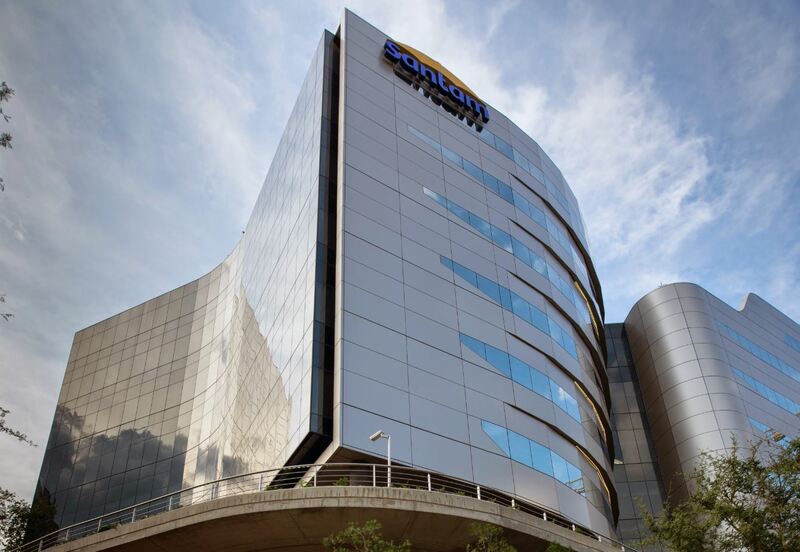 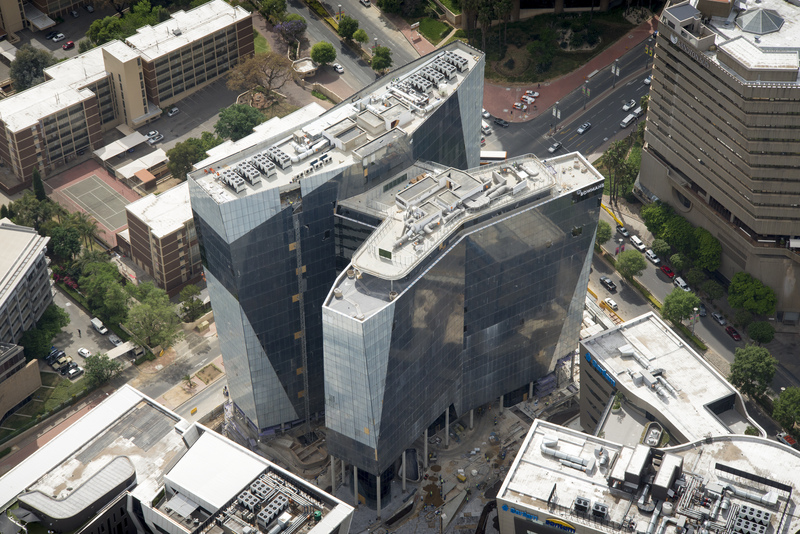 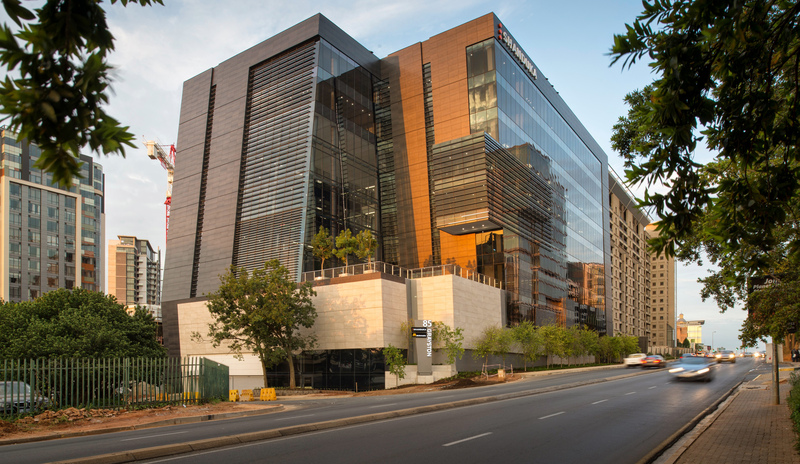 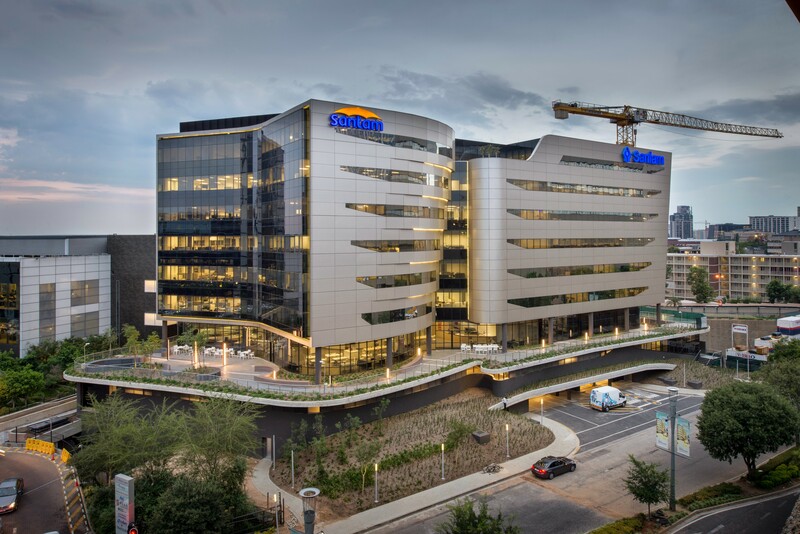 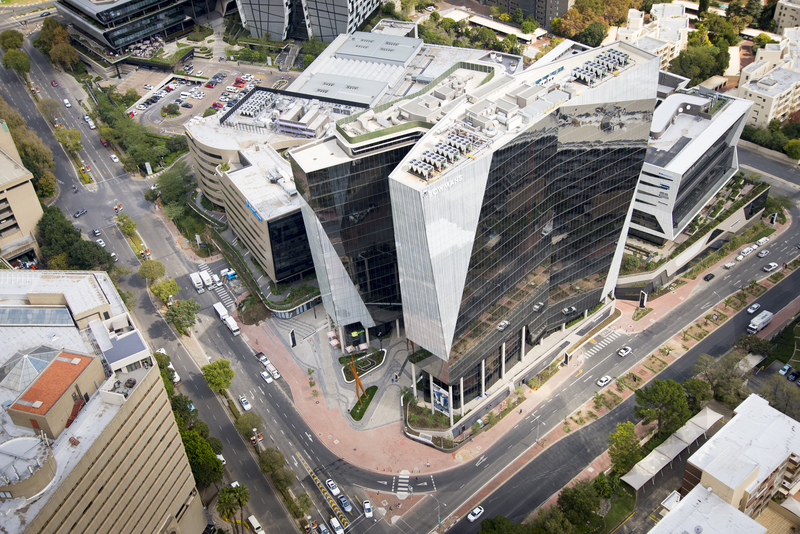 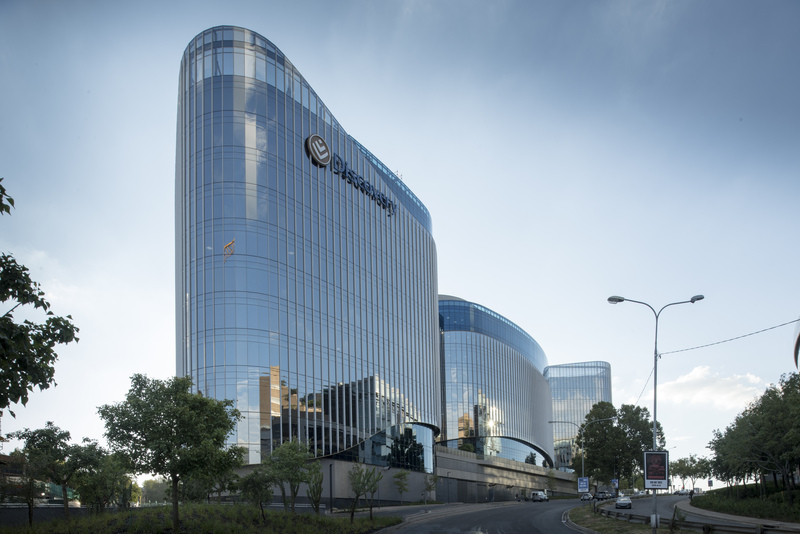 Value at Completion:	ZAR600m Location:	Sandton, South Africa WBHO in joint venture with Tiber Construction commenced construction of the new Alexander Forbes Head offices in February 2011. 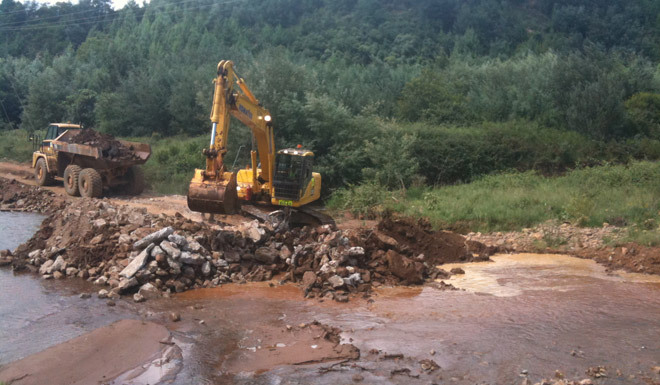 Two existing buildings were demolished to make way for the new 94 000 square meter building. 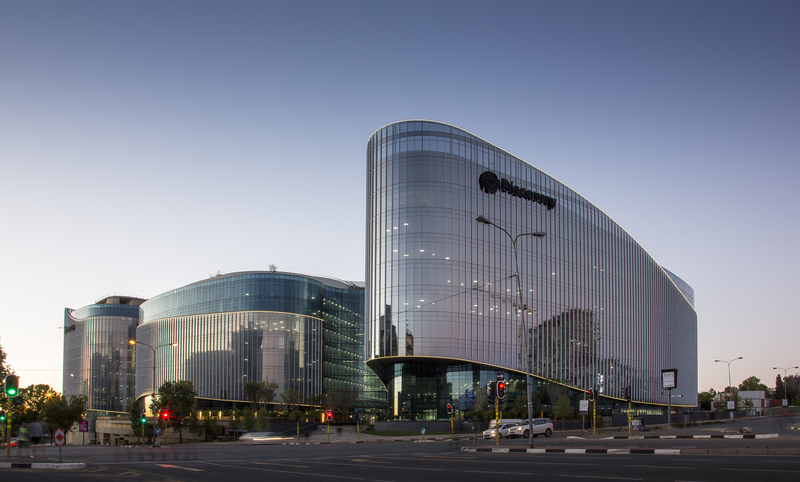 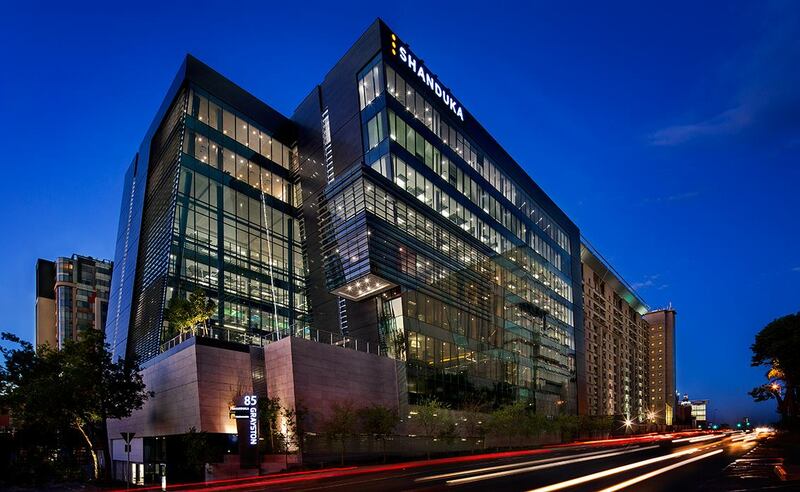 The building consists of 37 000 m² rentable office space and 57 000 m² basement and parking space. 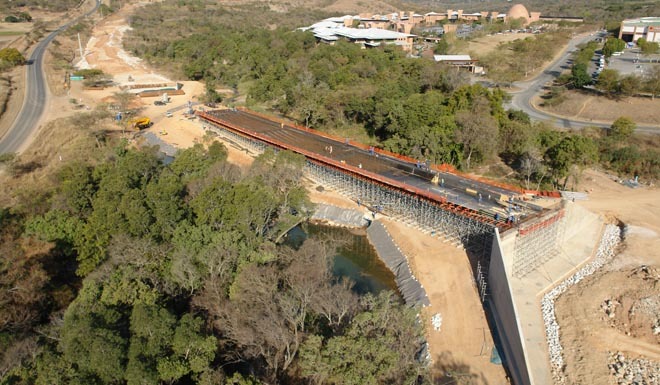 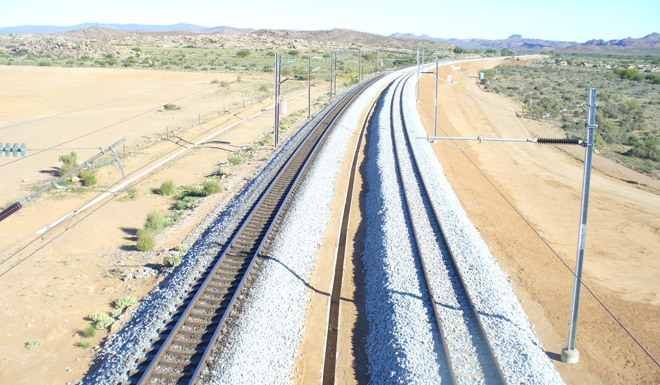 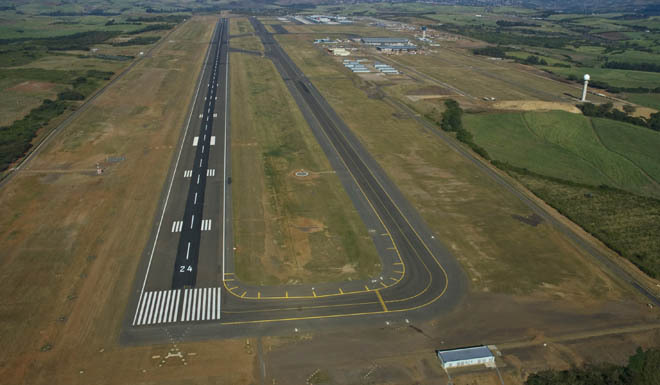 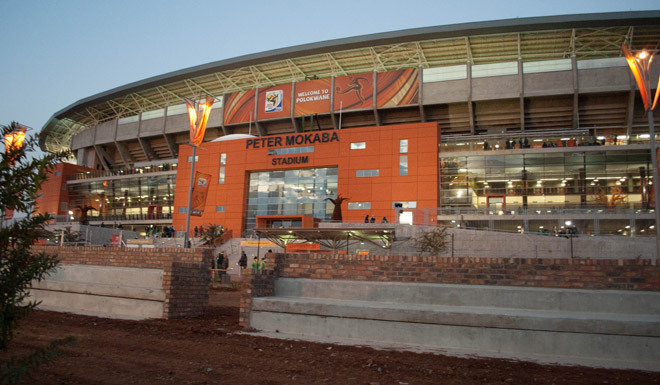 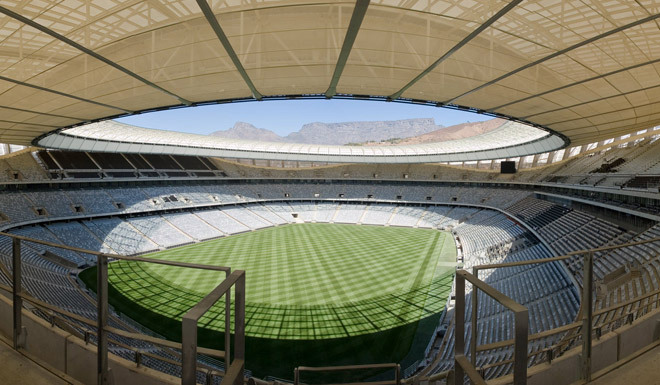 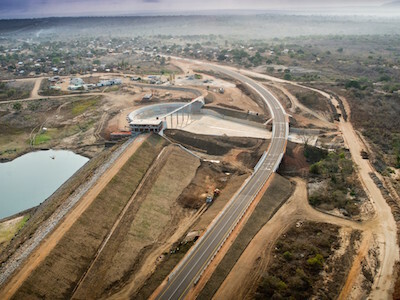 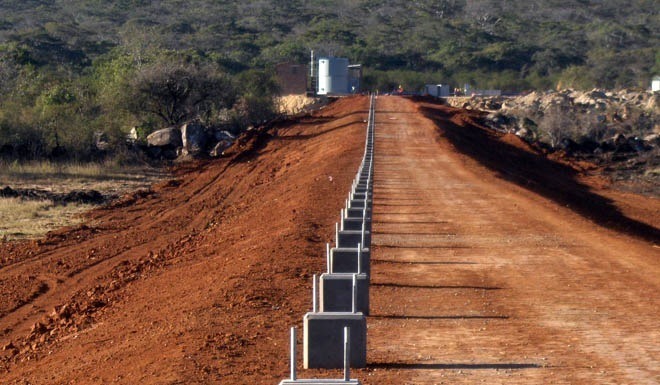 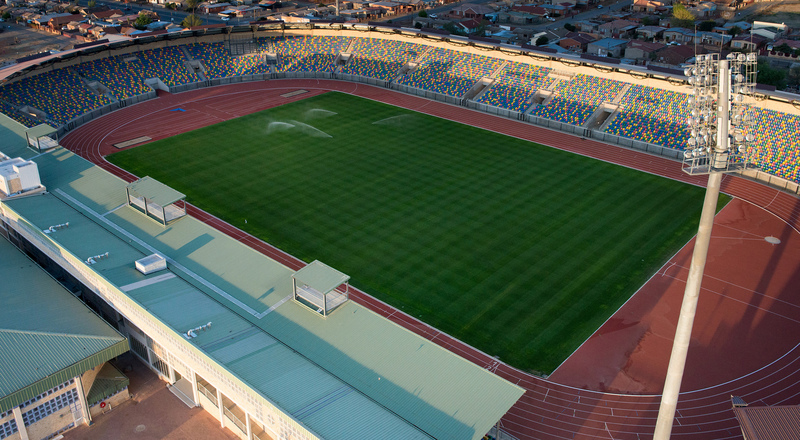 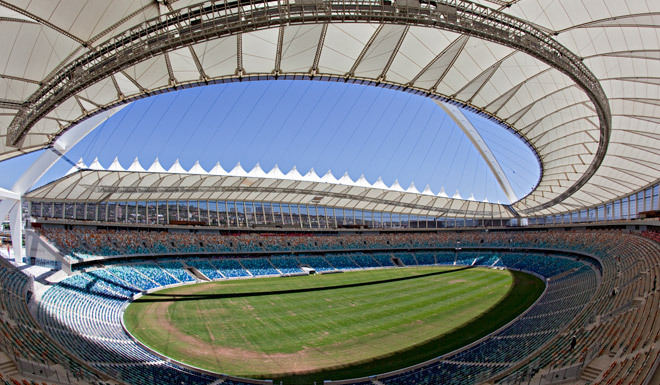 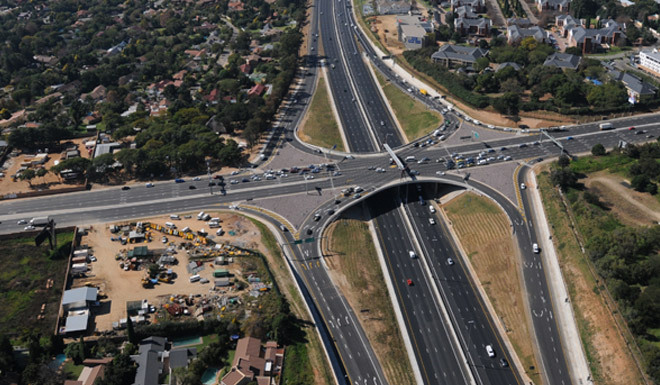 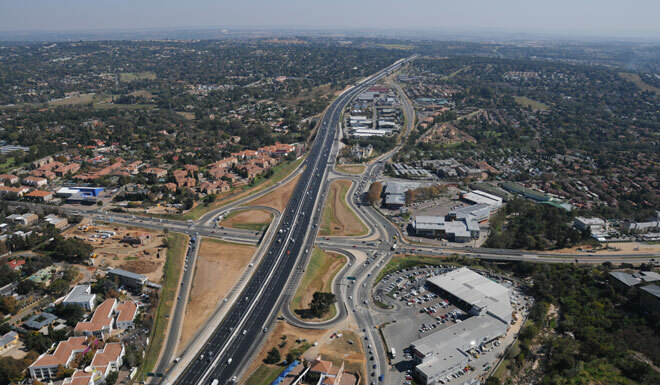 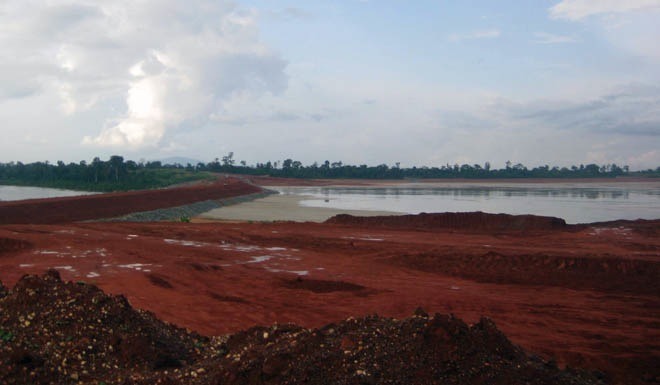 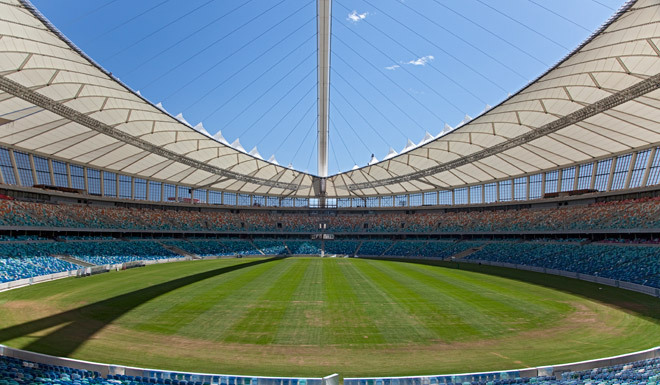 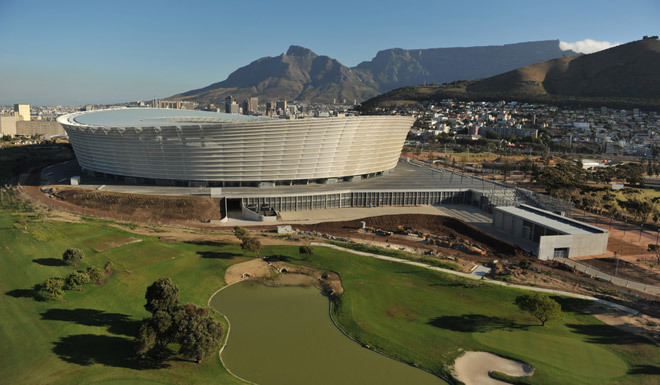 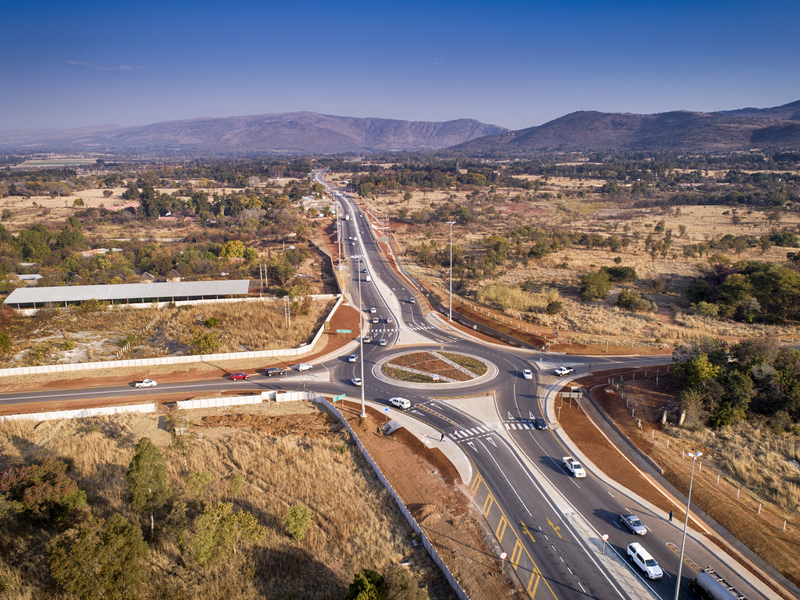 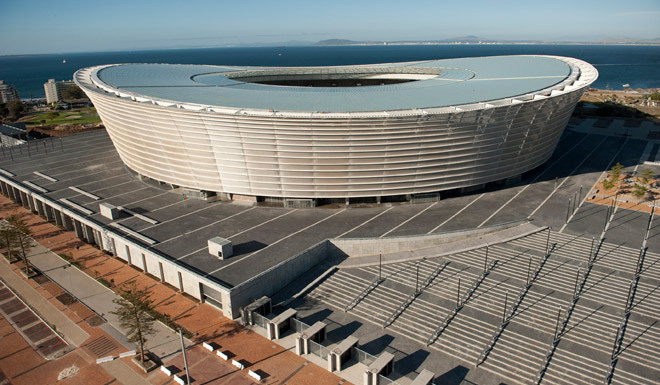 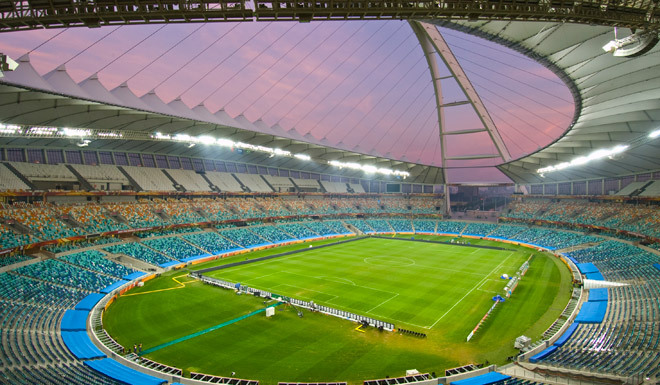 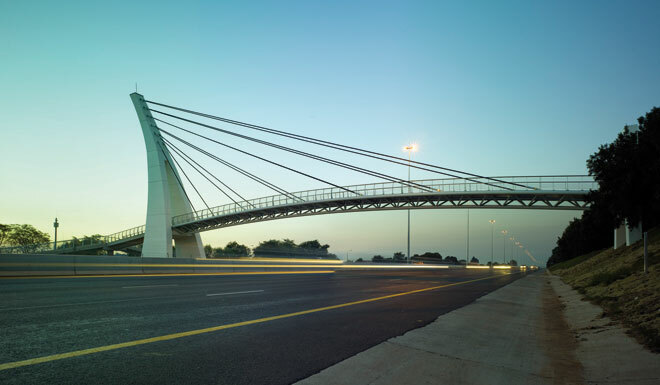 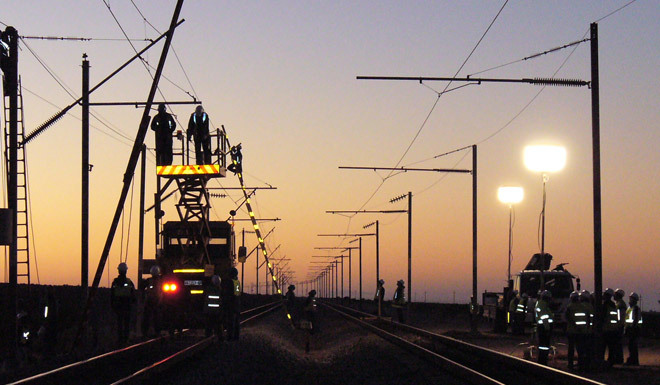 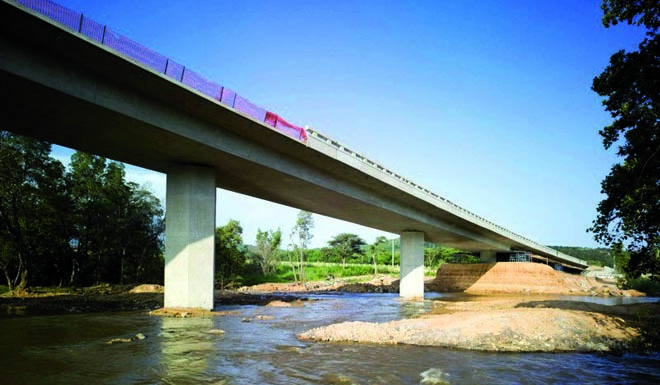 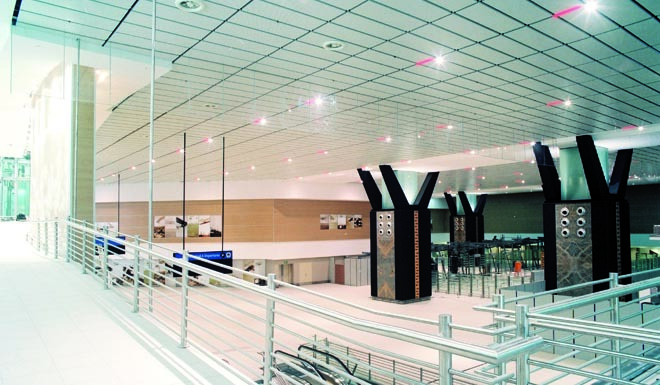 The project is set to be completed in 18 months and handover was at the end of September 2012. 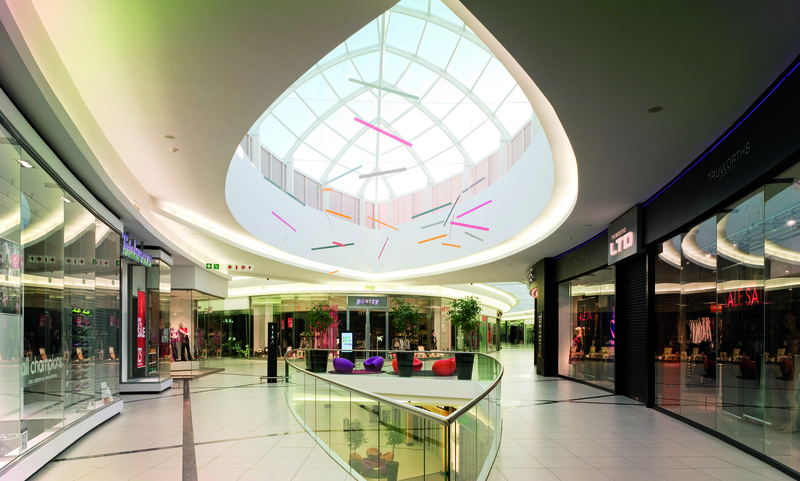 Rosebank East Shopping Precinct. 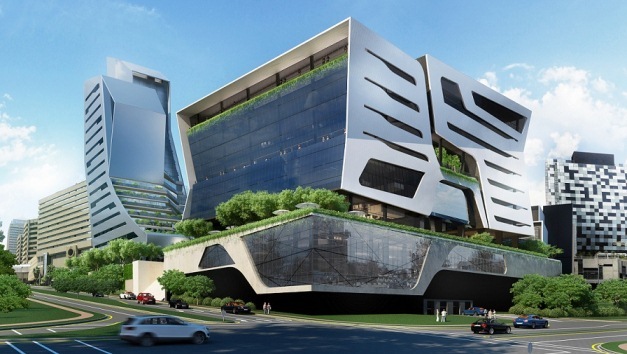 Basement parkade, retail area, loft offices, hotel tower, office tower (9 storeys) . 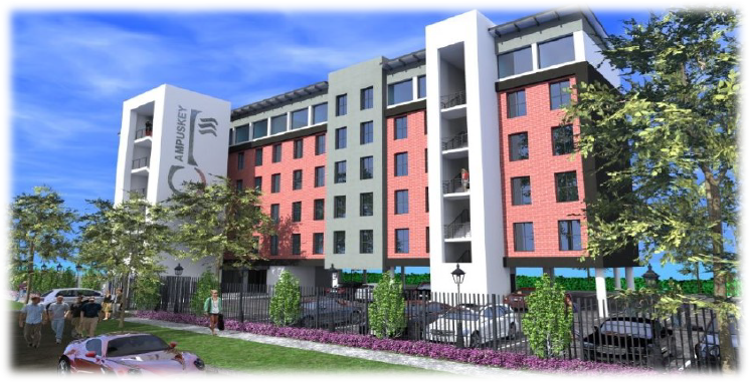 Hotel and Office Blocks :2 basements and 5/6 levels . 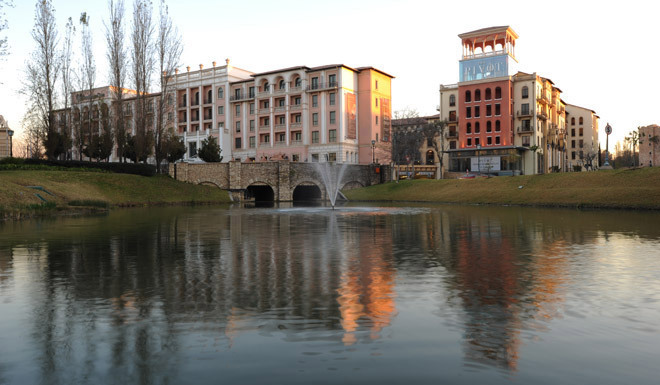 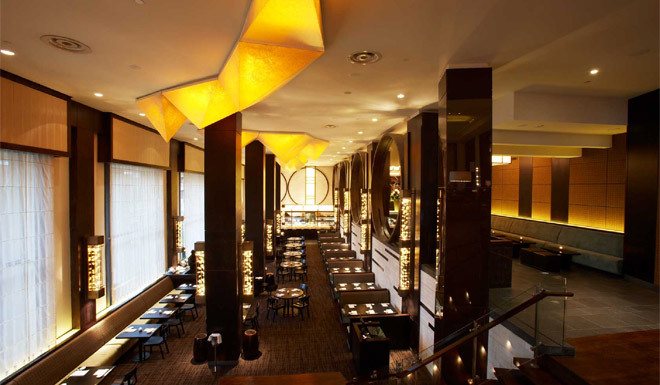 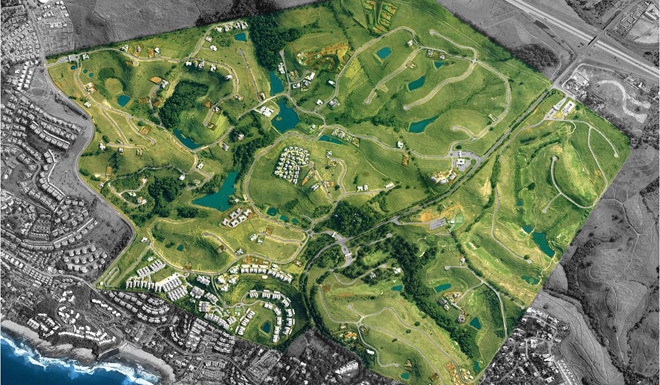 Casino, retail areas, entertainment facilities, hotel, roads and parking. 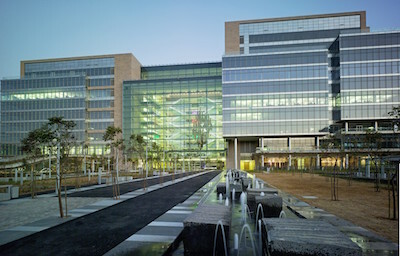 66 individually designed cluster units built on a tight 11 month program. 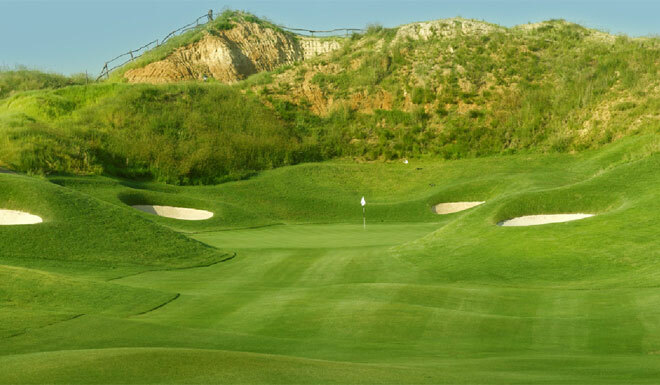 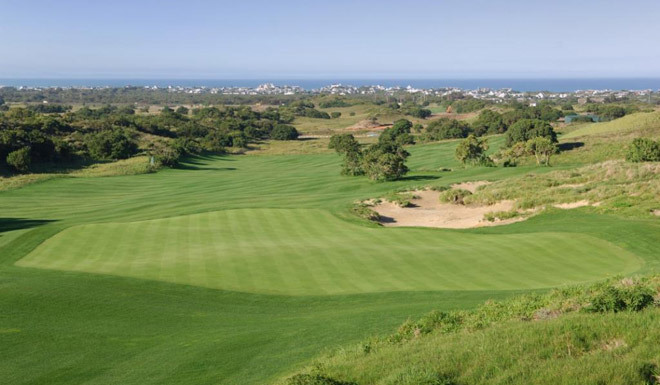 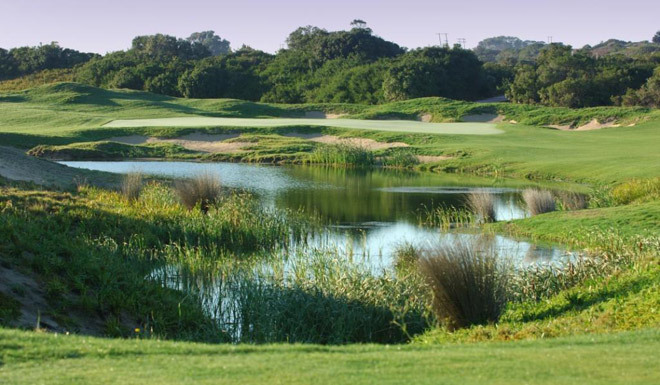 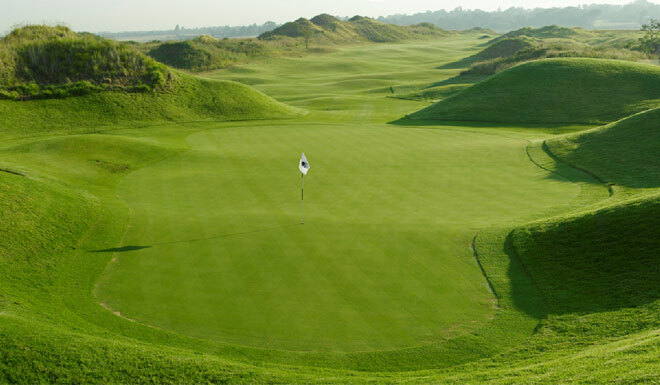 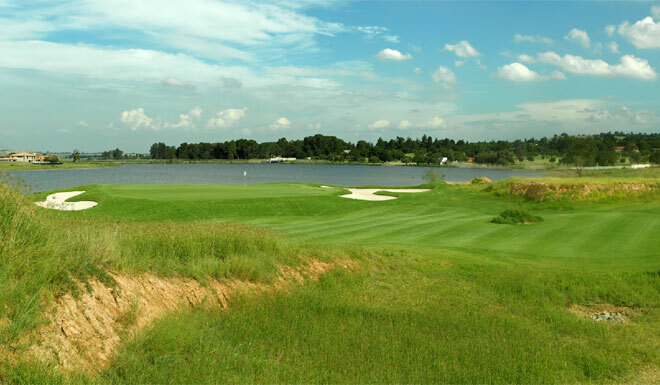 An Ernie Els signature 18-hole course. 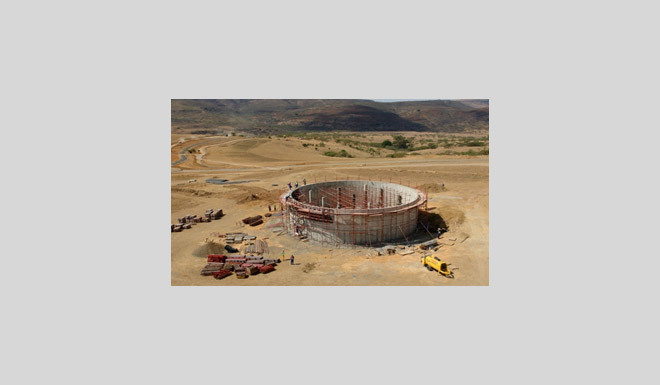 Employer:	Eskom Rotek Industries Consultant: Golder Associates Africa Contract Period:	January 2017 – January 2018 Est. 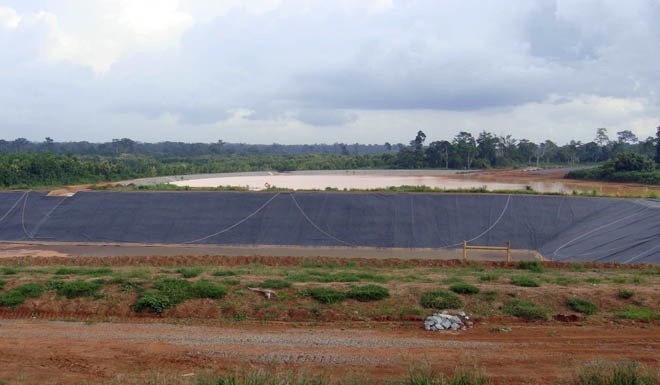 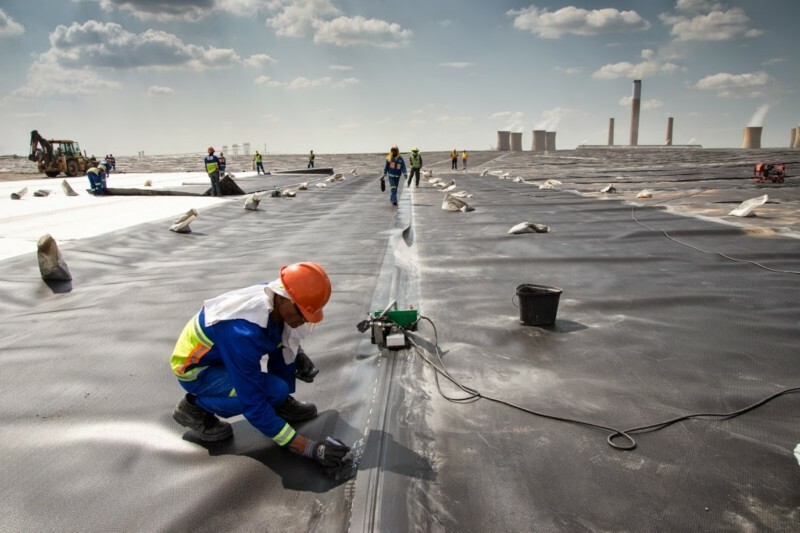 Value at Completion:	ZAR 212m Location:	Ermelo , Mpumalanga, South Africa Install 700 000m2 HDPE liner. 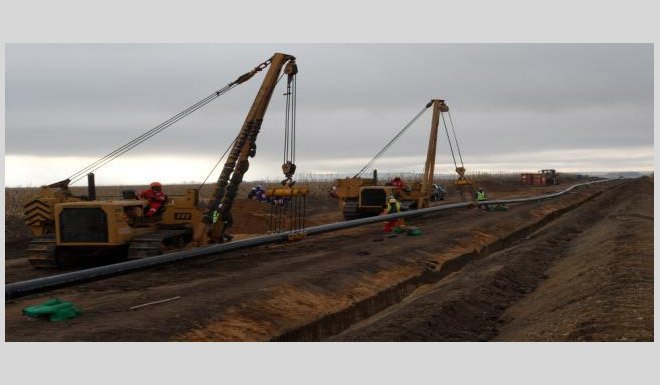 Install 300 000 m2 coal drain. 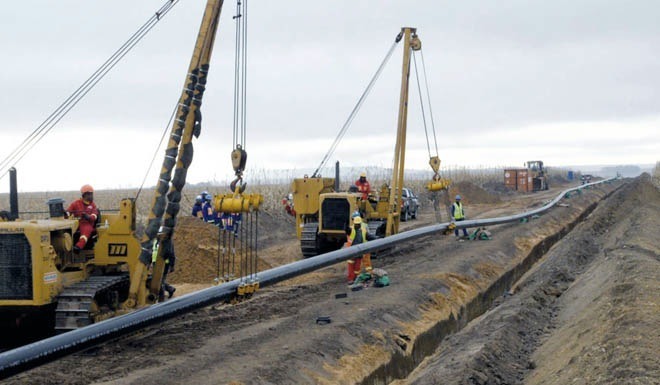 Install 300 000m2 bidim. 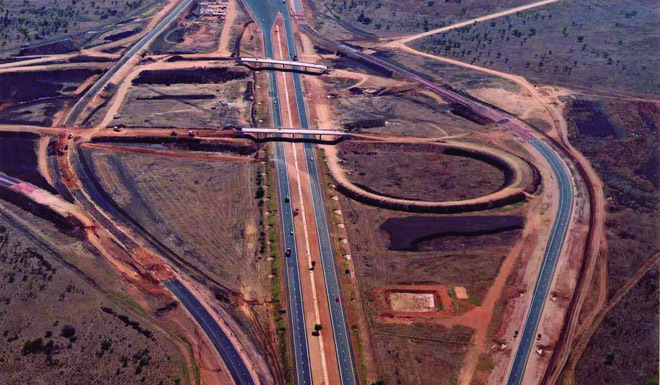 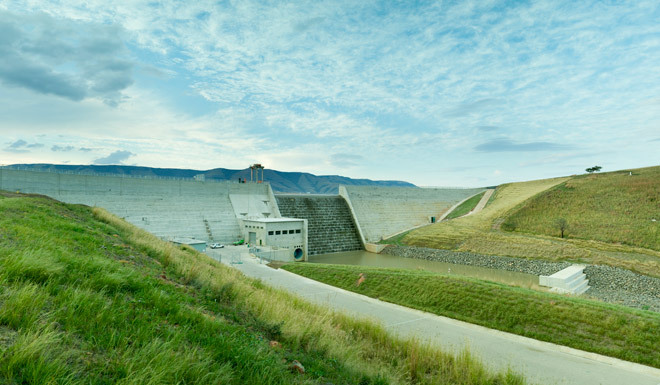 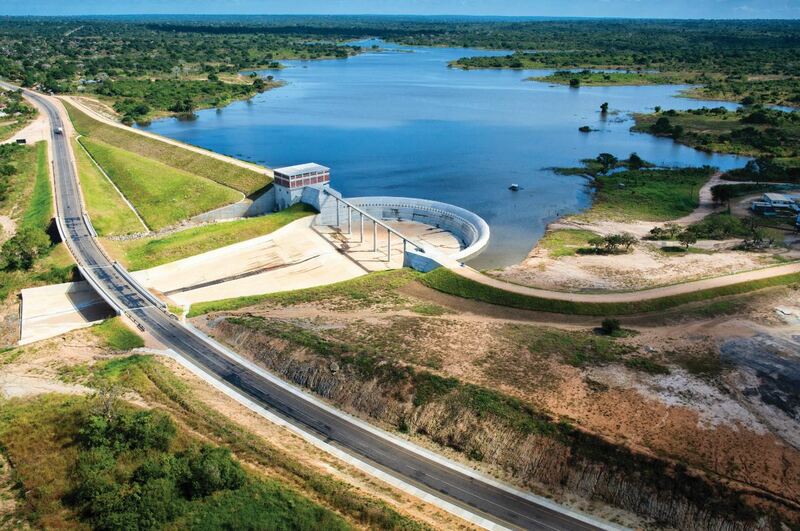 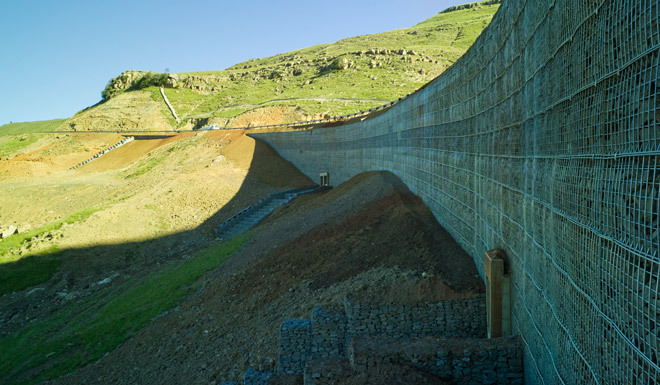 Piggs Peak and Swaziland.Construction involved the following: Construction of the Maguga Dam, 6 million m3 of Earthworks, 2 tunnels (8m x 7m) & (8mx9m) & ±400m long, 225m long Road bridge over spillway,102m high 12 m ø Intake Tower, Rock Bolting & Shotcreting, Drilling & Grouting, Drill & Blast, Crushing, 120 000m3 concrete. 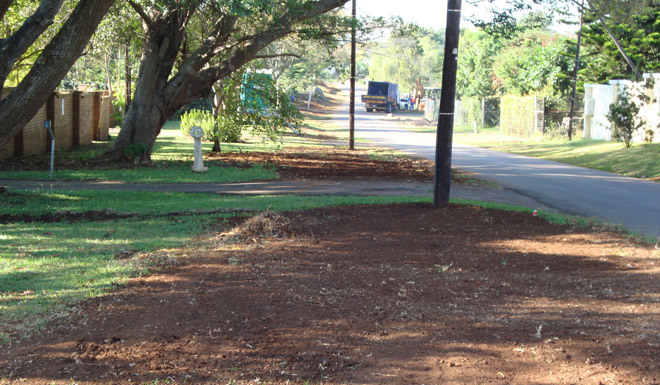 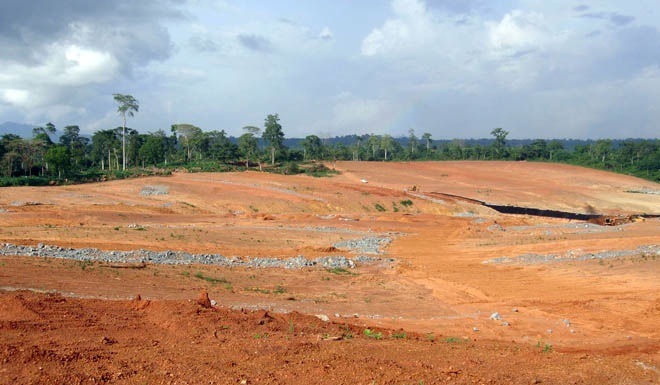 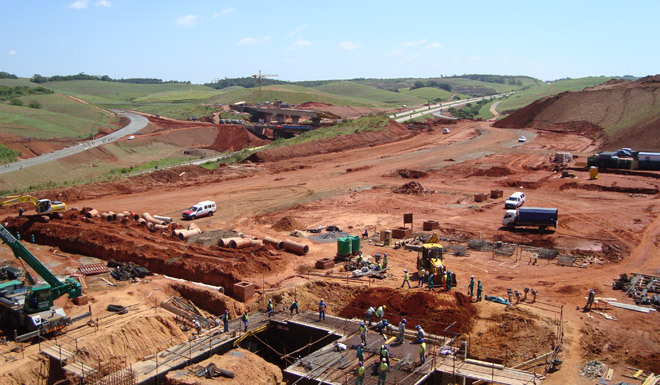 Bulk earthworks for office park terraces in the Cornubia town development. 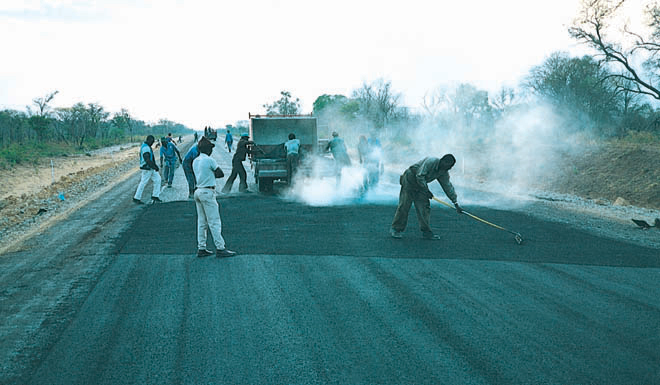 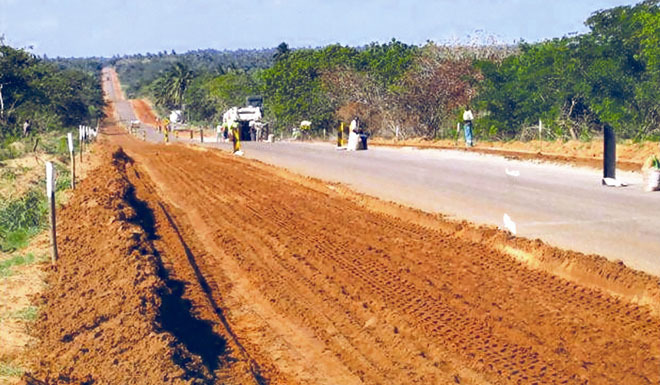 23 km Rehabilitation of the National Road, east and west bound. 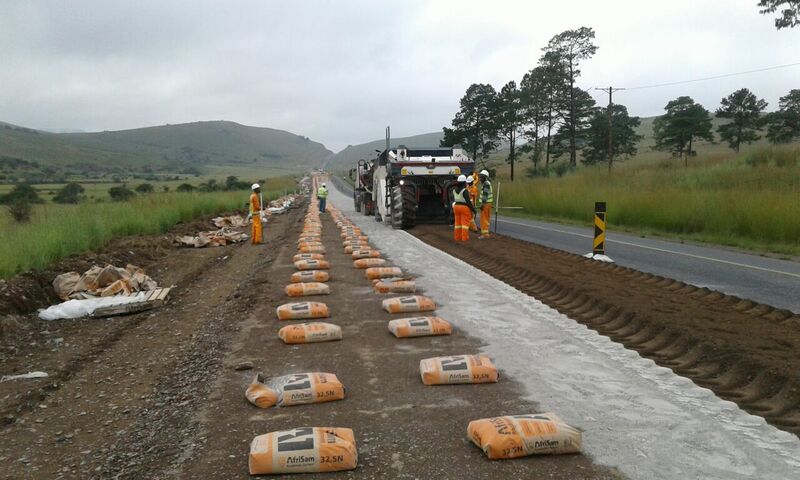 In-situ reconstruction of existing pavement with cement stabilising. 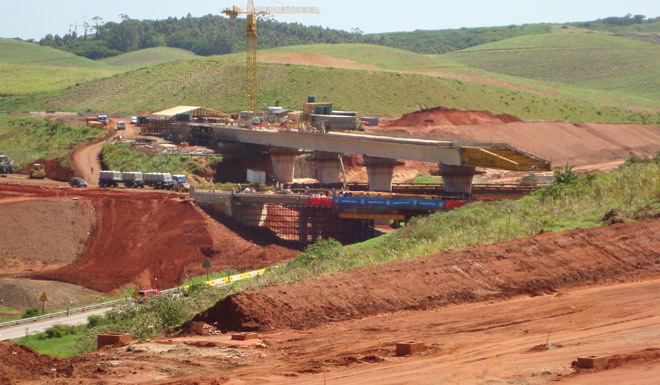 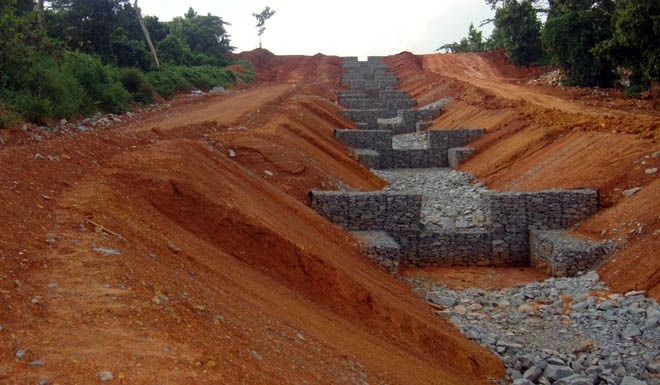 The repair of 6 Bridges, repair, maintenance and reconstruction of 41 Culverts. 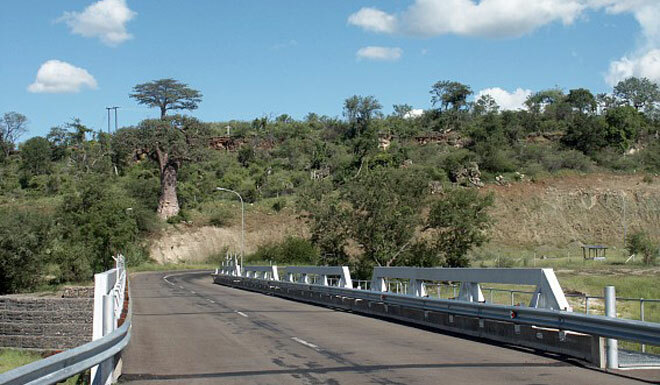 Removal and Installation of 10 400 meter of guard rails. 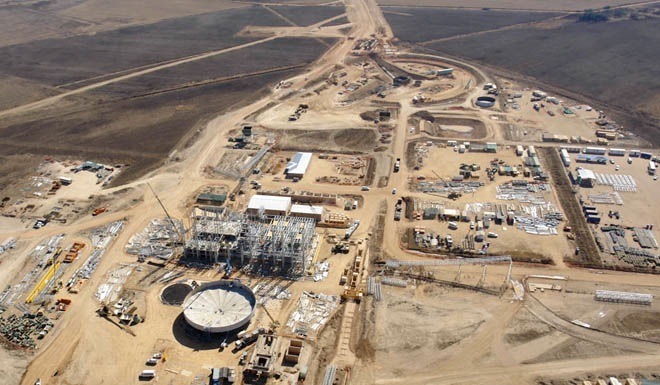 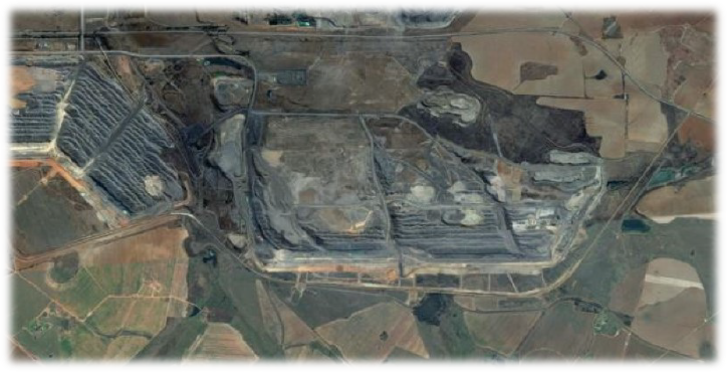 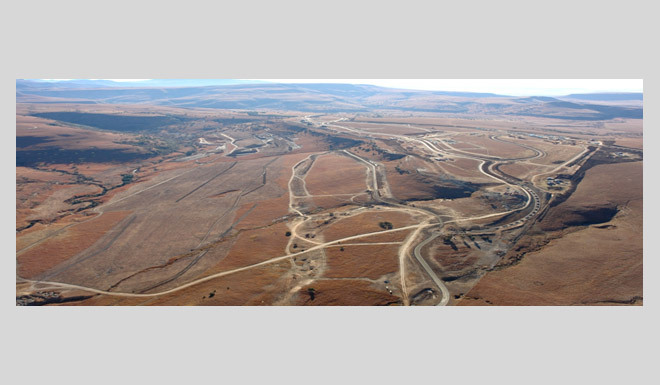 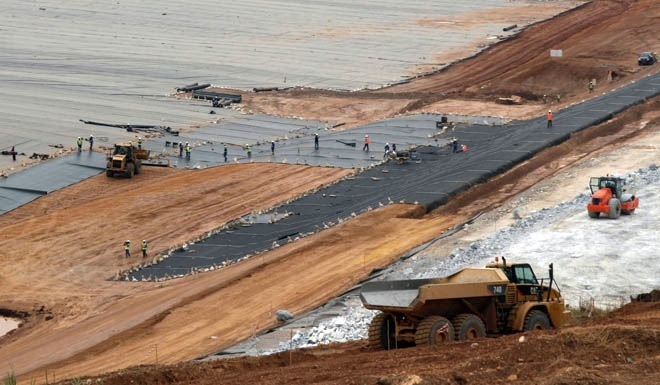 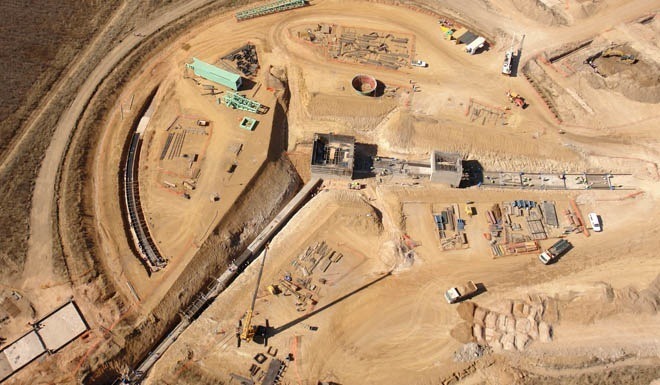 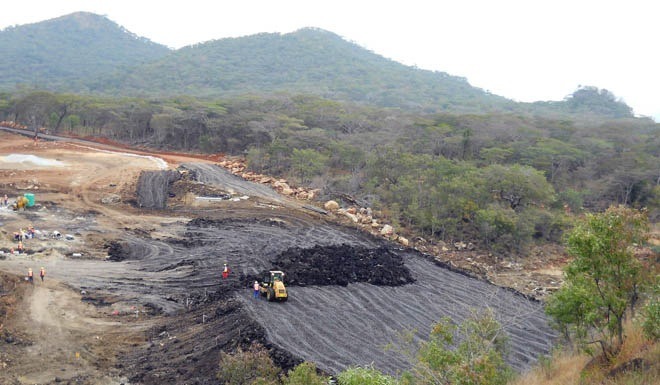 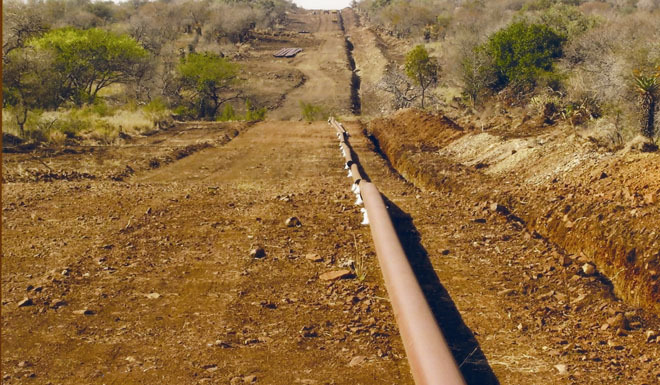 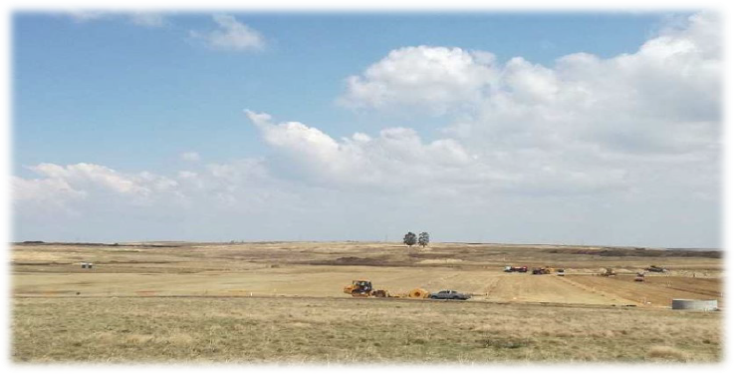 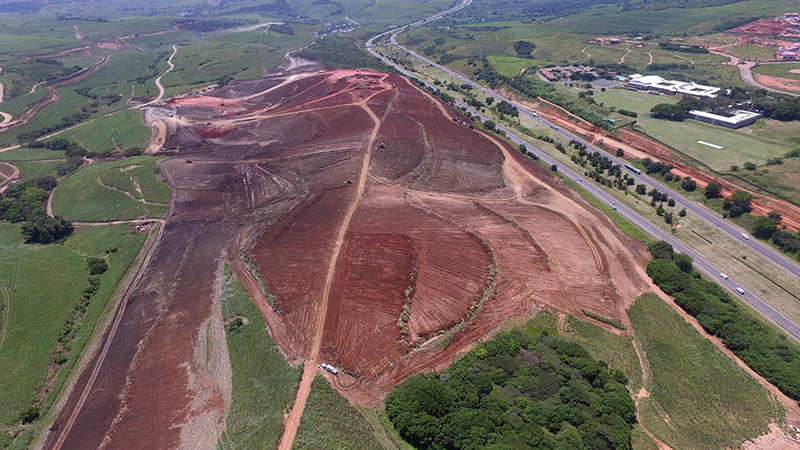 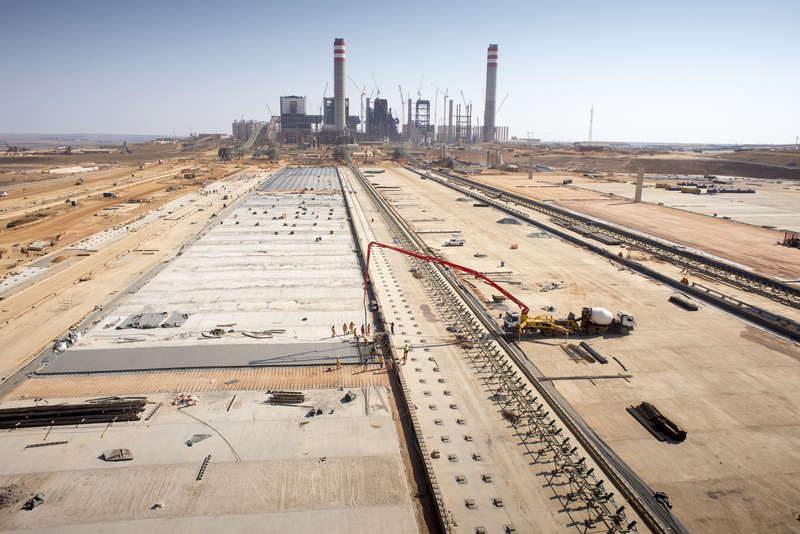 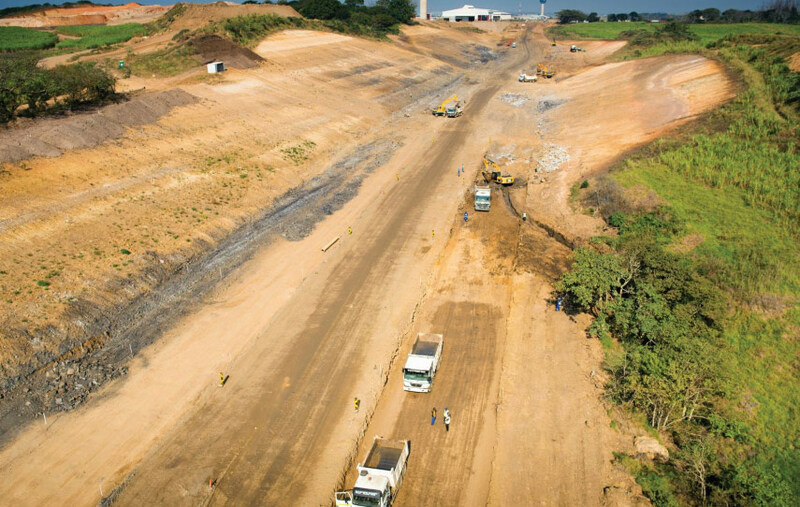 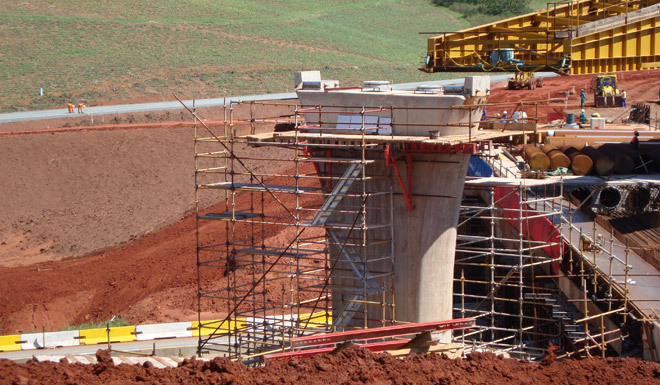 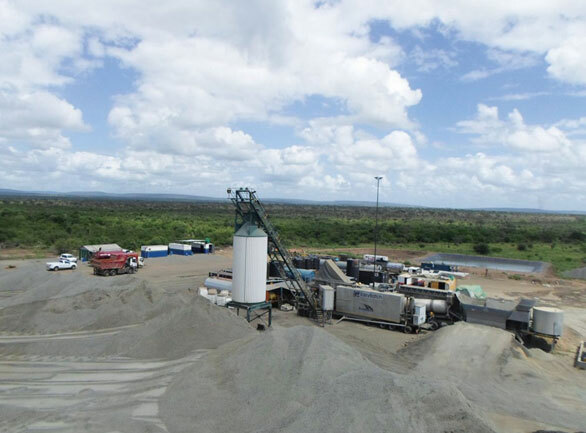 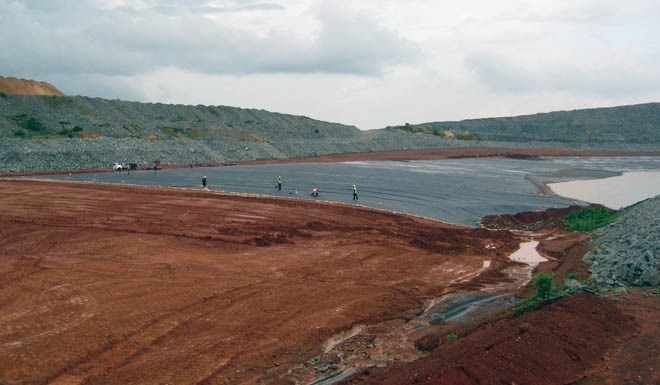 Construction of Combustion Waste Terrace and Earthworks for Kusile Power Station includes: 2 160 000 m² 2mm HDPE liner, 2 160 000 m² A8 Bidim, 1 080 000 m² Geocynthetic Clay Liner, 2 no Ash Dam Dirty Dams, 1 no 3 barrel Armco Culvert, 5 000 m large diameter stormwater Pipelines, Related Earthworks, 5 000 m of 3m by 3m Concrete Drain. 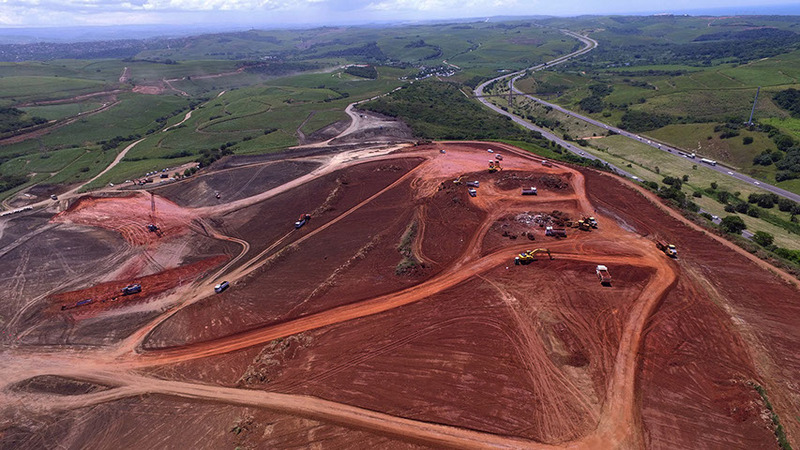 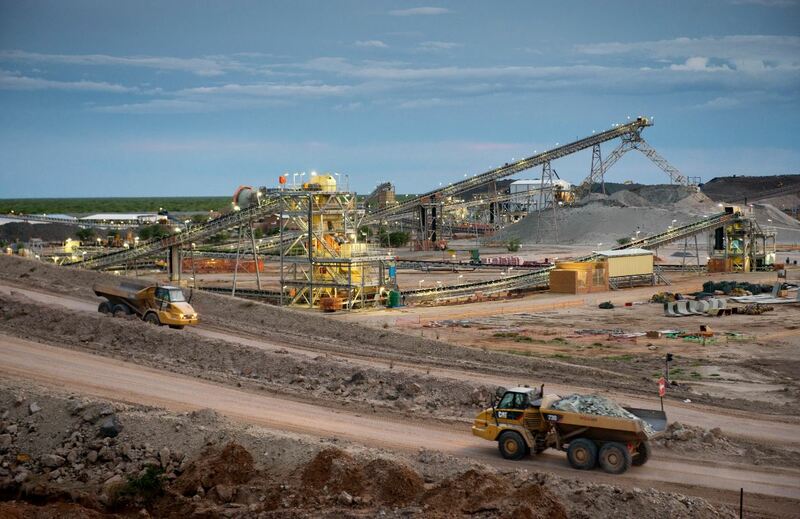 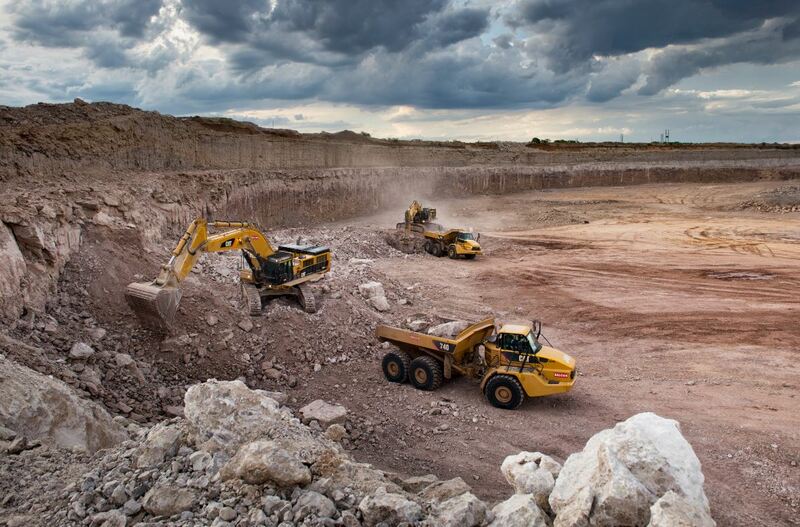 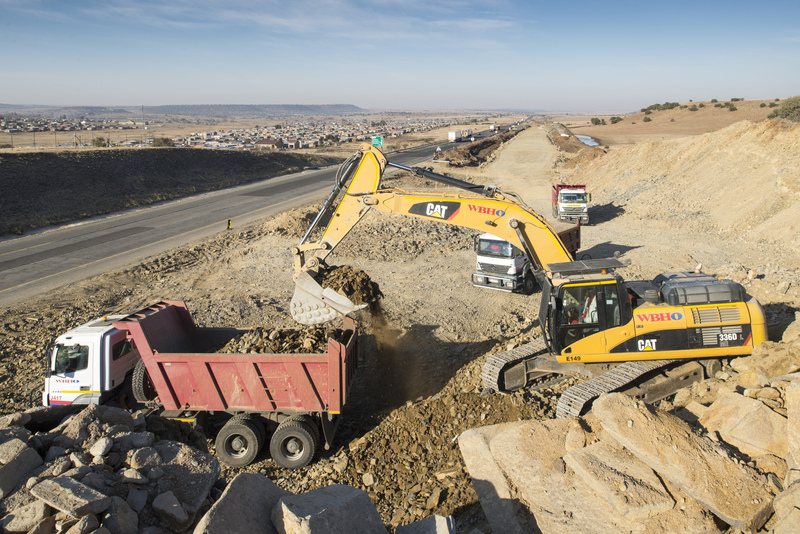 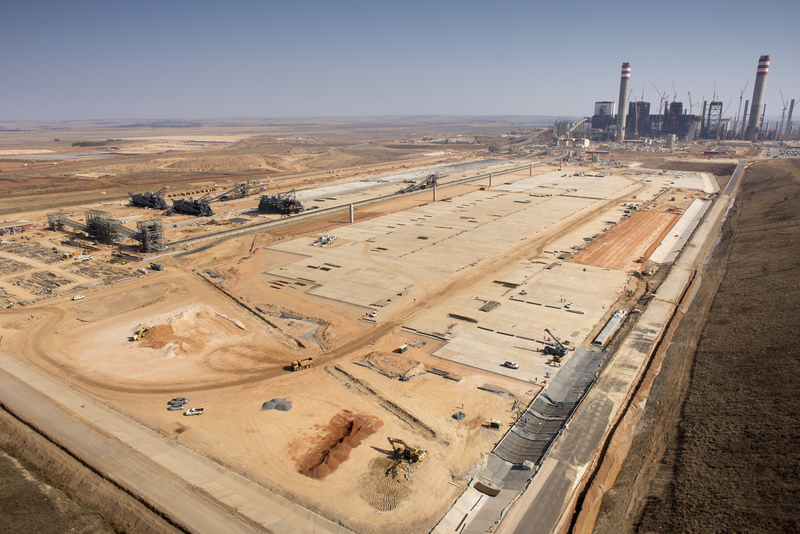 BIGEN Africa Service (Pty) Ltd.
Construction of bulk earthworks for a new coal handling and processing plant in Glencore Xtrata Coal’s Tweefontein mining complex. 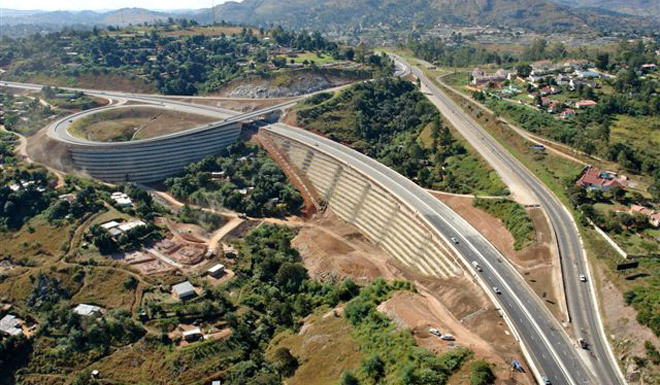 2 Million m³ of fill consisting of terraces for structures, service roads and ROM pad. 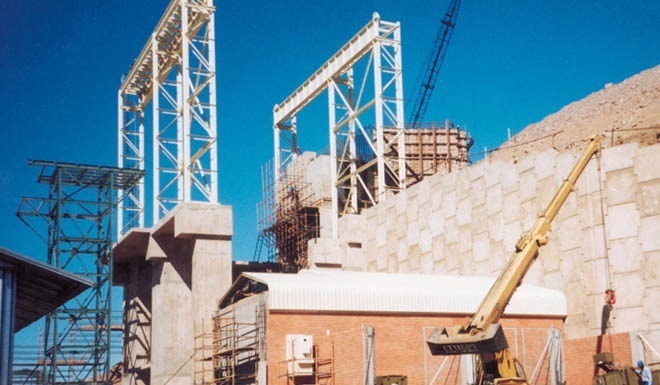 Work consisted of: Reinforced earth wall of 4 400m² precast concrete panels 22 metres high, ROM tip ramp 800 000m³ fill, CPP terrace 360 000m³, product tunnel 440 000m³, raw coal tunnel 235 000m³, conveyor terraces 140 000m³. 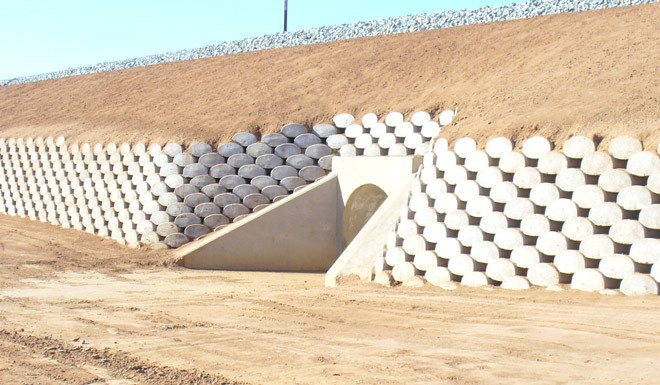 Construction of two clay earth retainer dam walls. 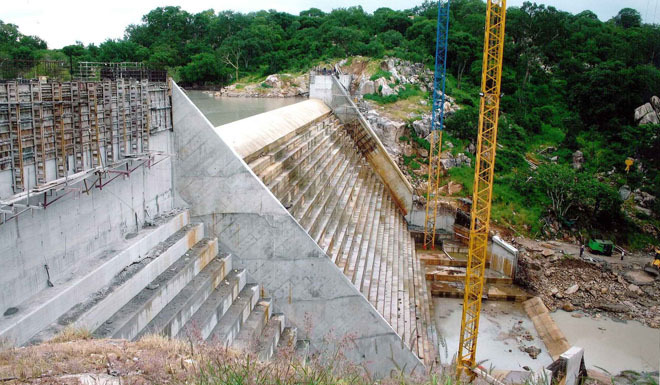 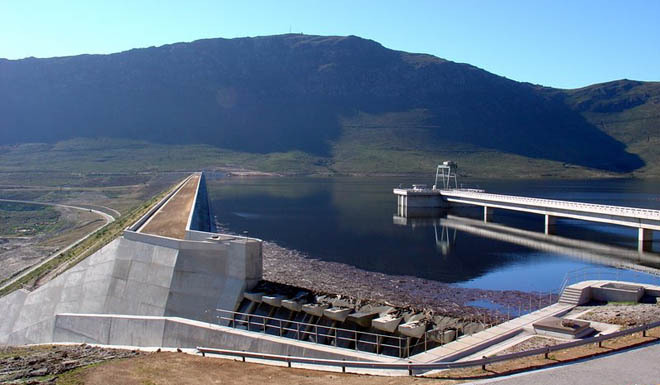 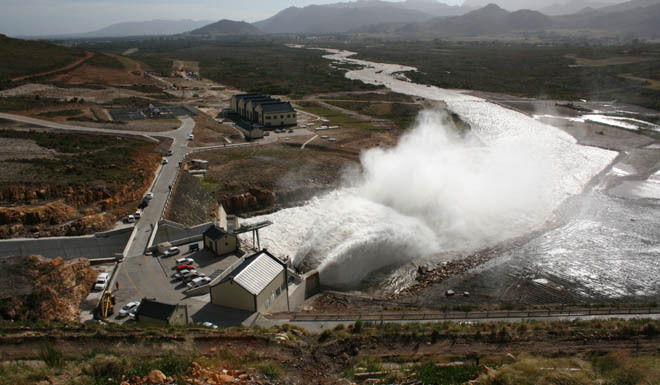 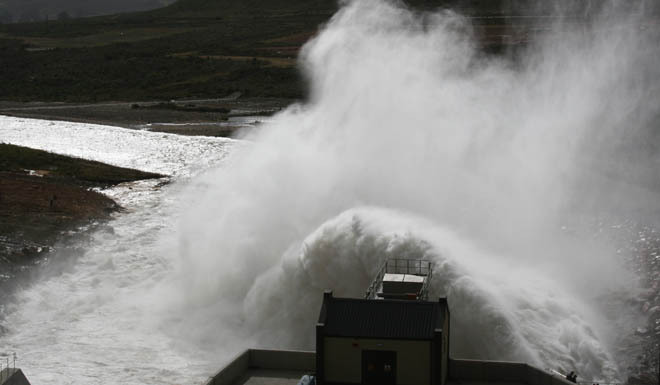 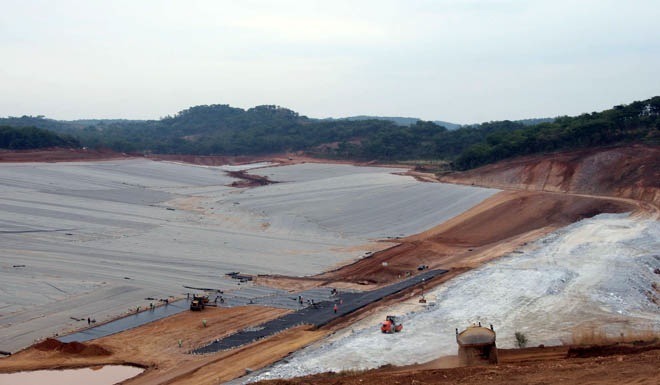 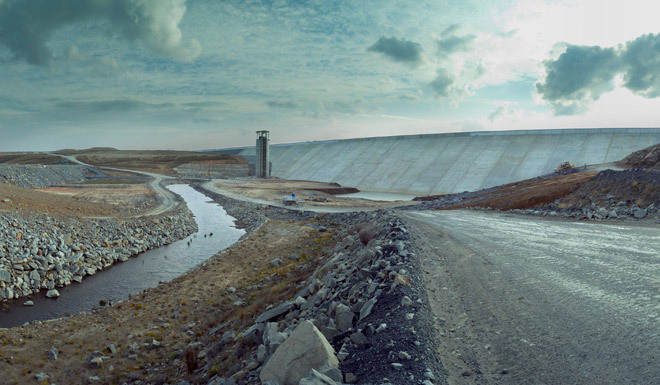 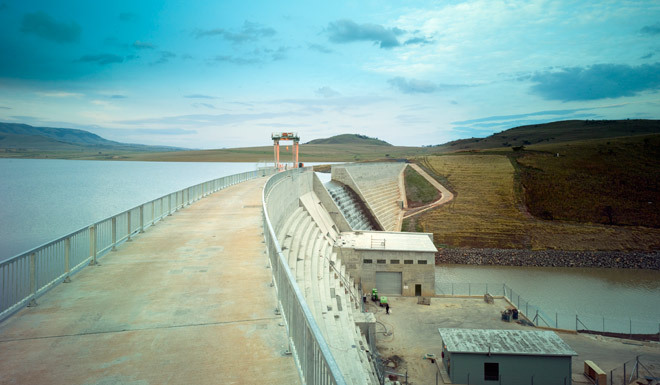 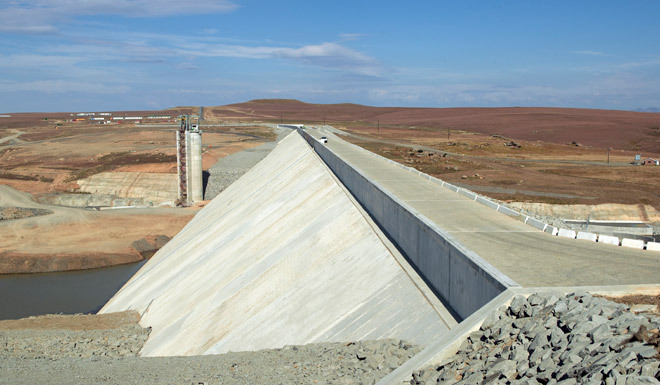 The volume of the dams are 1.3Meg and 1.1Meg with a total of 670 000m3 of earth being moved and a total 1 800 000m2 of liner system being placed. 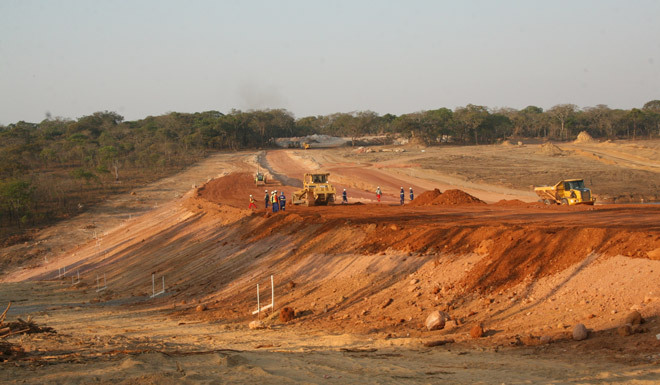 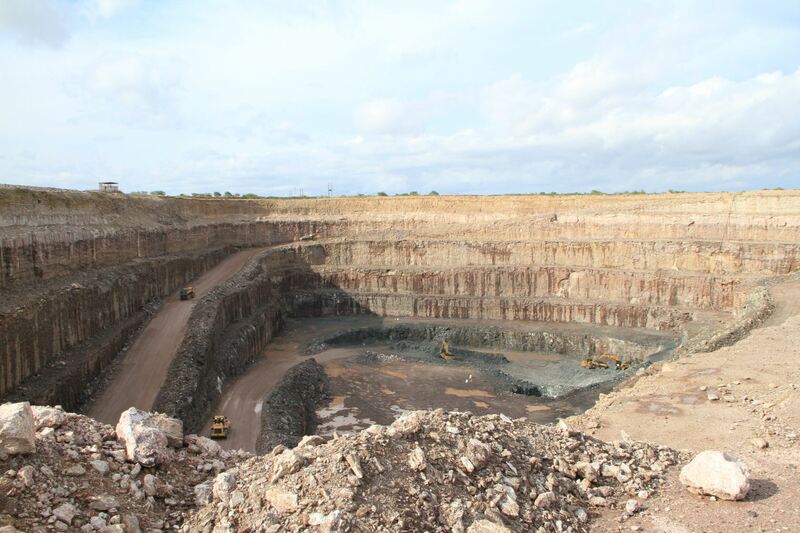 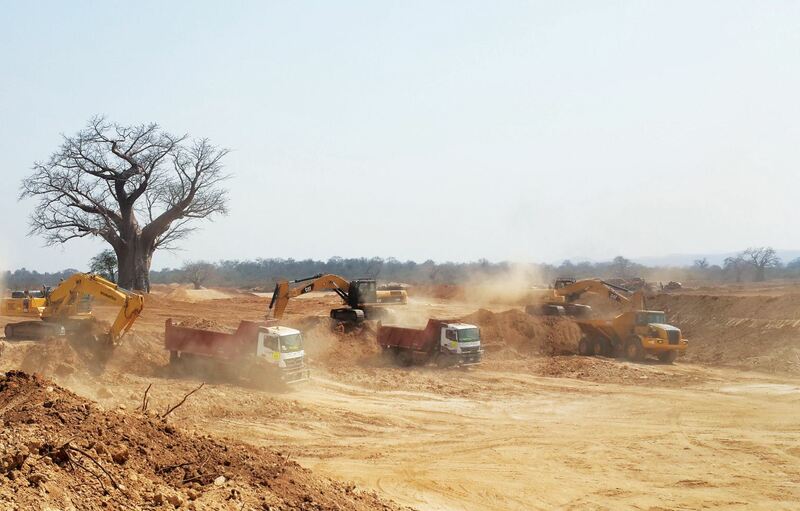 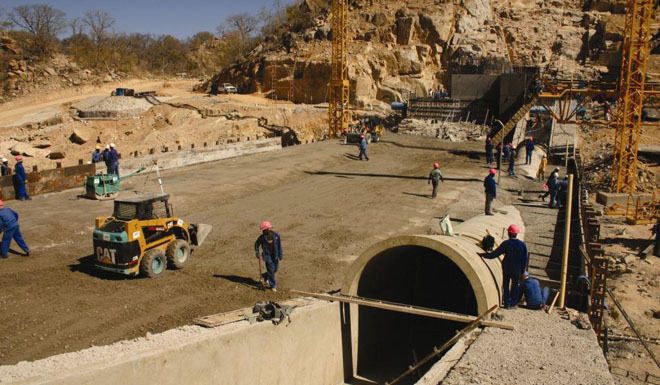 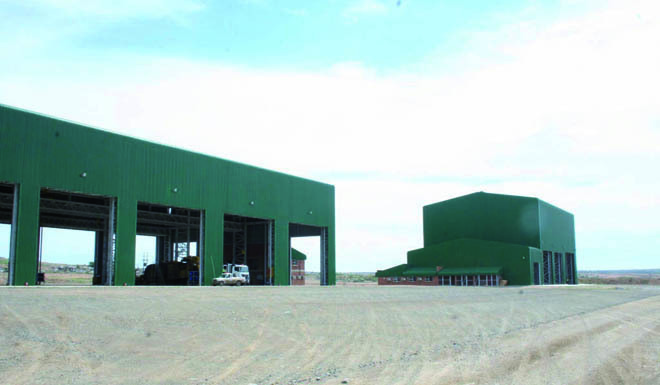 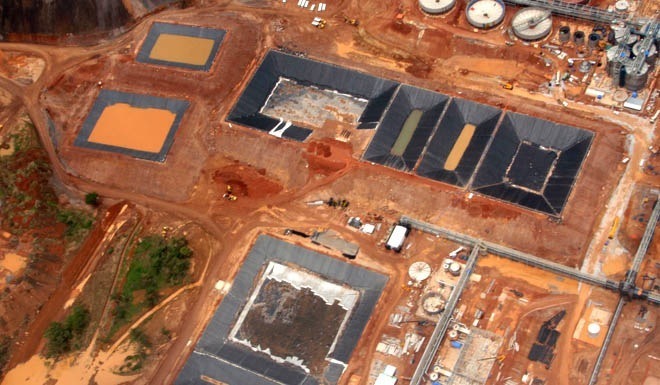 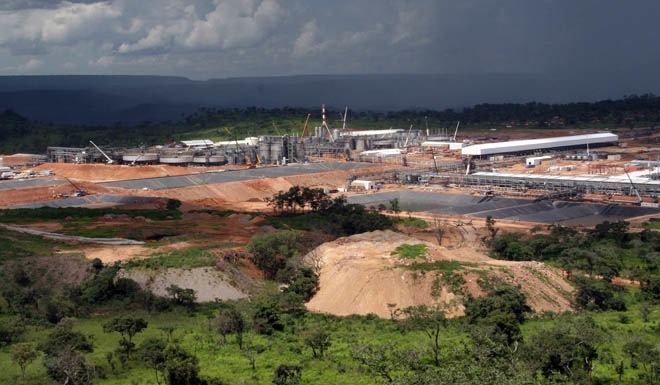 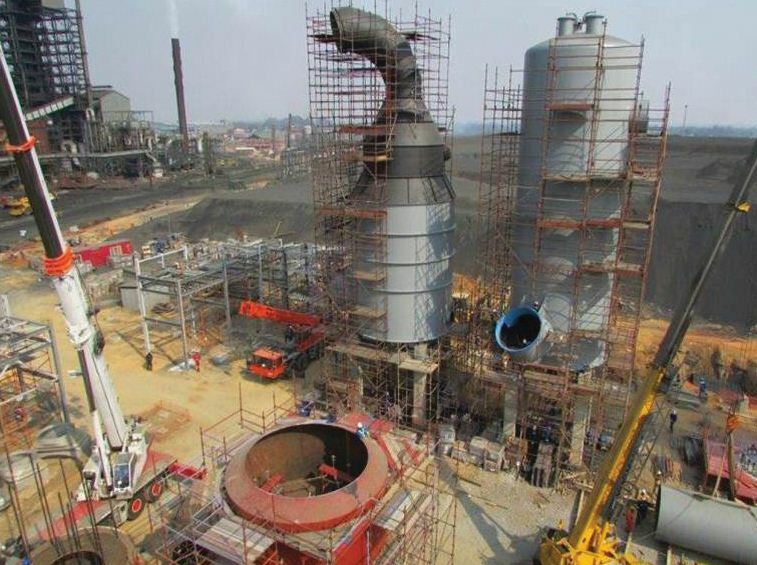 After the successful completion of Lubambe Mines Concentrator Civil works in Chililabombwe, Zambia, WBHO Zambia was in November 2012 awarded the civil works of the acid plant and gas cleaning plant for Mopani copper mines in Mufulira. 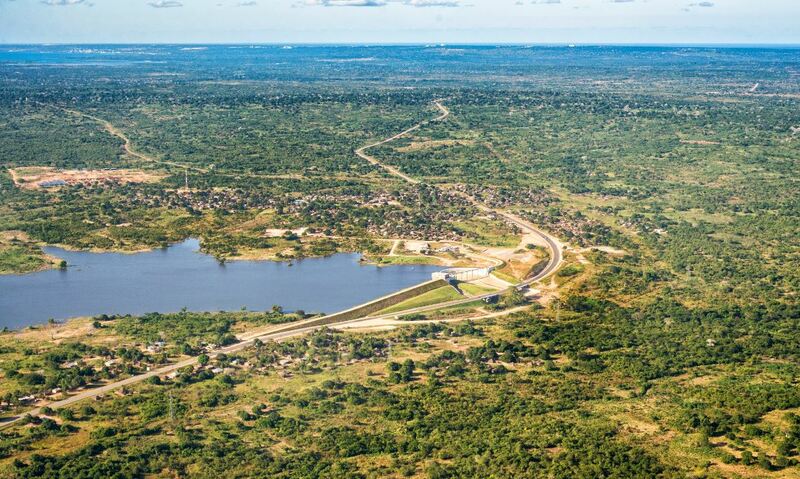 Mufulira is a Copperbelt town situated 40km from Kitwe and 60km from Chingola. 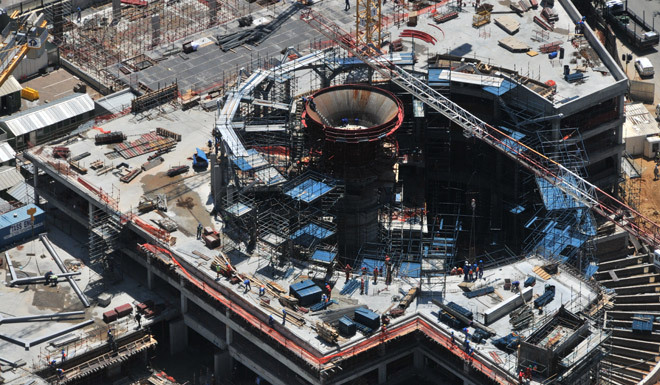 The first phase of the project was to construct the foundation for the converter, 6 heat exchangers, 3 acid towers, two 21m diameter acid tanks with containment area, and stack. 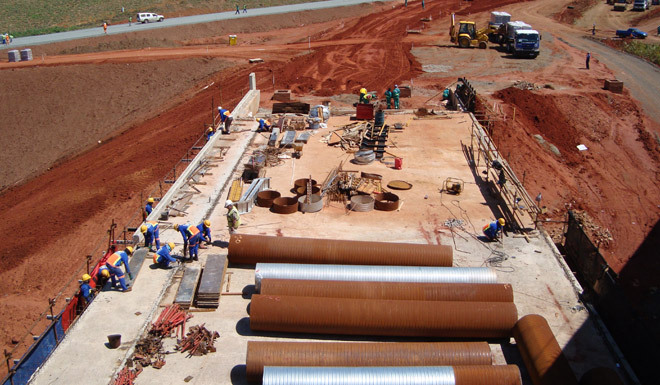 In the month of January 2013, the works was extended with some more foundations for the gas cleaning area, cooling towers for contact sections and gas cleaning area, foundations for the pipe racks, duct supports, pipe and cable supports and 2 MCC rooms with all the brickwork and foundations. 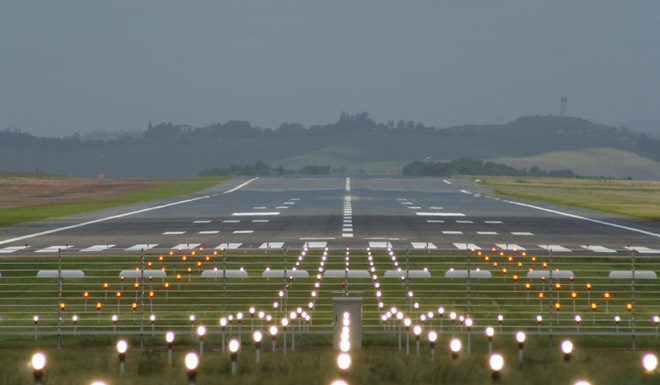 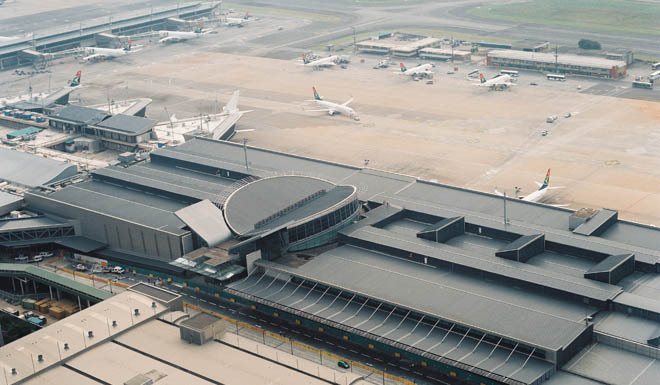 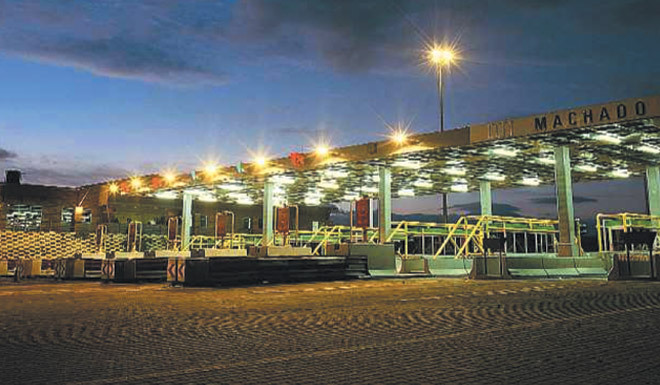 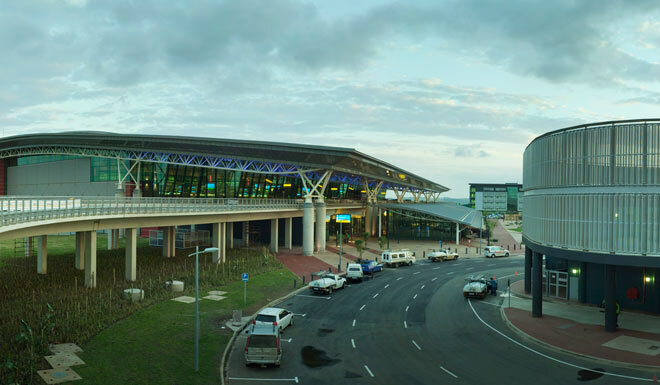 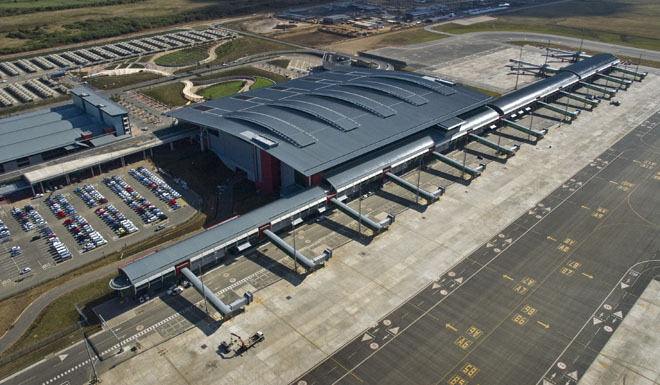 WBHO Projects Mozambique and our subsidiary Renniks Construction are in partnership to undertake the Rehabilitation of Engen\'s Beira Terminal. 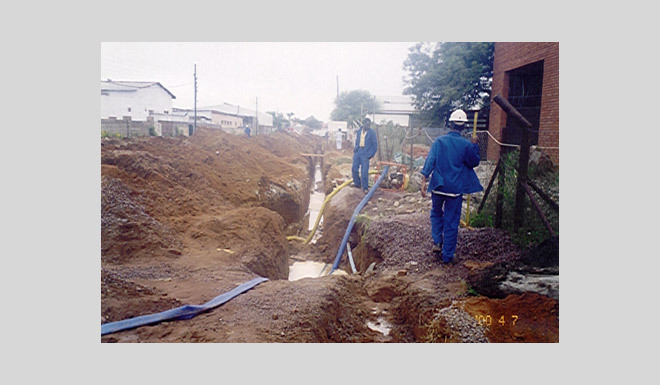 The project consists of demolition of steel fuel tanks, steel fuel pipelines, some existing buildings as well as concrete structures of a 60 year old depot which has been out of commission for the past 25 years. 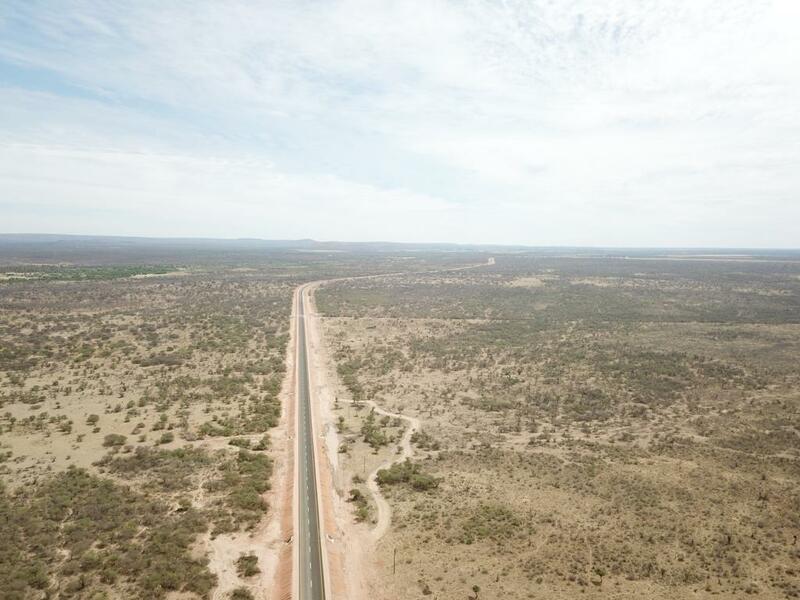 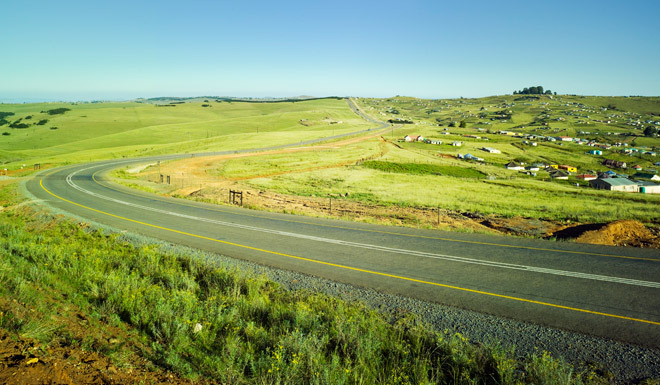 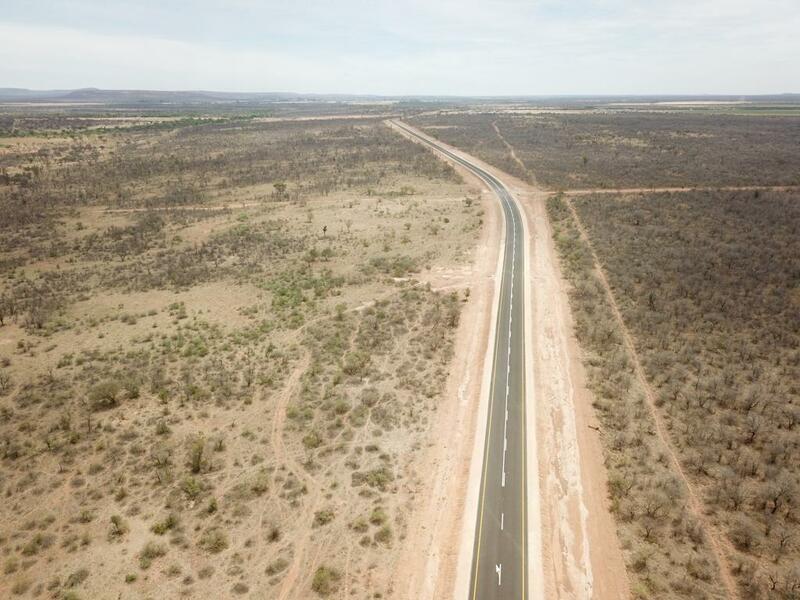 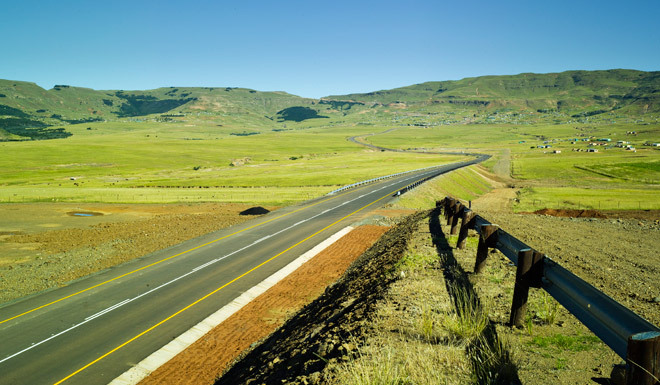 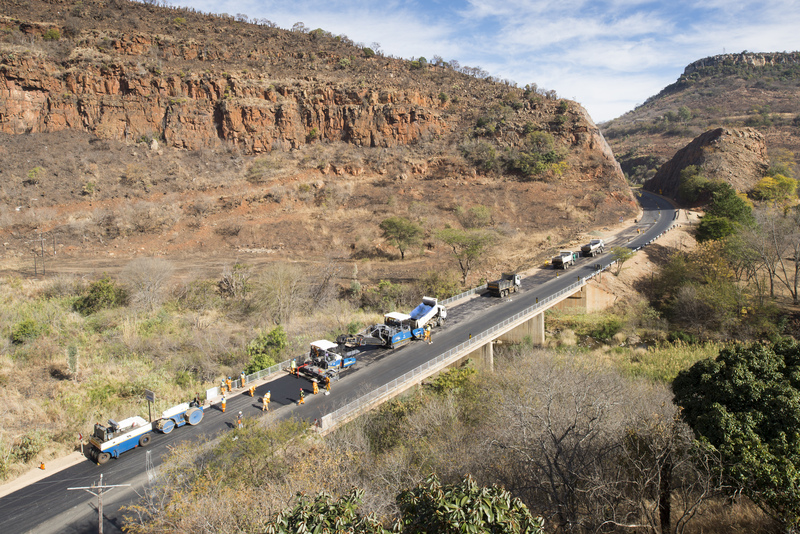 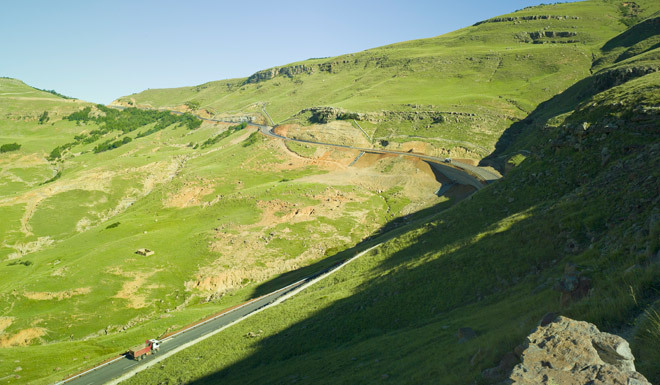 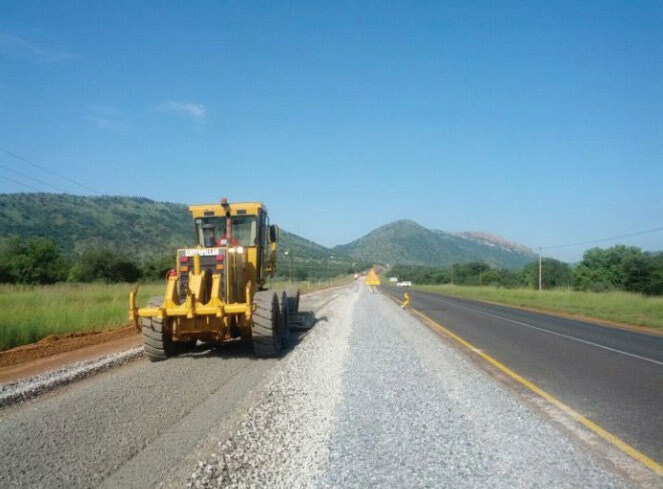 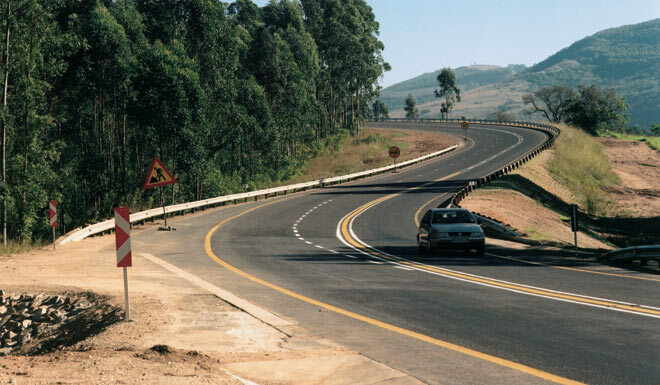 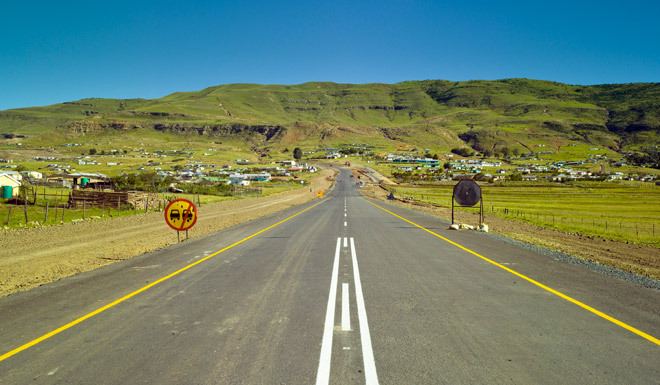 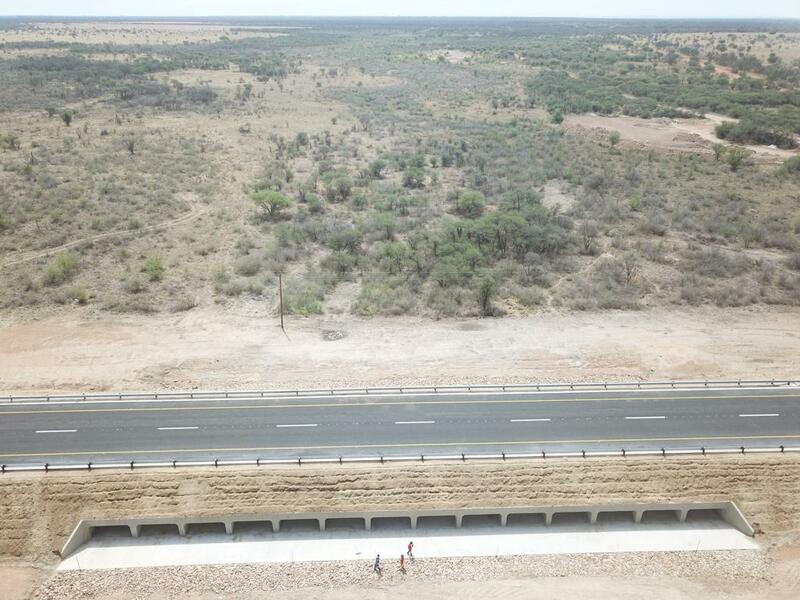 Upgrading of 13.9kms of the National Road N2 between Grahamstown and the Fish River Pass (phase 2 - km 78.7 to km 92.6).The scope of works includes re-alignment of the N2 along the existing N2 and two cattle underpasses. 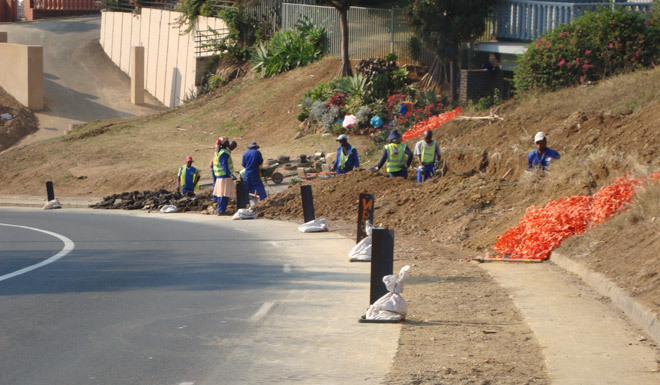 Some rehabilitation work inside Grahamstown . 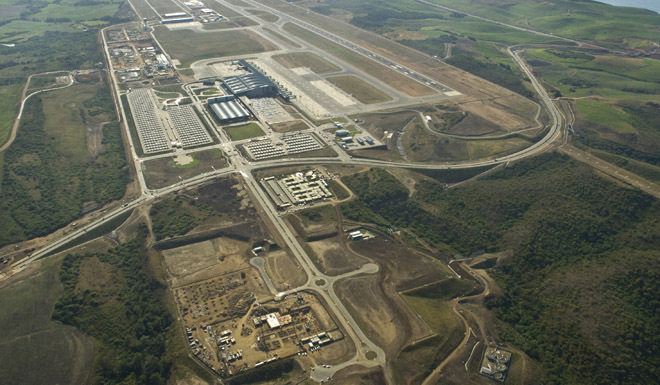 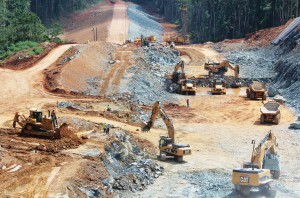 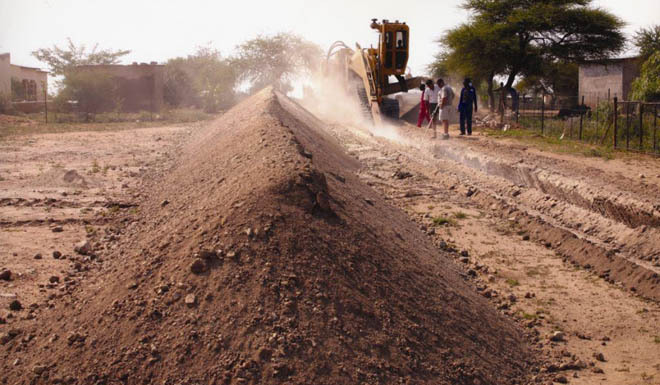 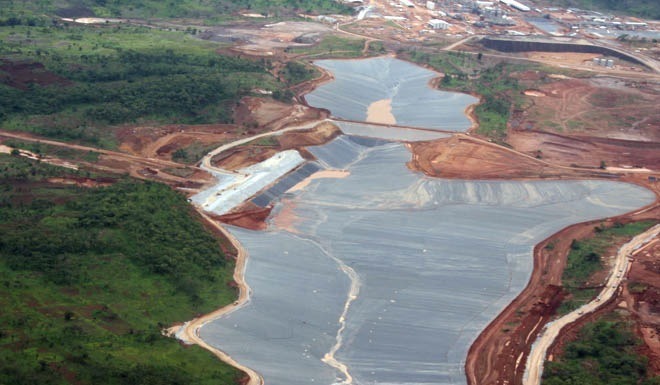 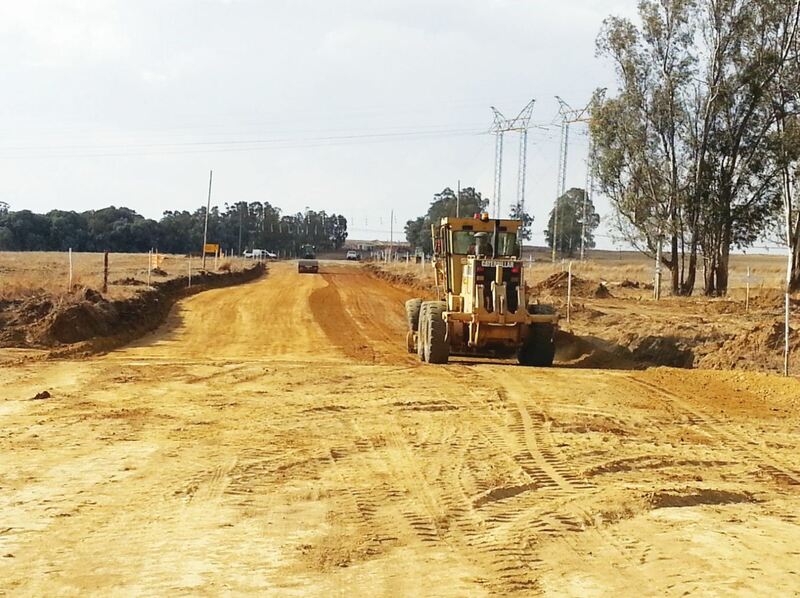 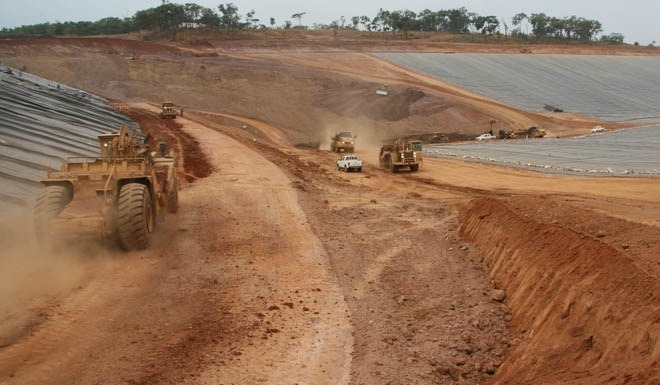 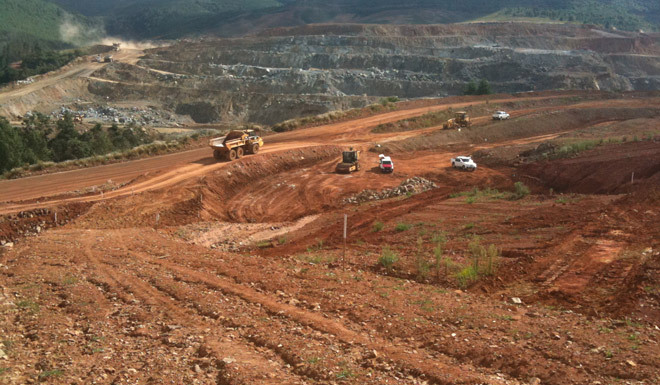 Bulk Earthworks : 560 000 m3 , Construction of the Return. 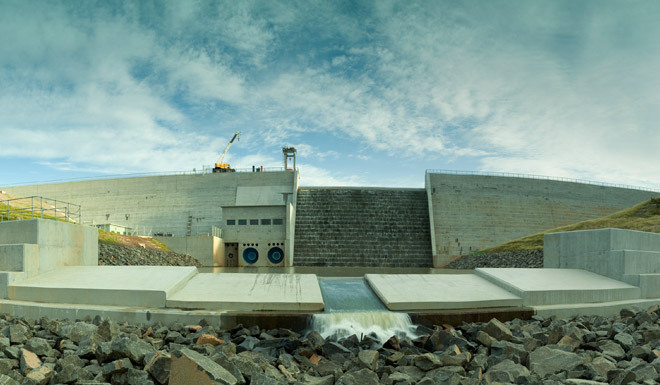 Water Dam and the Service Corridor for Fine Ash Dam 6. 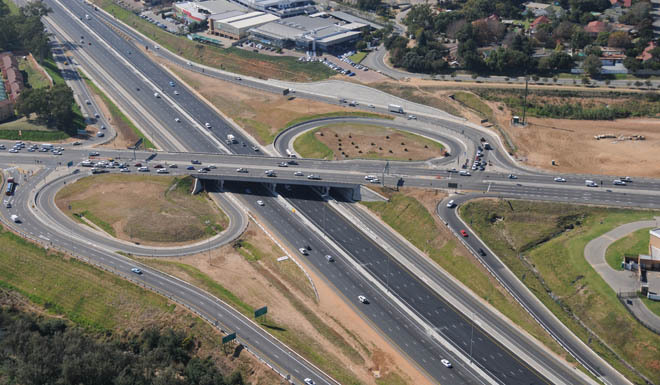 Employer:	South African National Roads Agency Limited Consultant:	BVI Consulting Engineer Western Cape Contract Period:	January 2016 – March 2018 Est. 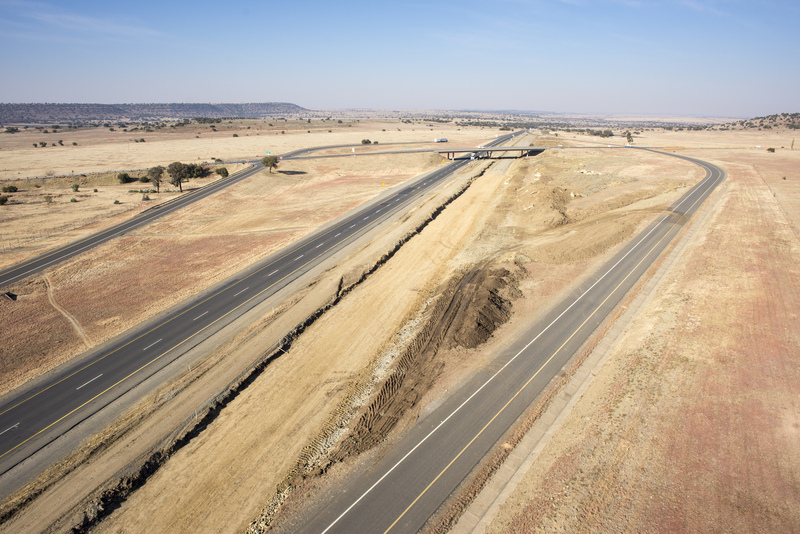 Value:	ZAR407m Location:	Winburg, Free State , South Africa The Rehabilitation and upgrading to a dual carriage way of a 12km section of the N1 route past Winburg from KM 77.5 to KM89.8. 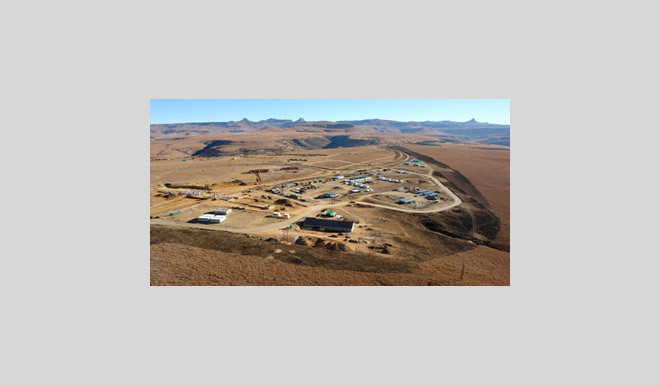 Employer:	Johannesburg Development Agency Consultant:	Royal HaskoningDHV Contract Period:	March 2018 – July 2019 Est. 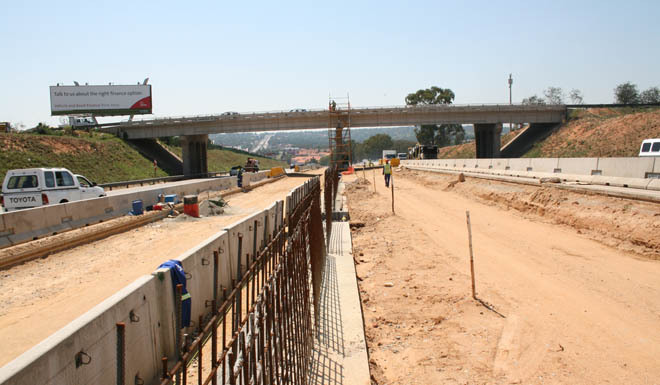 Value at Completion:	ZAR 310m Location:	Johannesburg, Gauteng, South Africa Demolishing the existing bridge and interchange at Watt Street, construction of the new east west link from Rautenbach Avenue to Watt Street with a new at grade intersection on Pretoria Main Road, construction of new BRT lanes and station below the new at grade intersection with associated structures, lateral support and bulk earthworks.